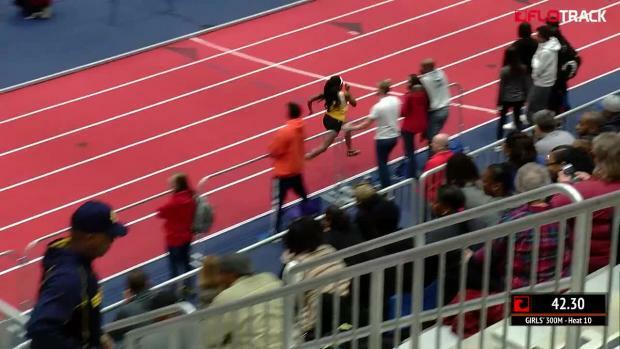 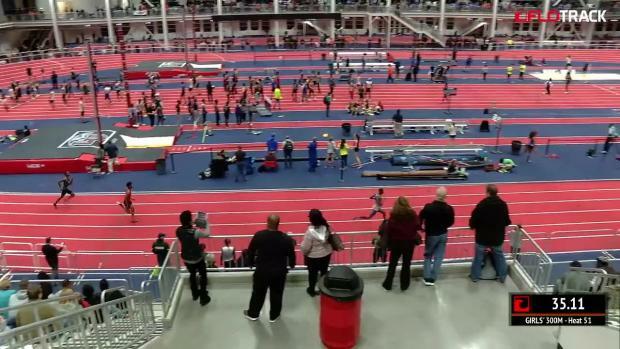 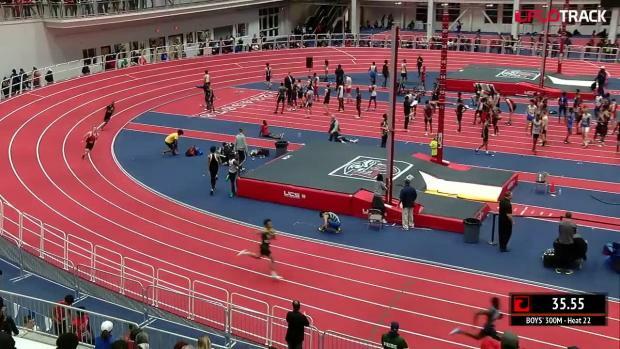 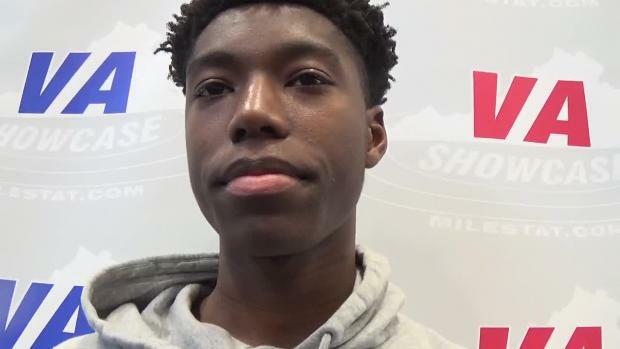 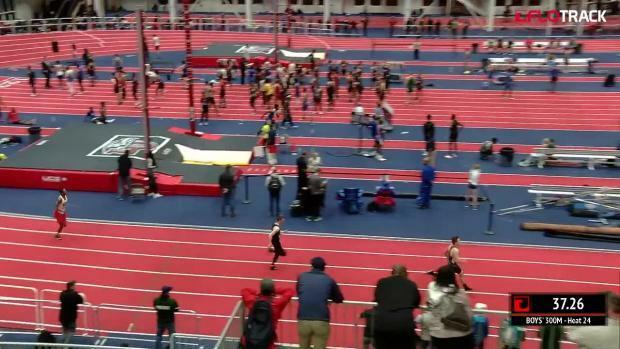 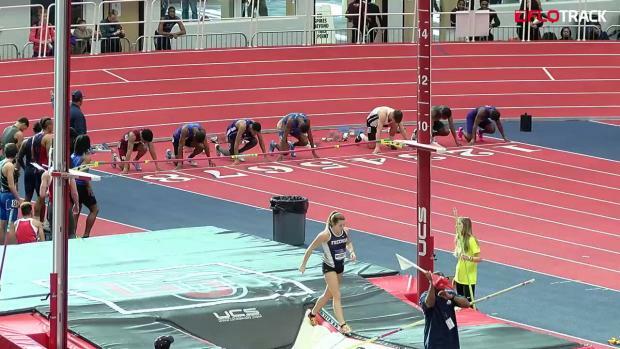 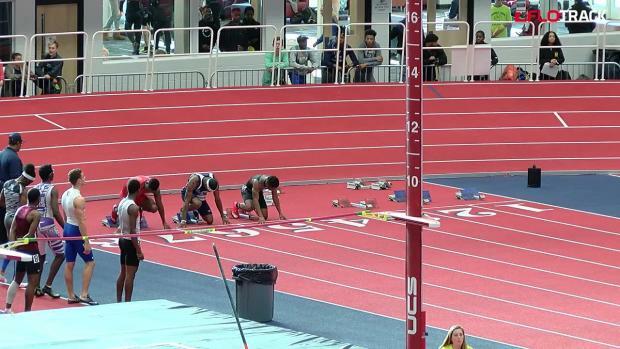 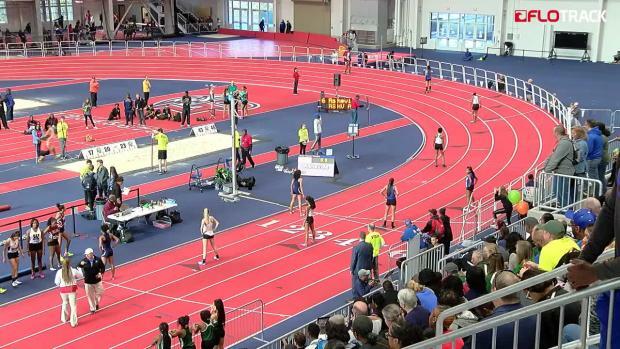 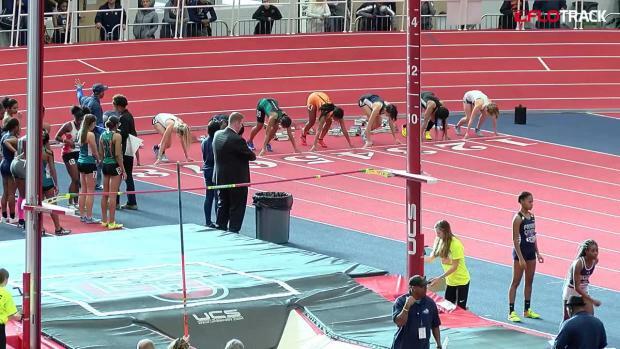 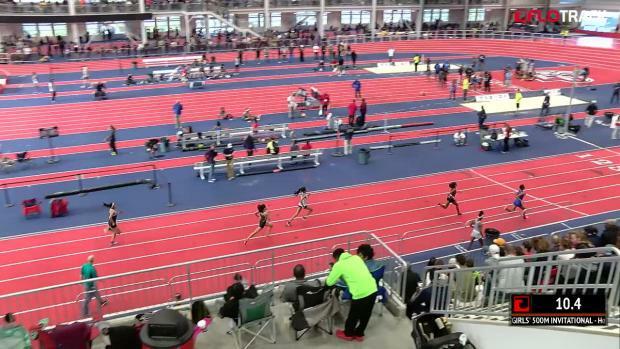 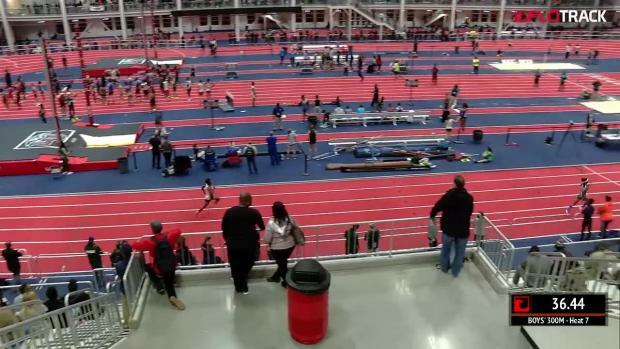 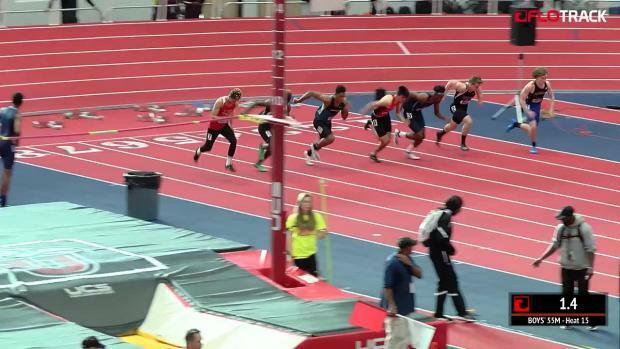 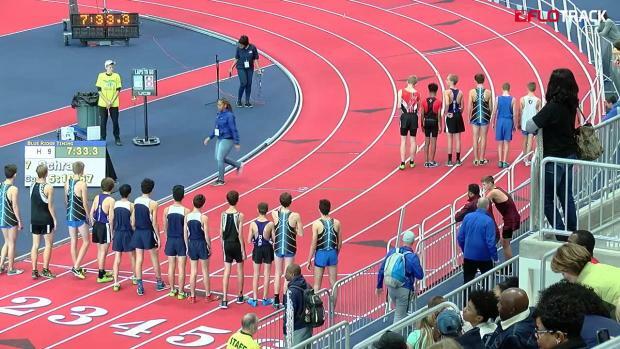 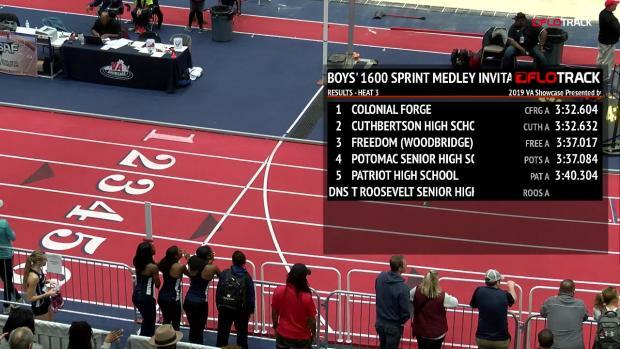 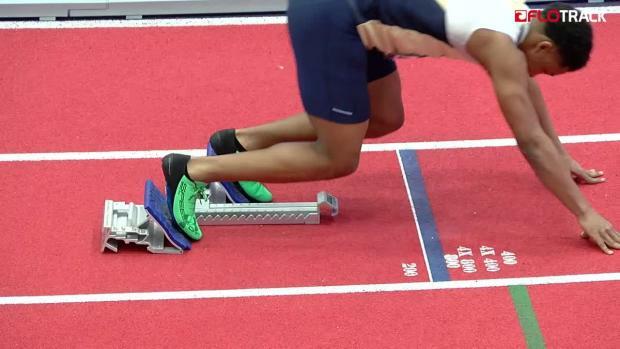 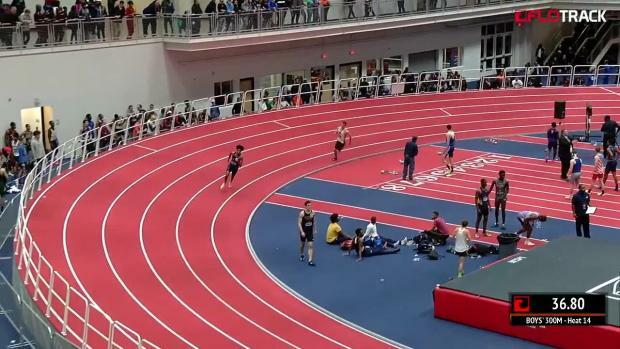 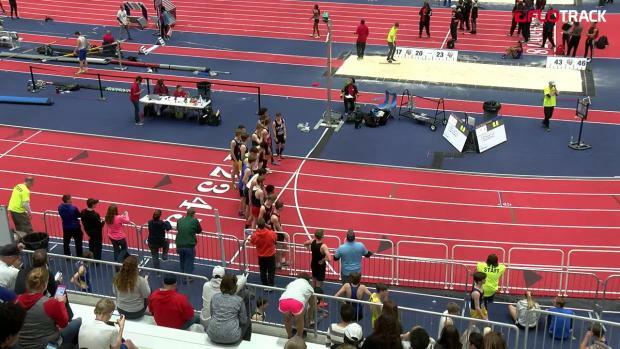 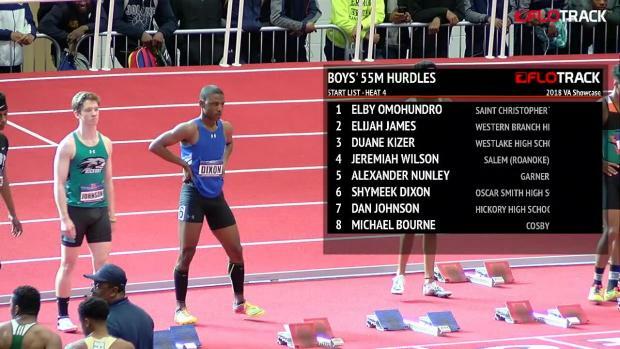 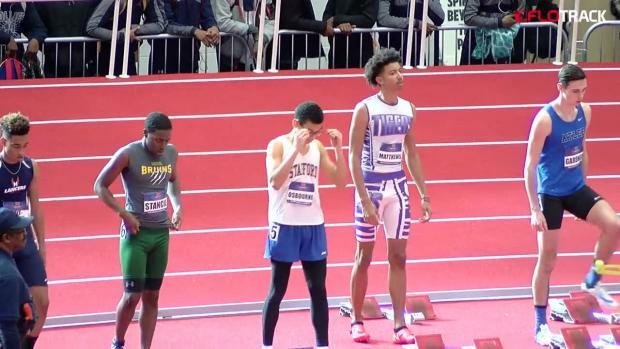 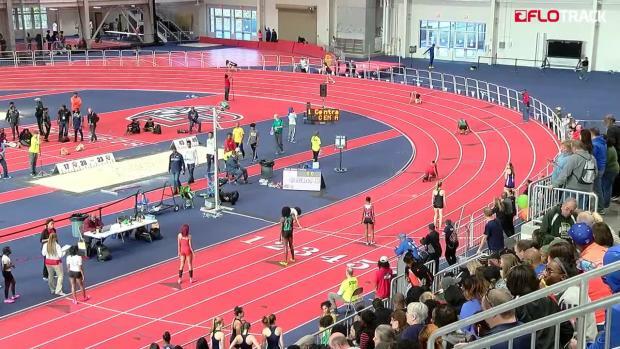 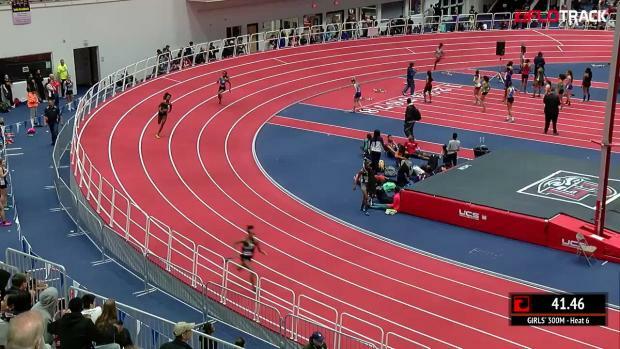 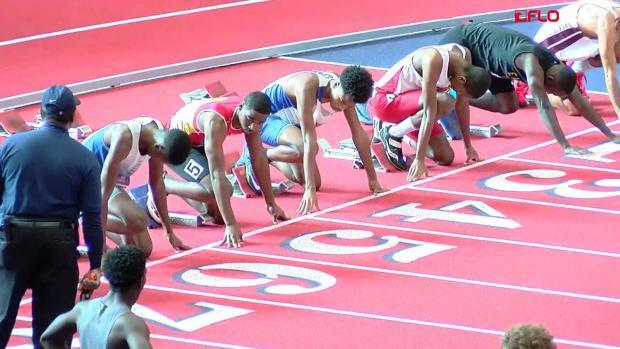 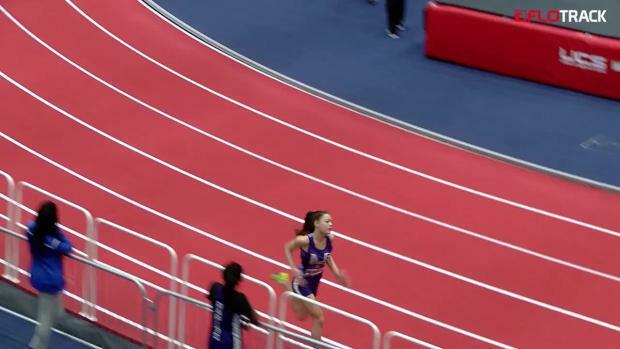 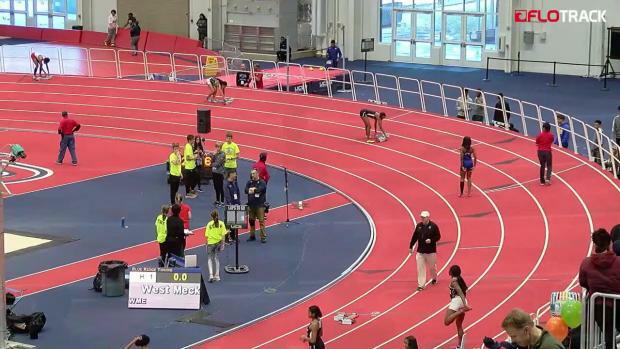 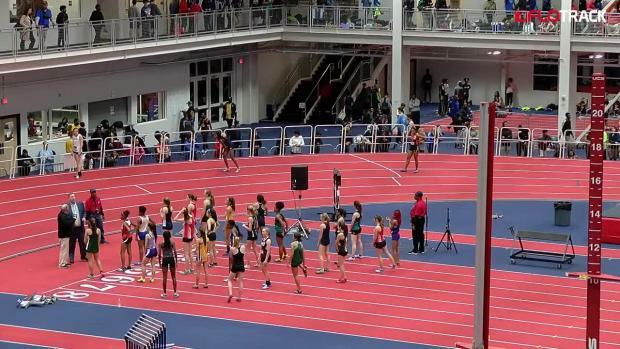 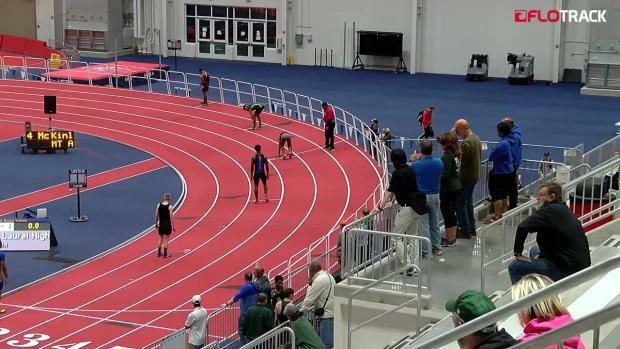 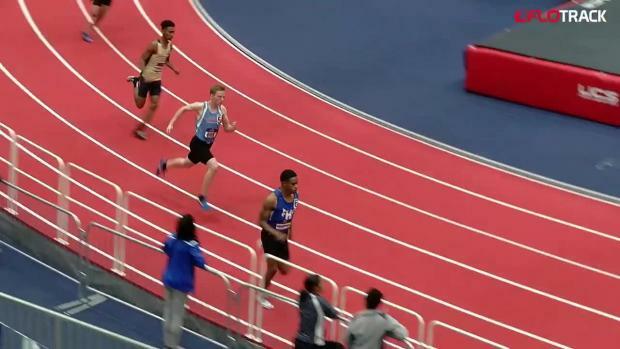 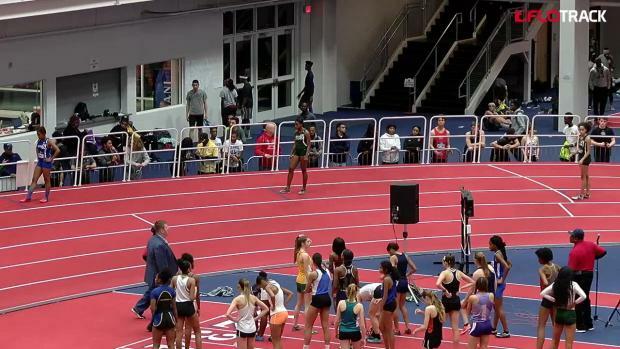 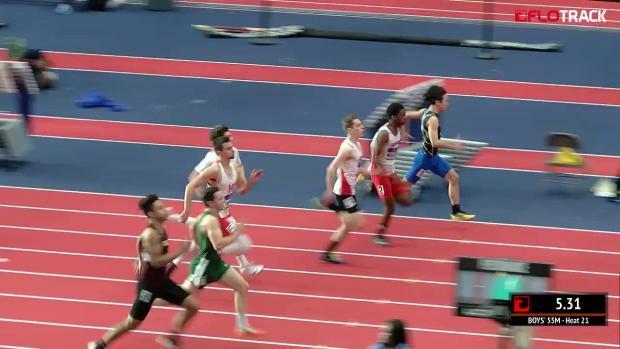 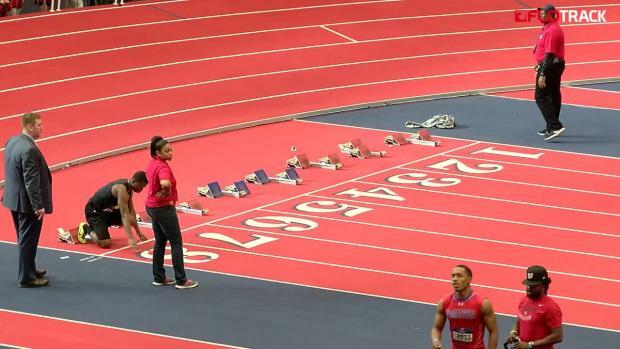 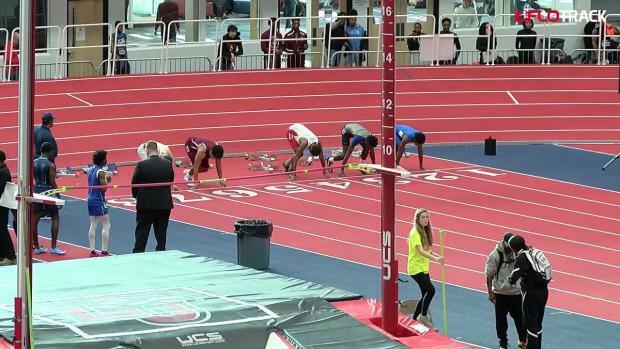 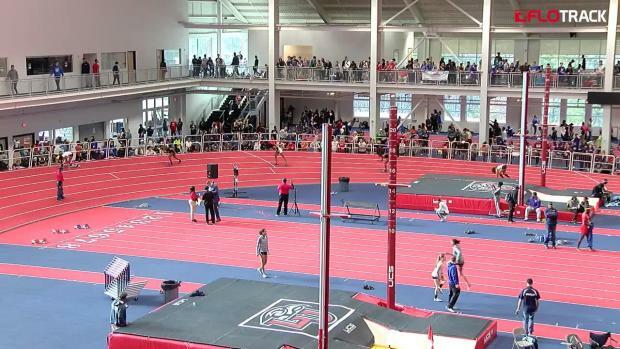 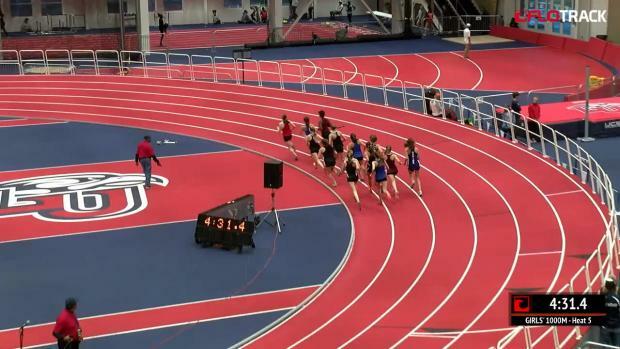 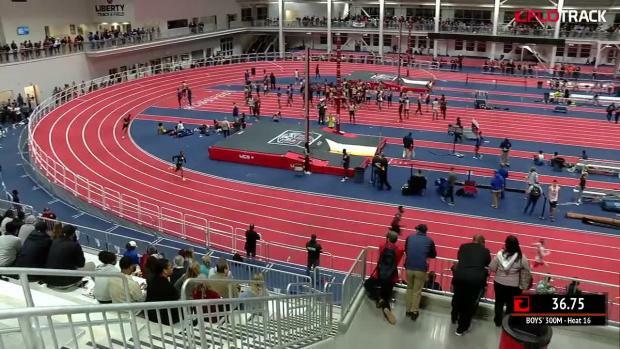 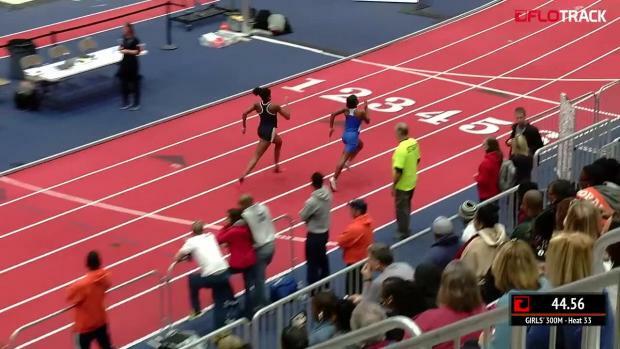 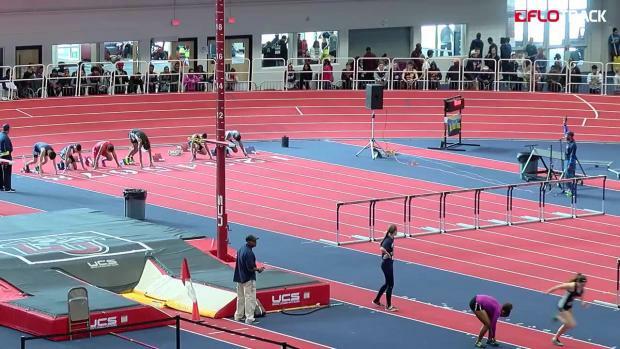 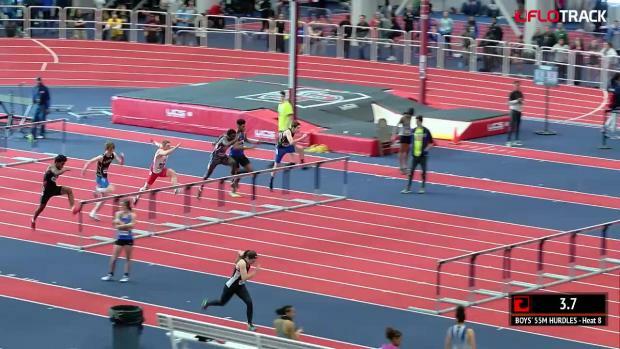 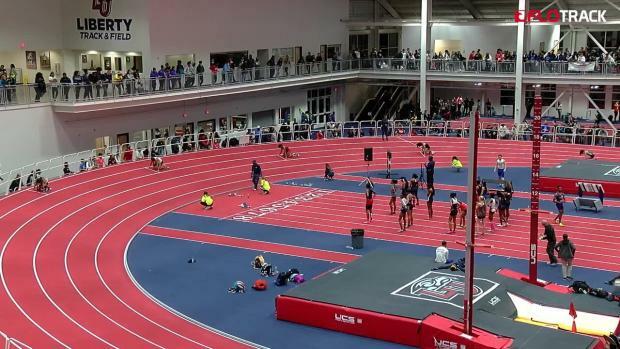 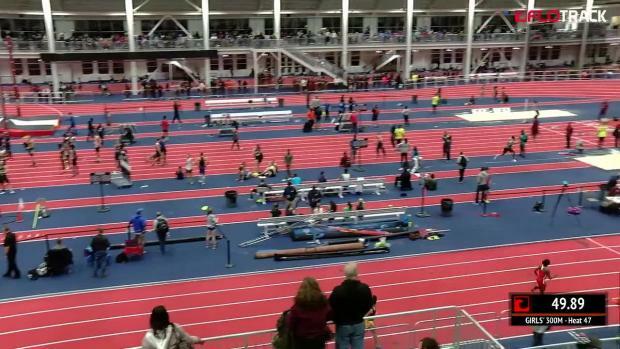 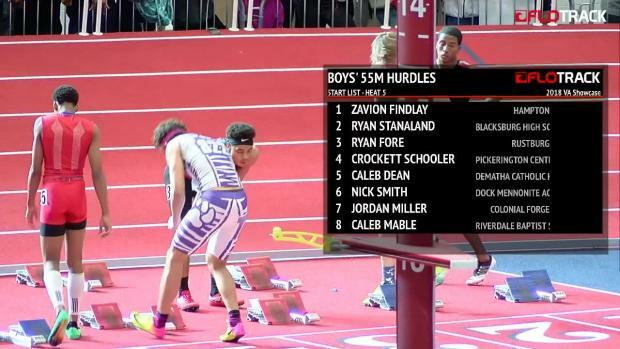 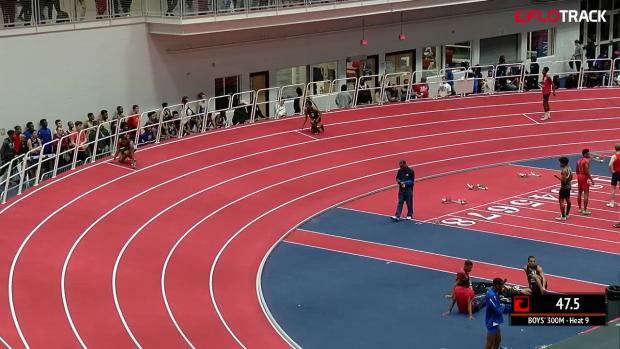 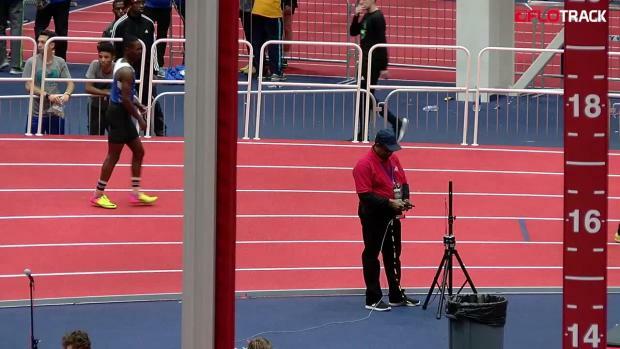 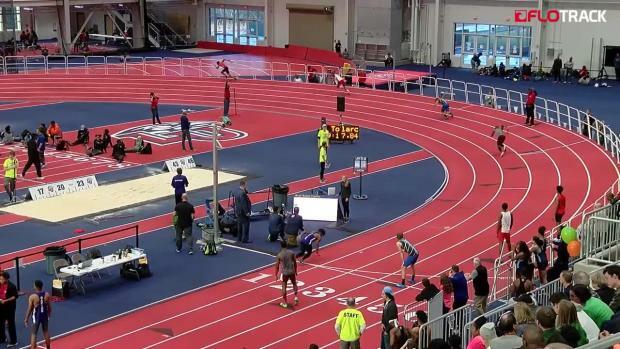 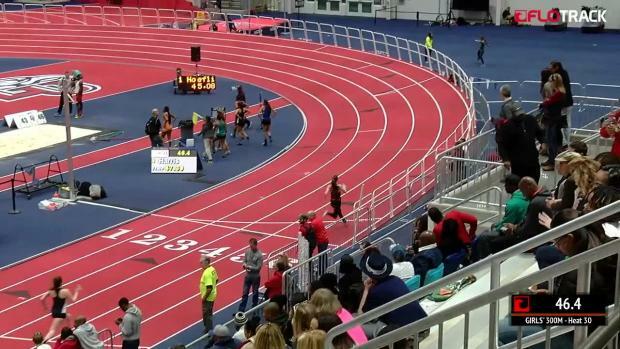 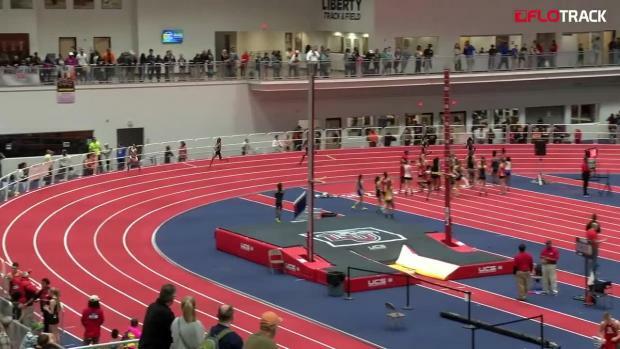 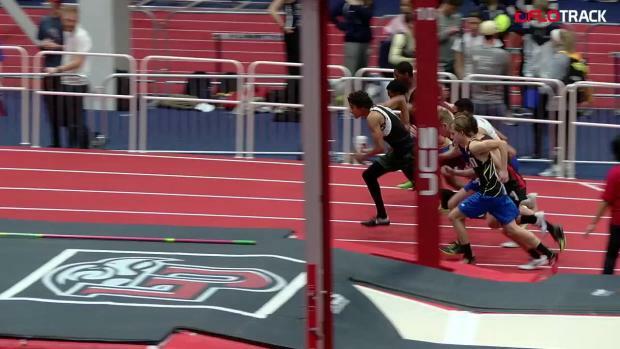 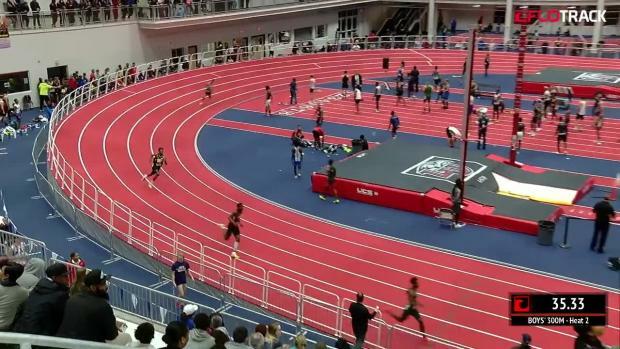 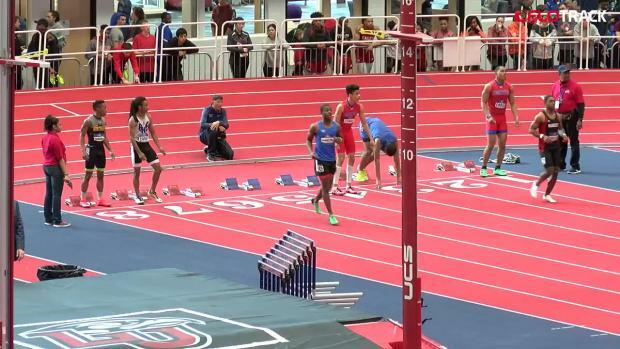 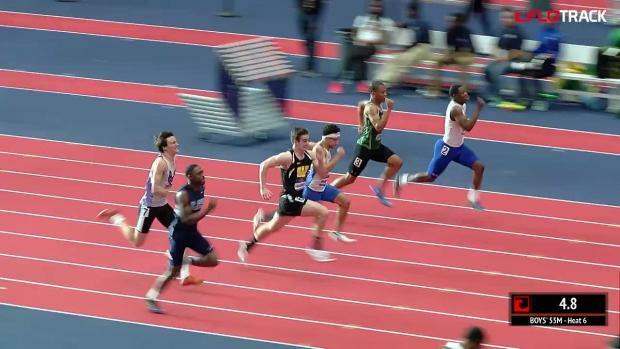 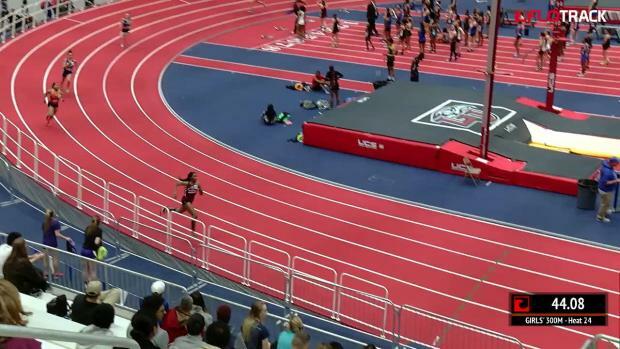 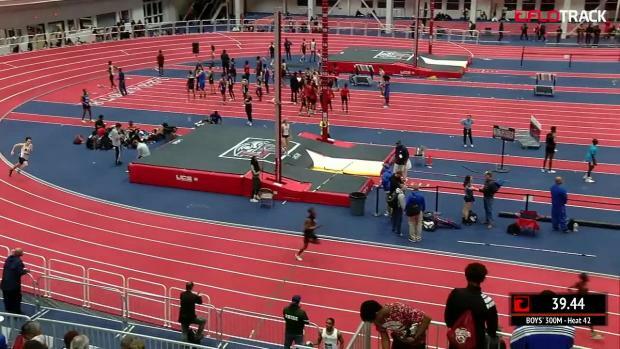 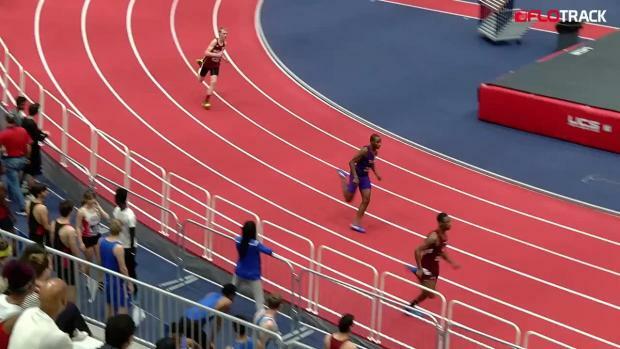 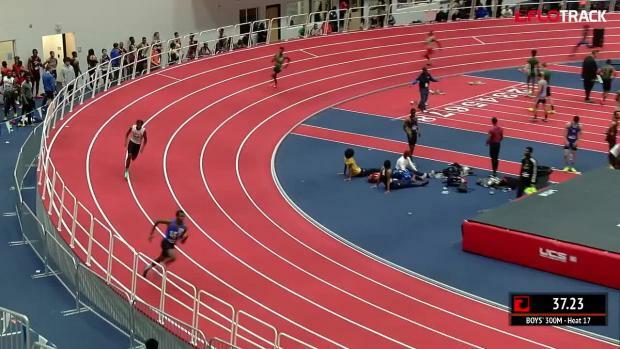 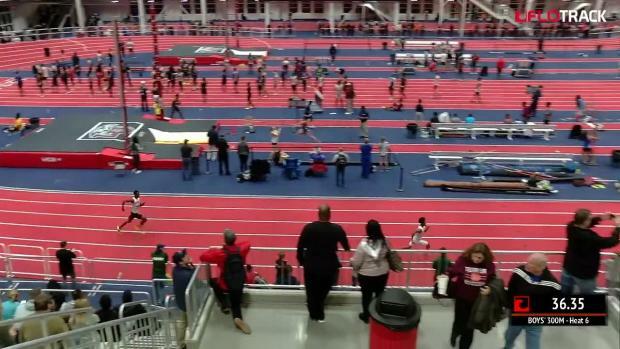 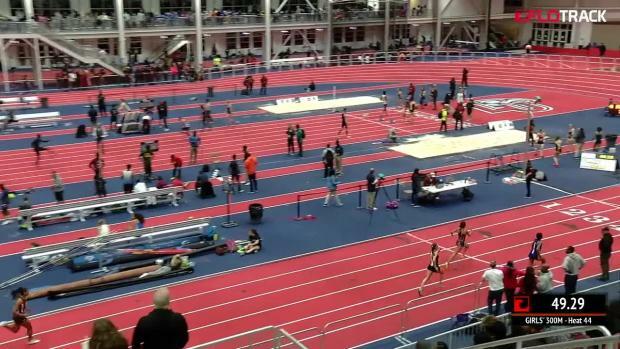 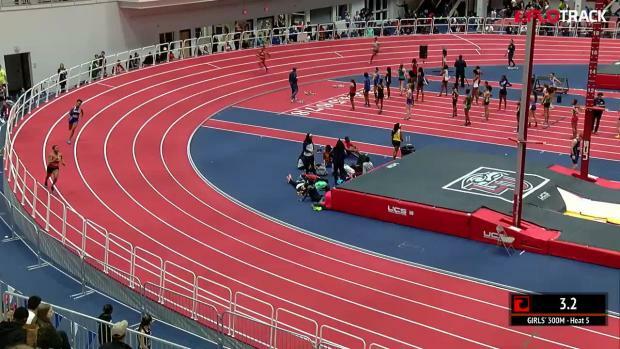 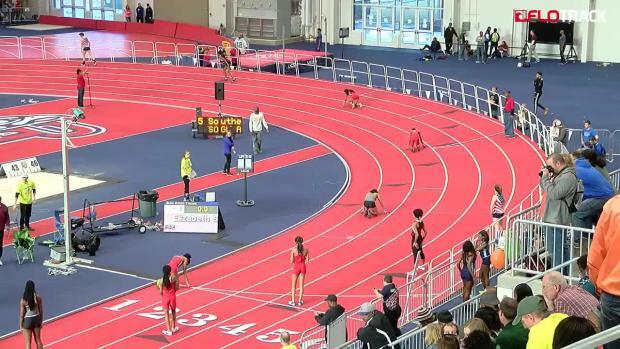 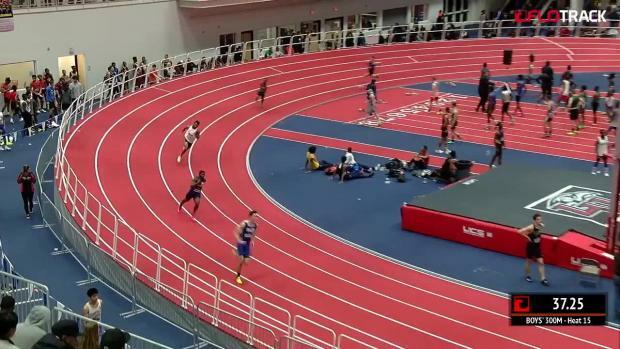 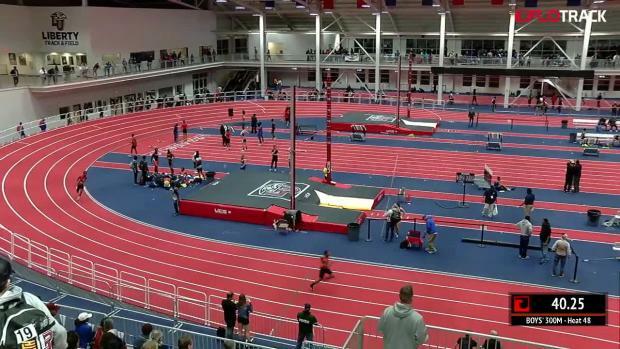 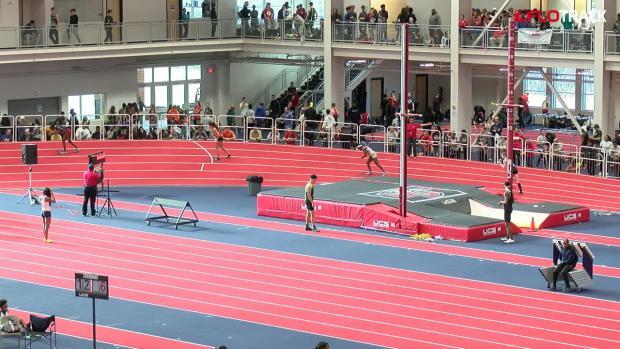 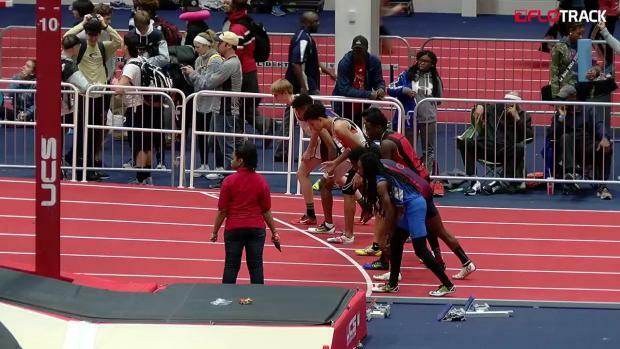 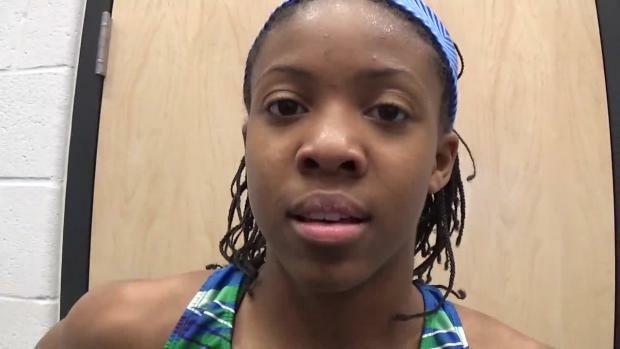 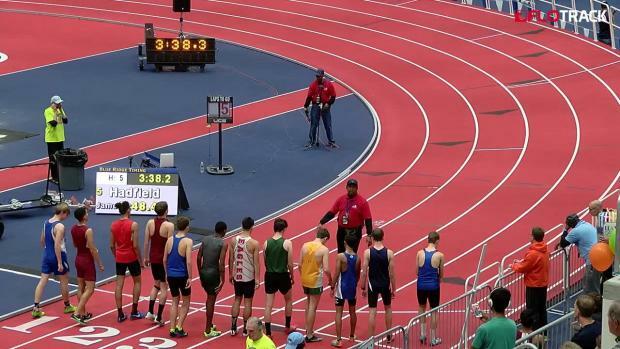 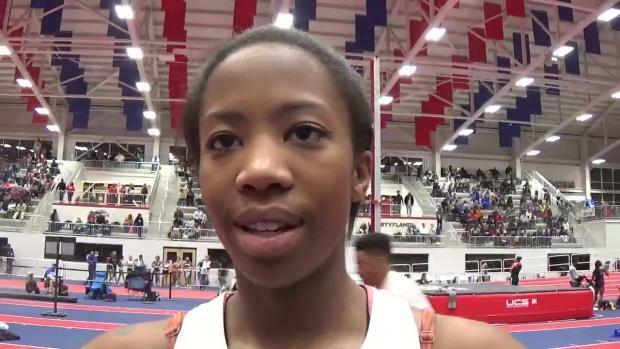 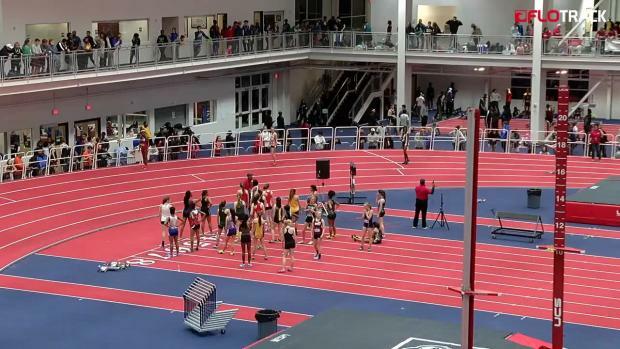 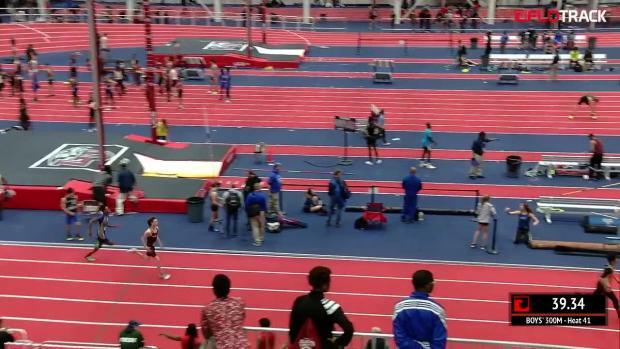 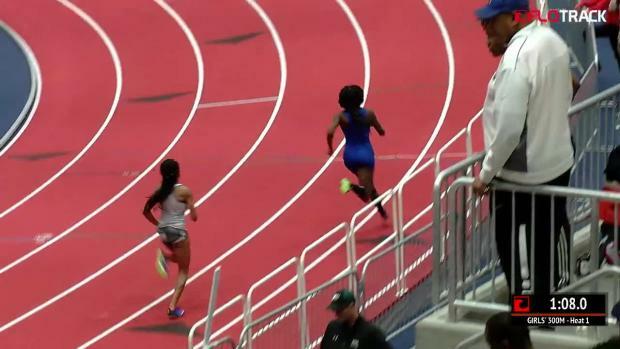 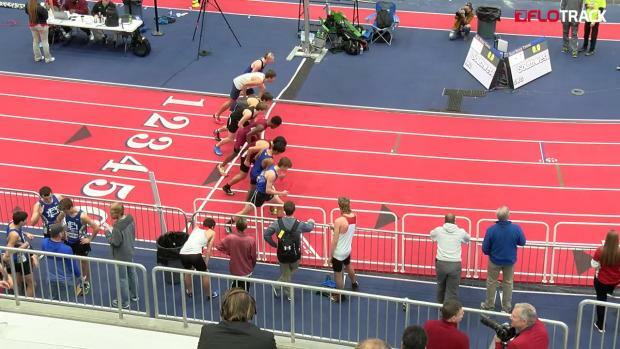 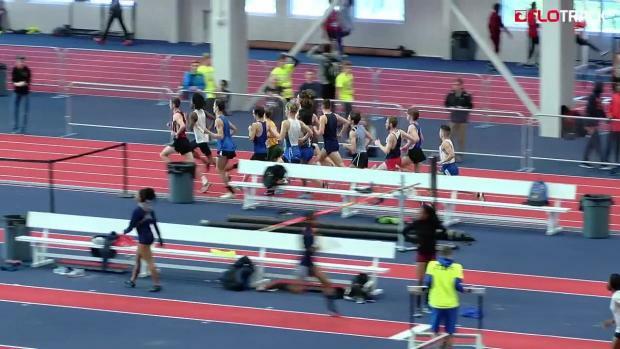 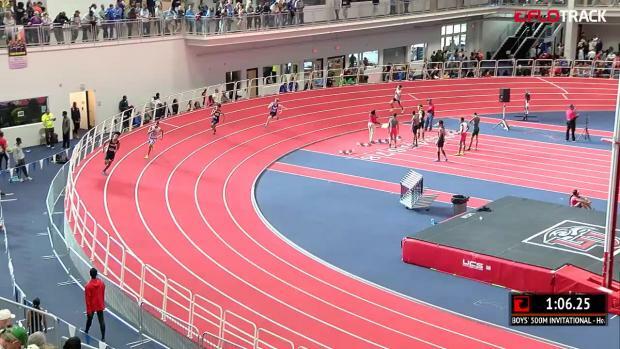 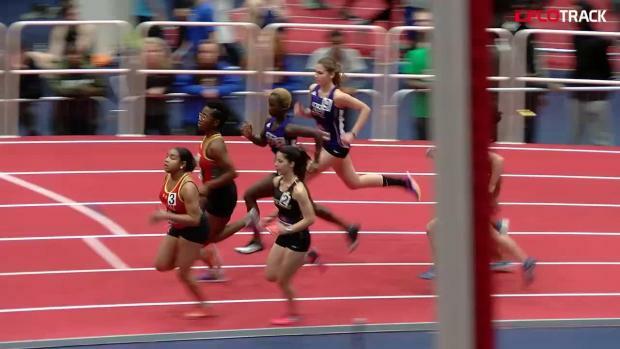 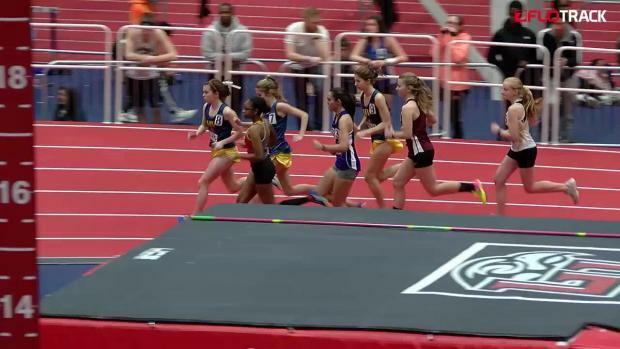 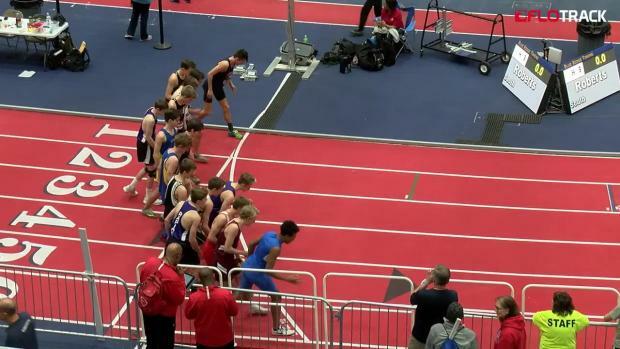 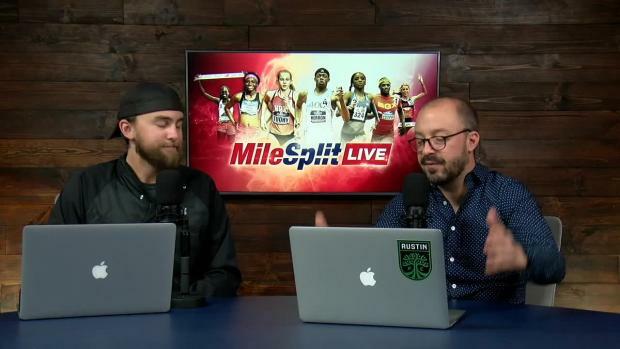 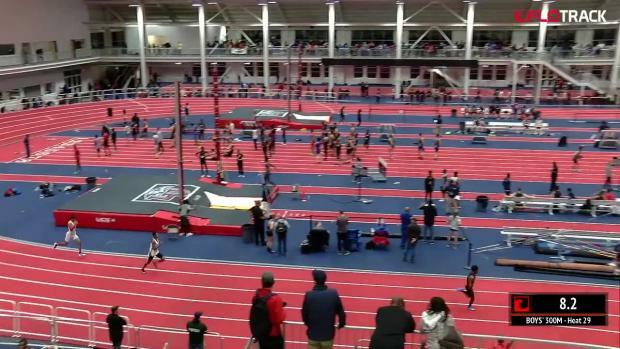 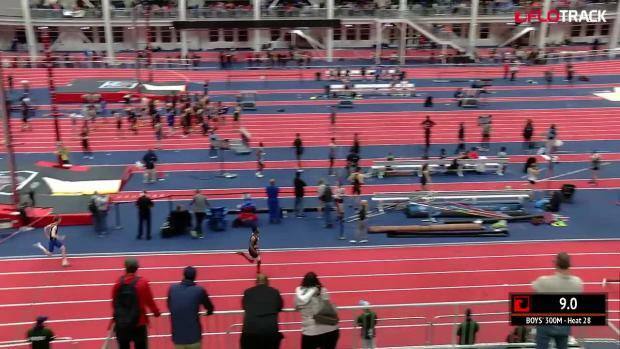 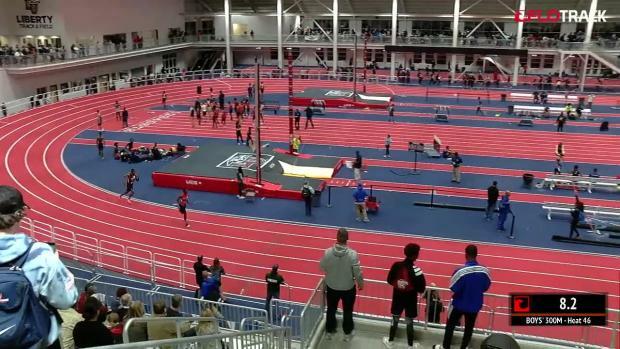 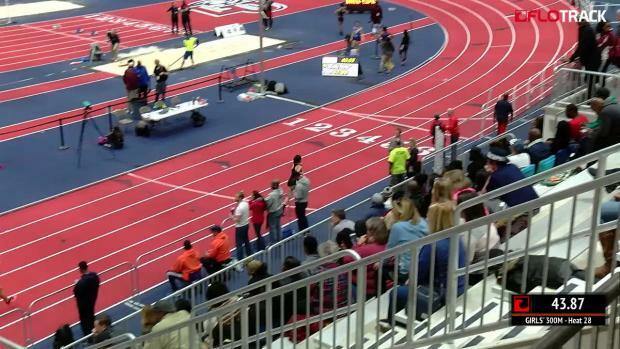 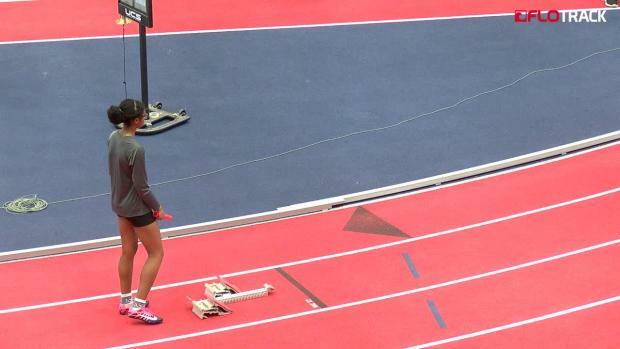 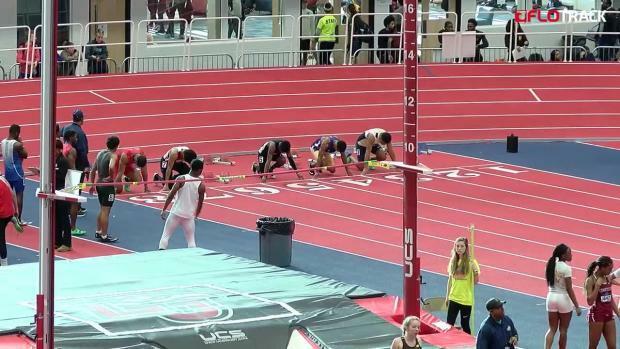 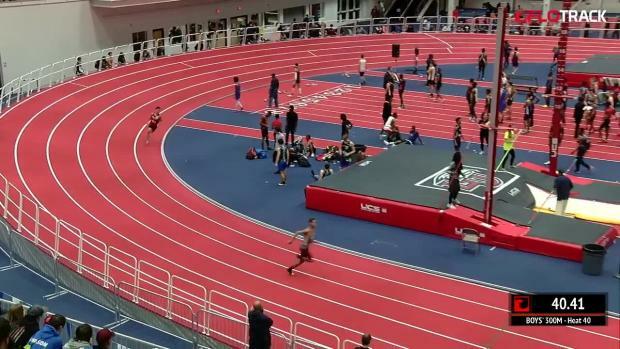 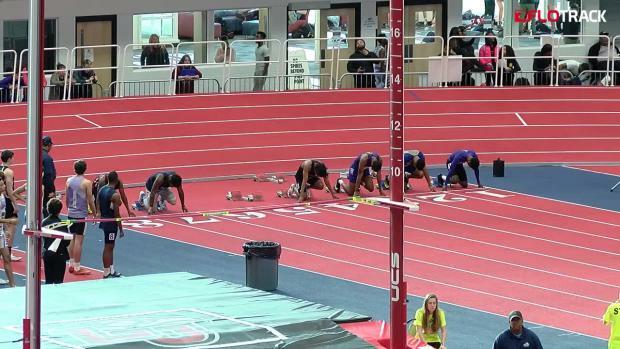 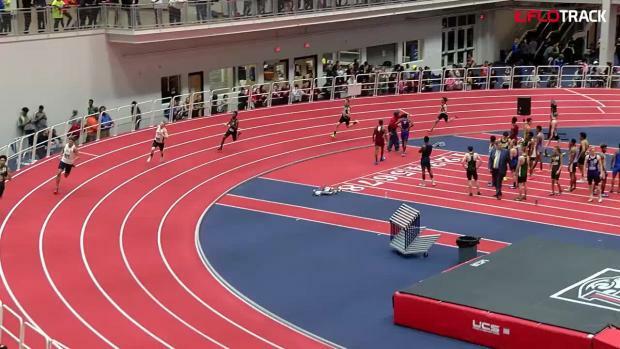 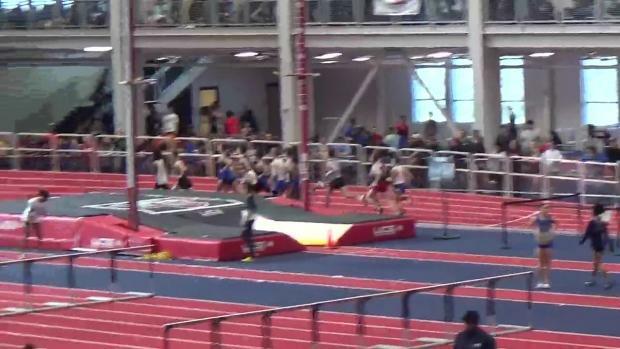 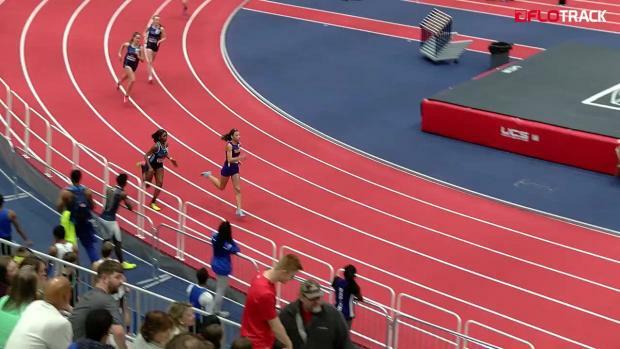 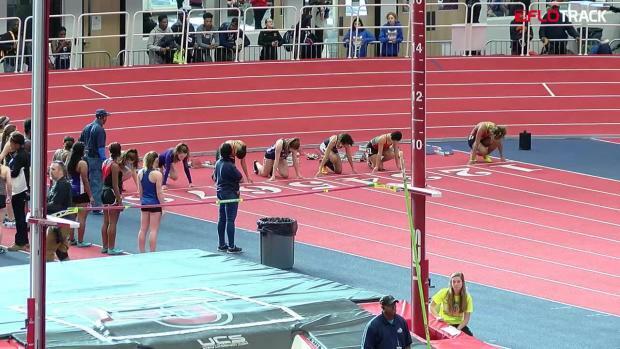 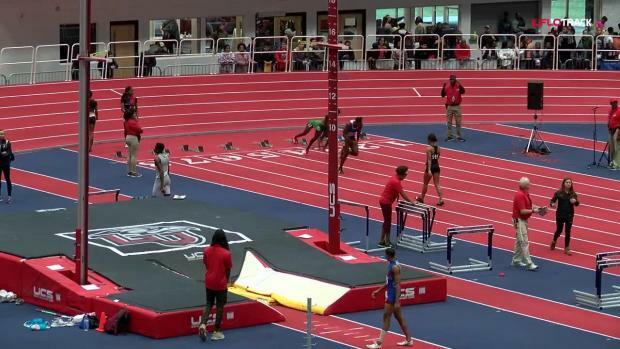 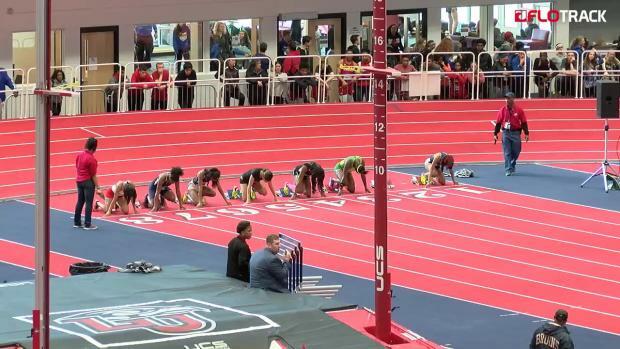 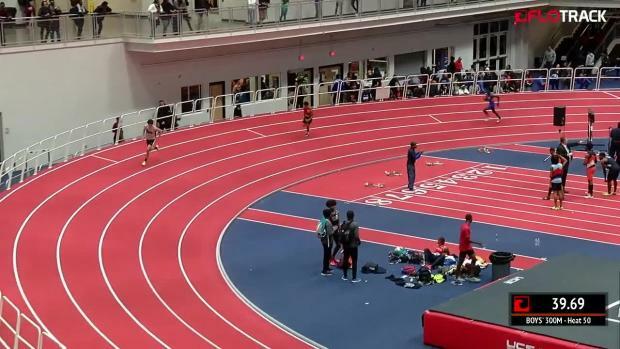 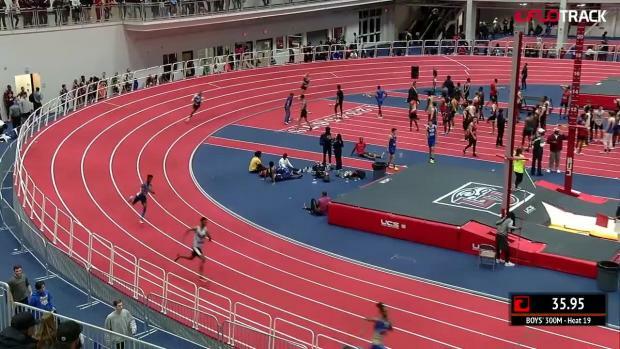 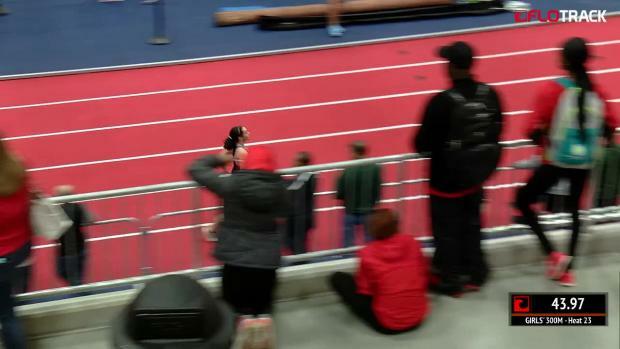 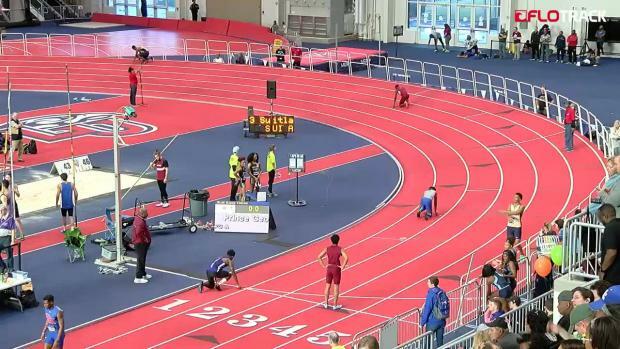 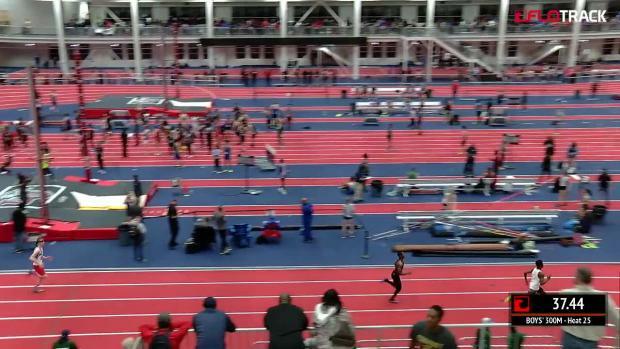 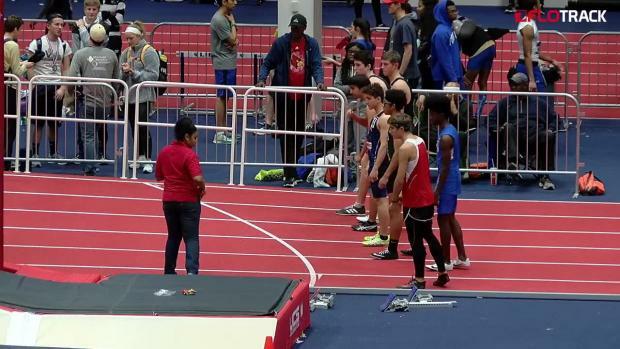 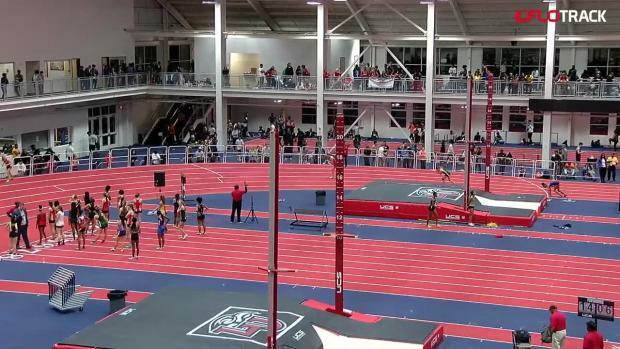 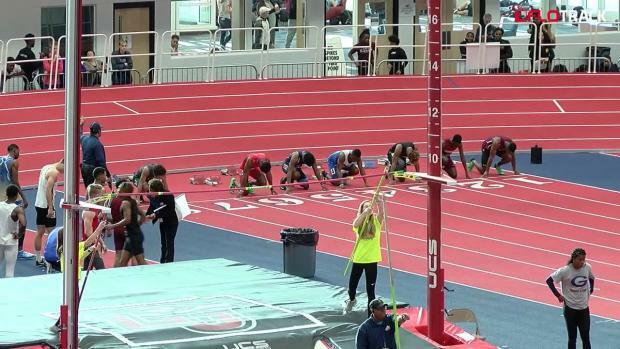 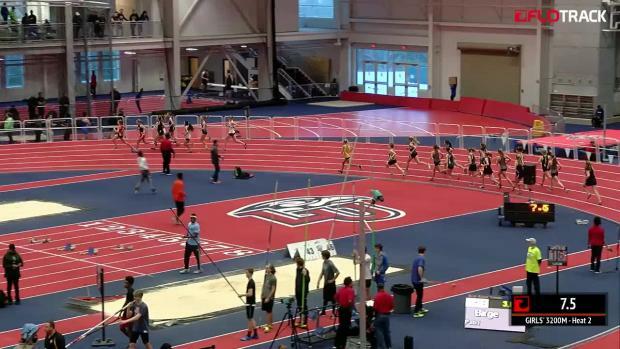 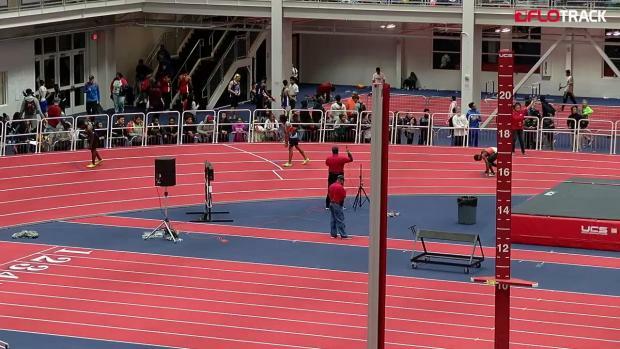 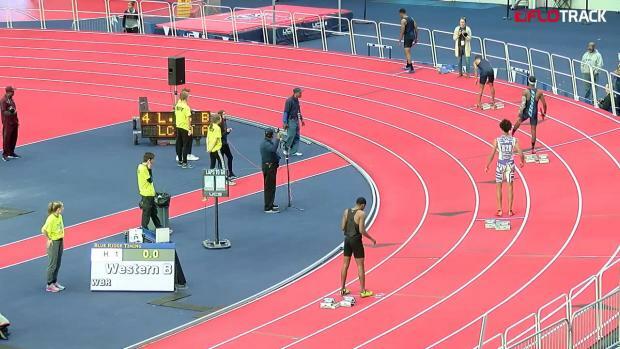 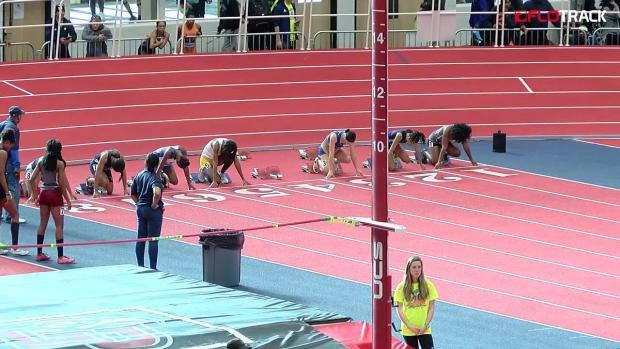 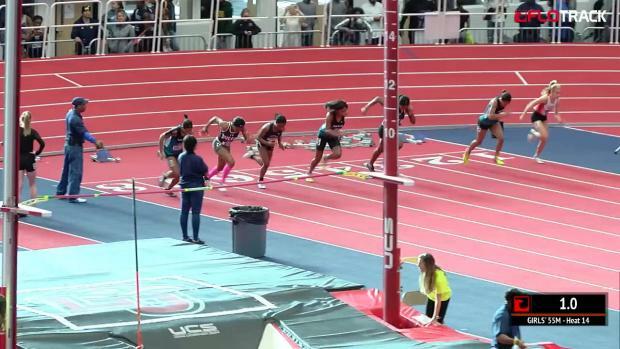 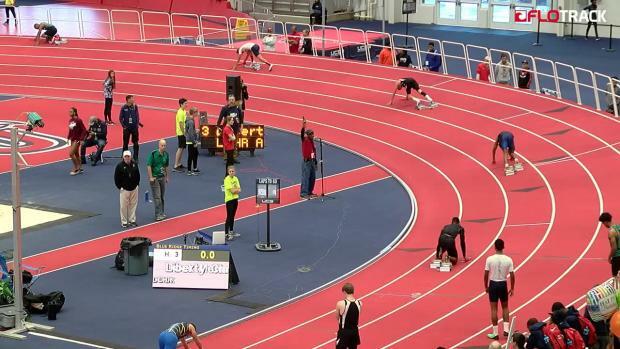 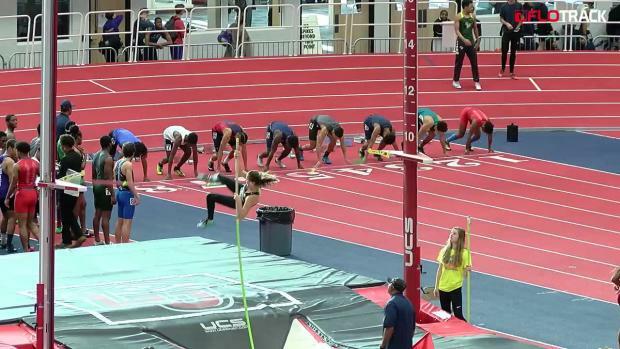 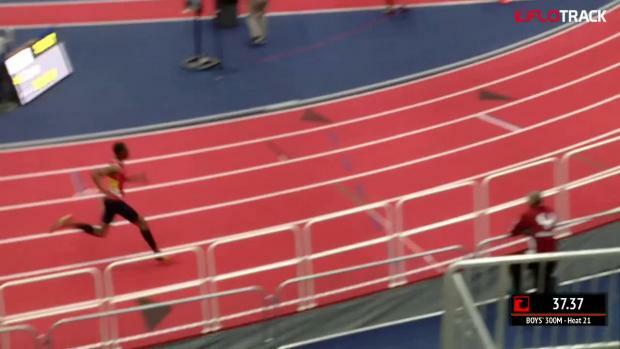 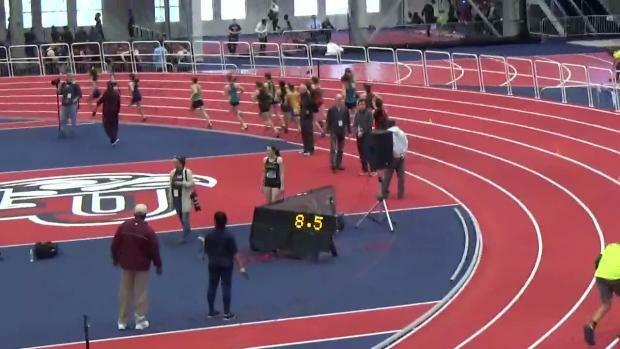 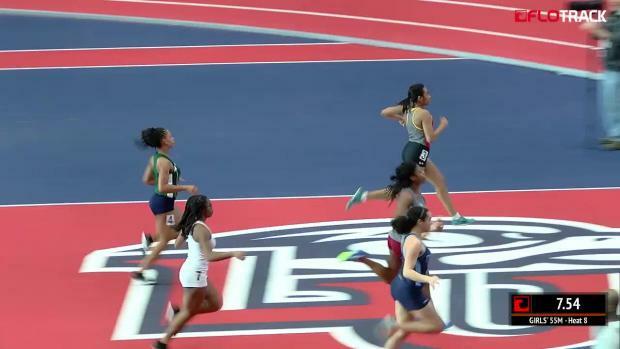 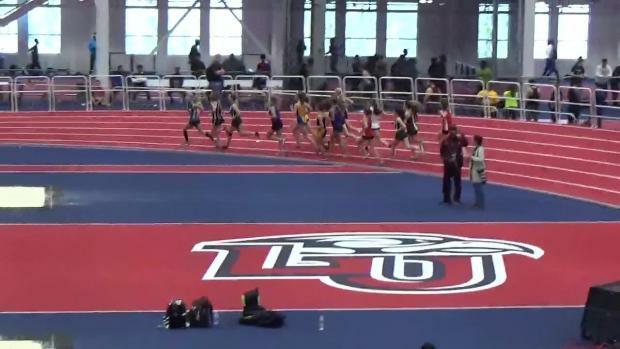 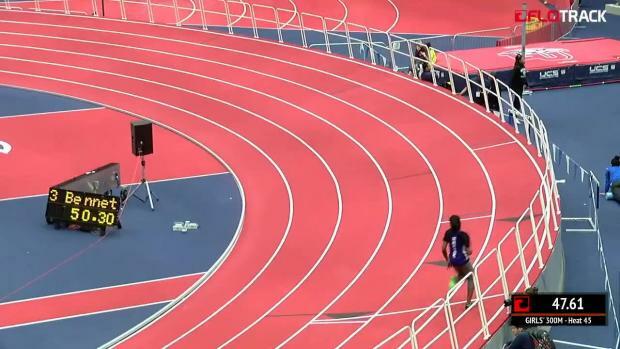 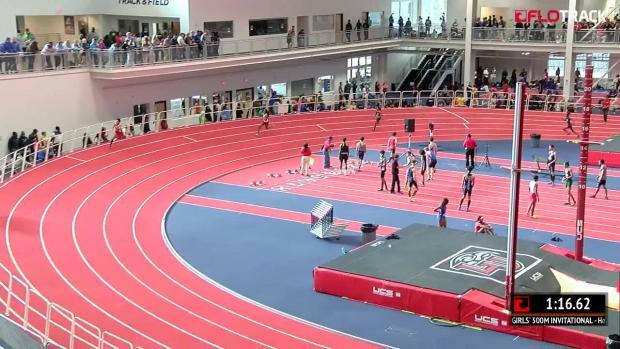 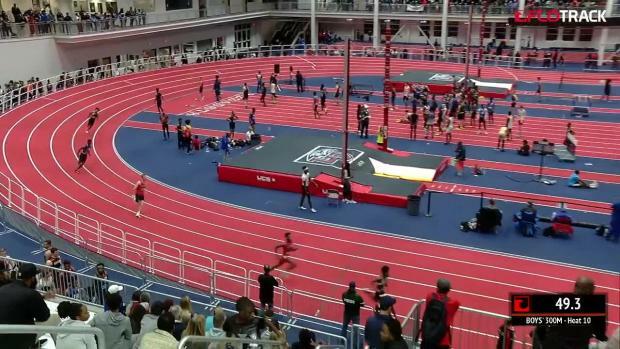 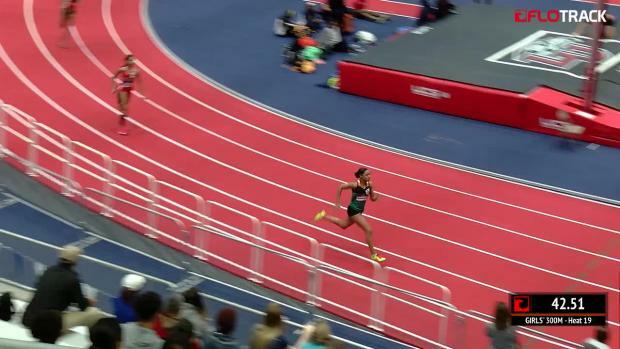 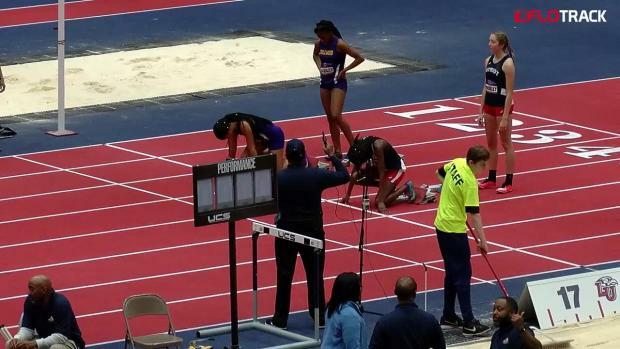 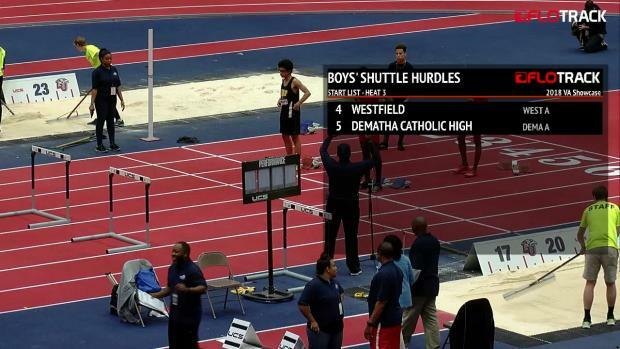 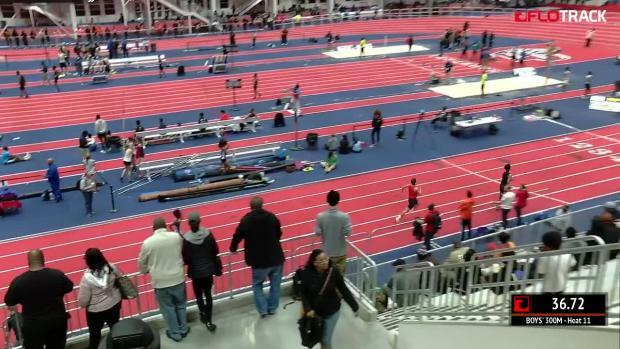 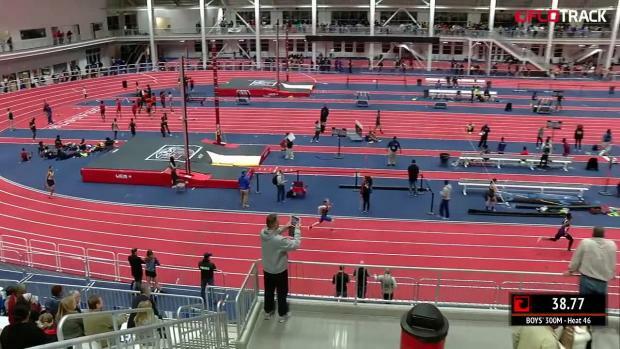 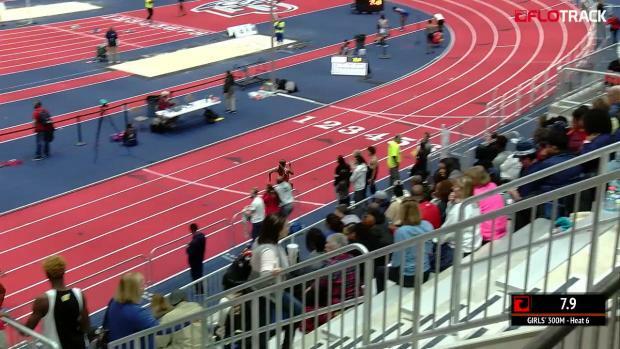 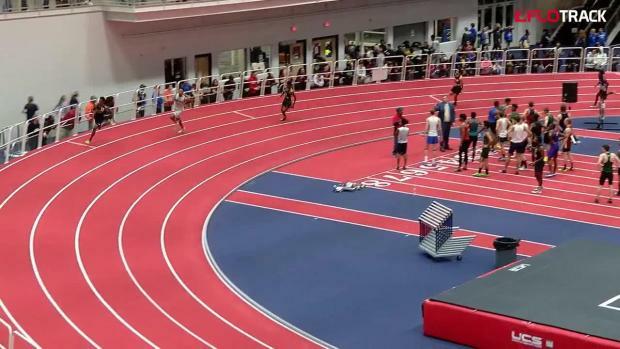 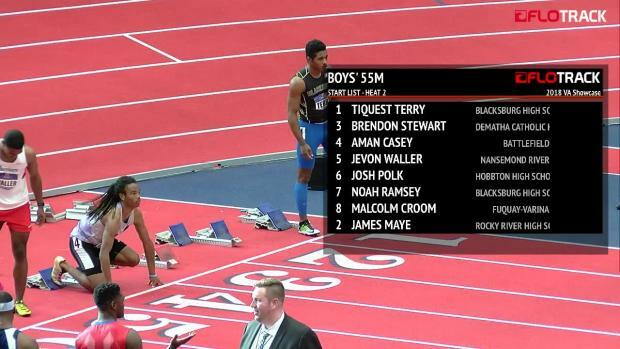 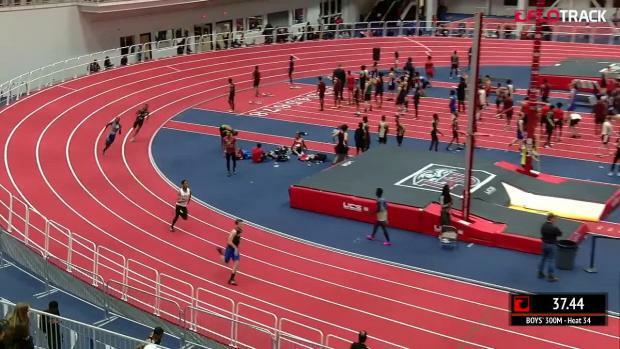 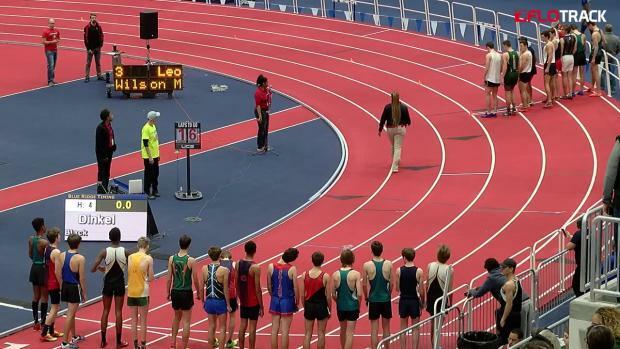 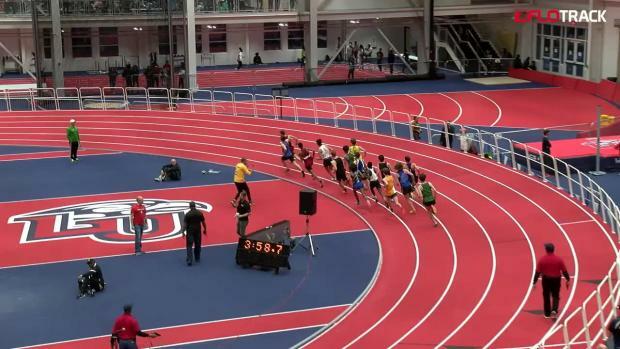 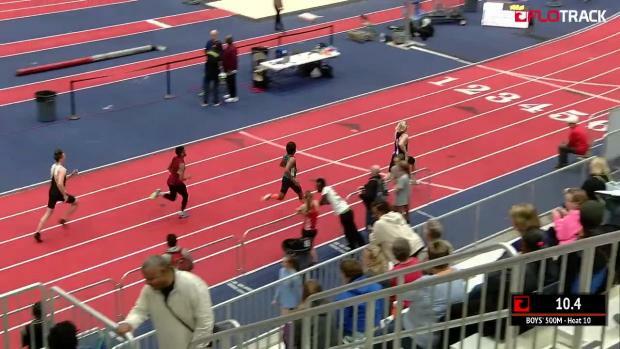 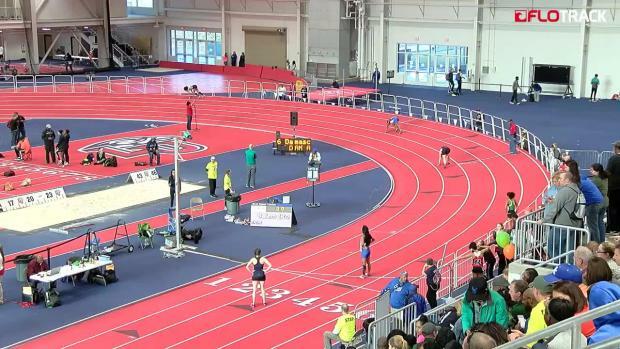 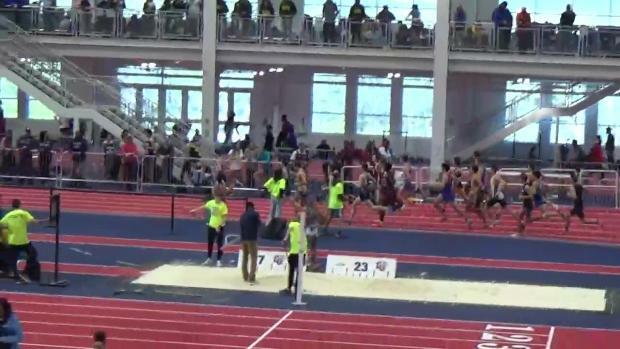 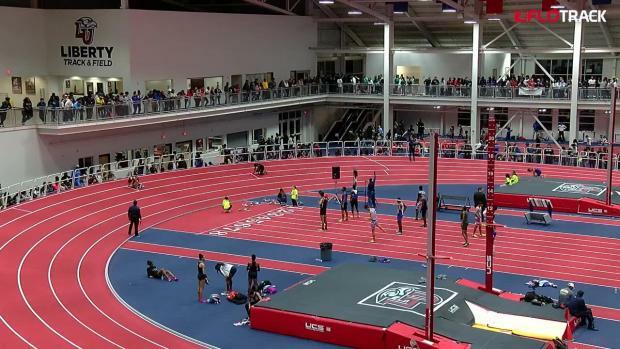 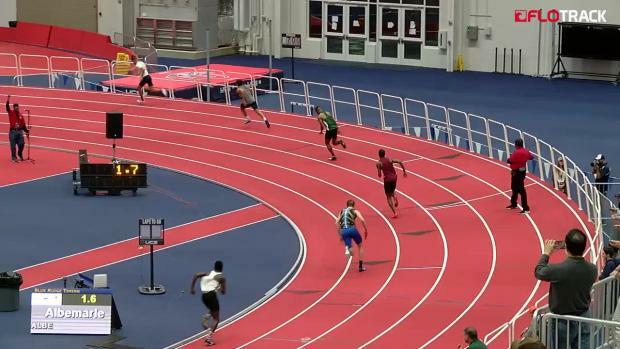 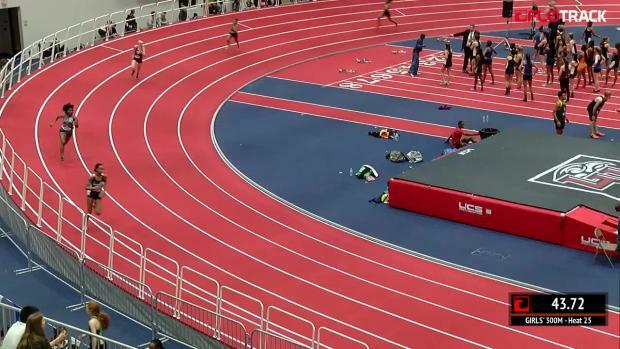 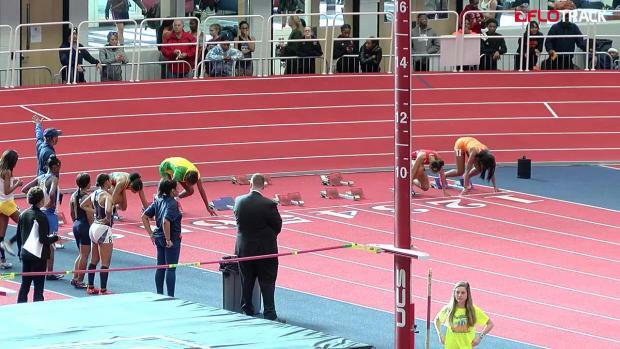 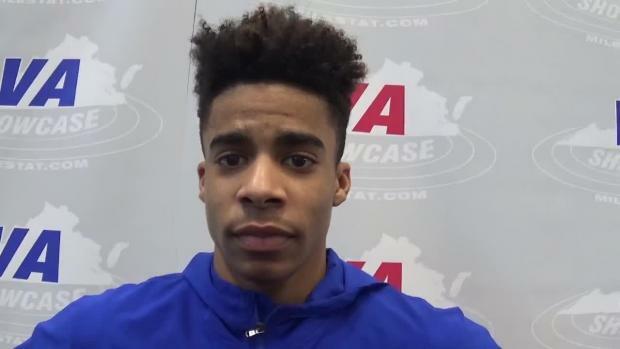 By Cory Mull l MileSplit- - - Will Tyrese Cooper compete at 800 meters this spring? 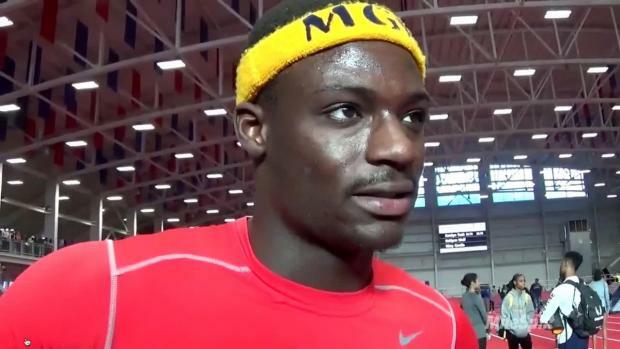 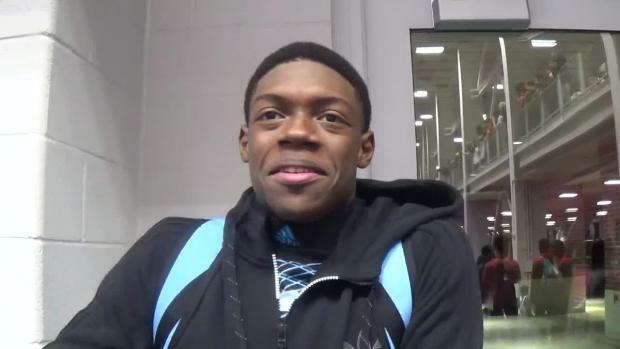 The Miami Gardens Express (FL) star, a high school junior who ran ran nine times at 45 seconds for 400 meters in 2017, says he's definitely contemplating the distance after two straight seasons of glowing times in the 500m indoors. 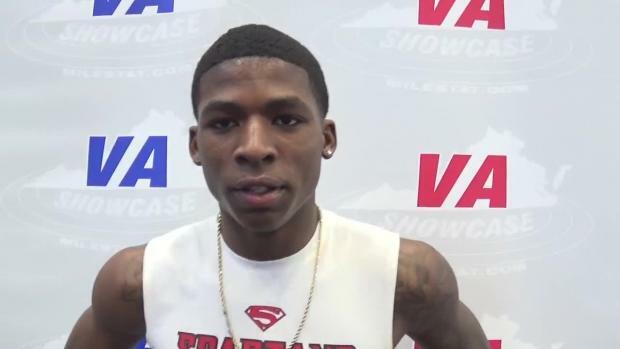 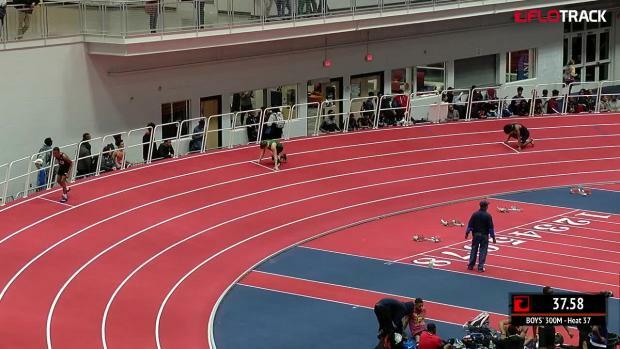 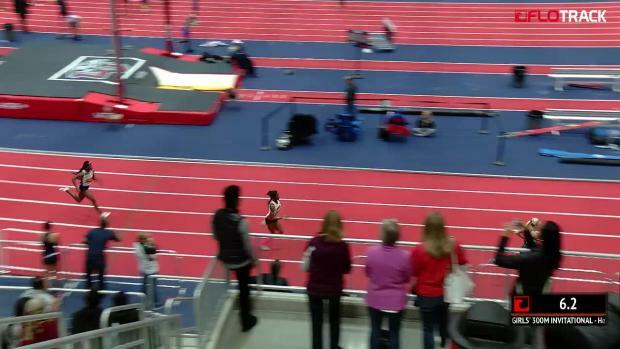 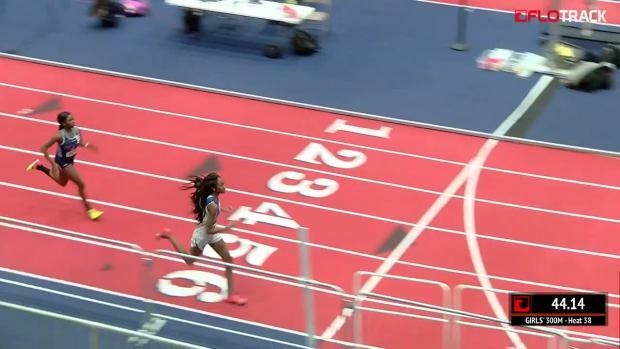 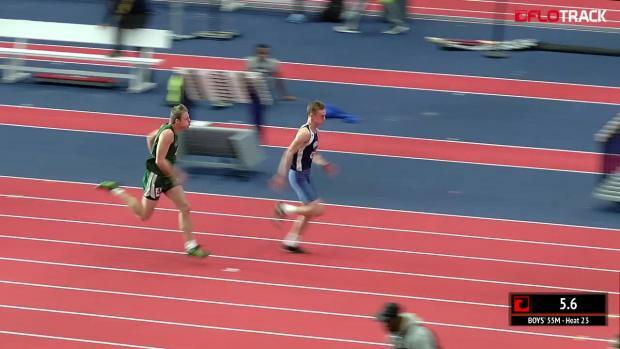 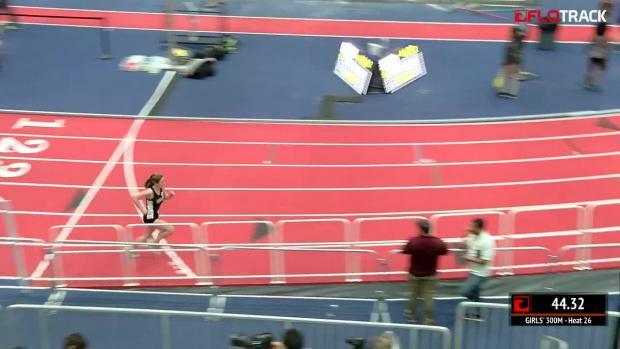 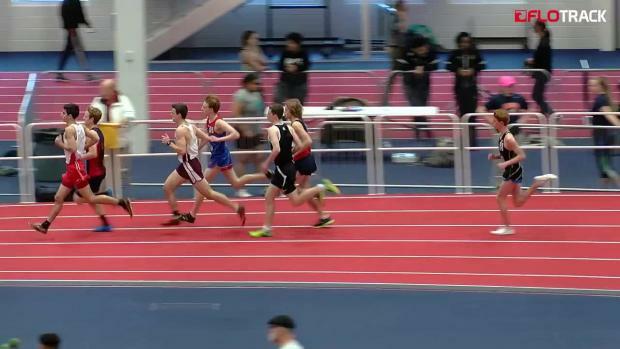 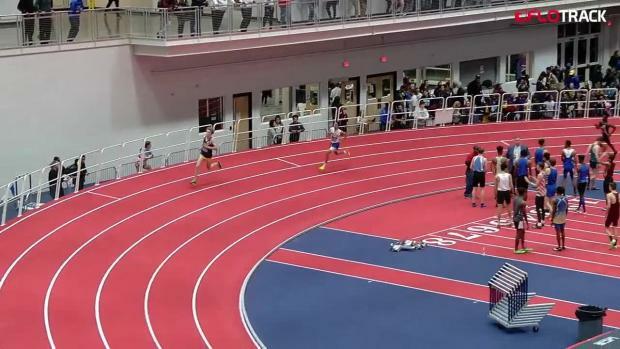 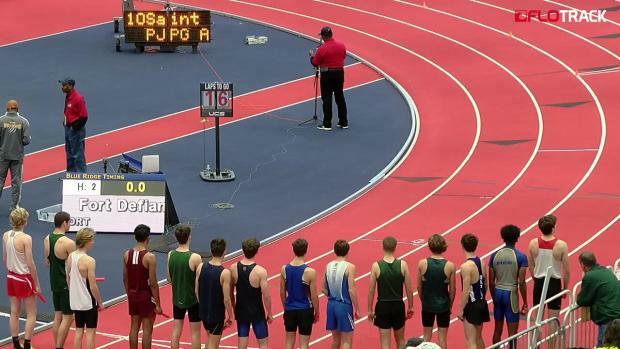 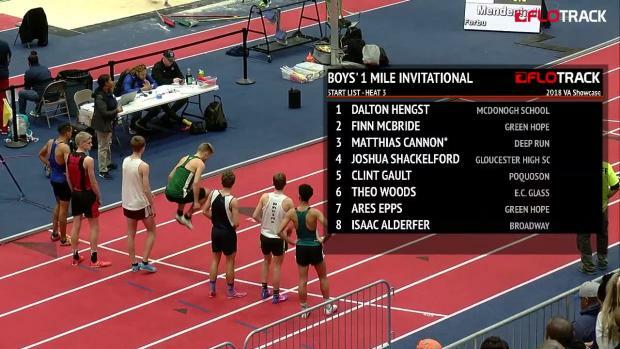 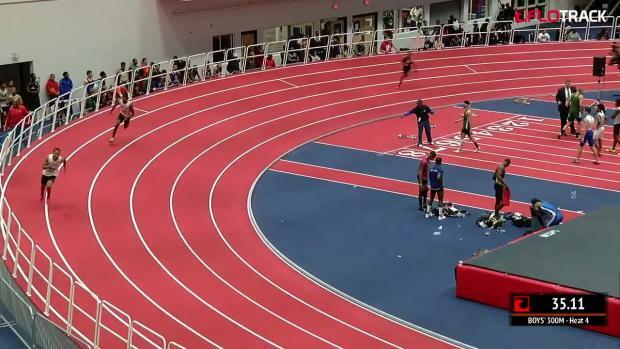 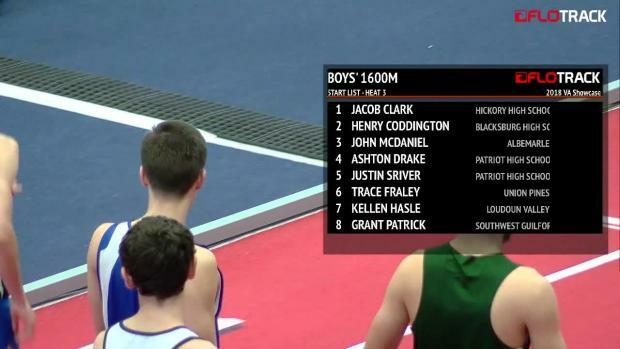 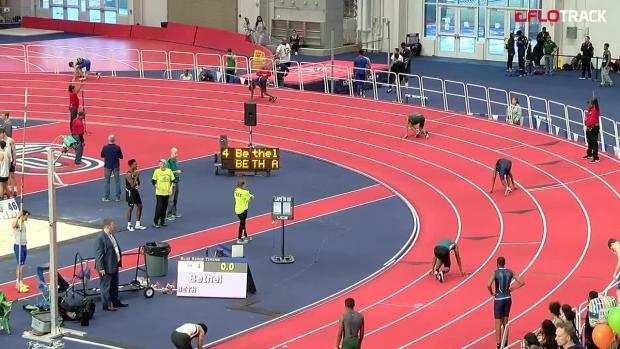 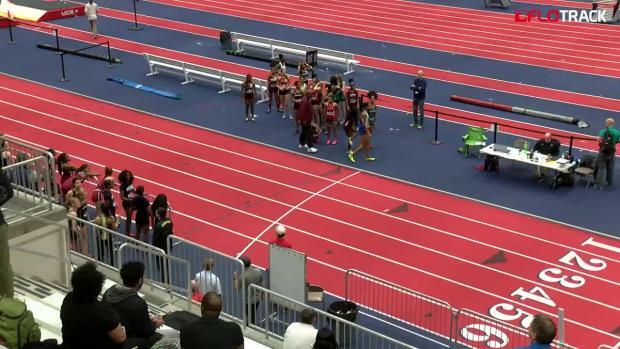 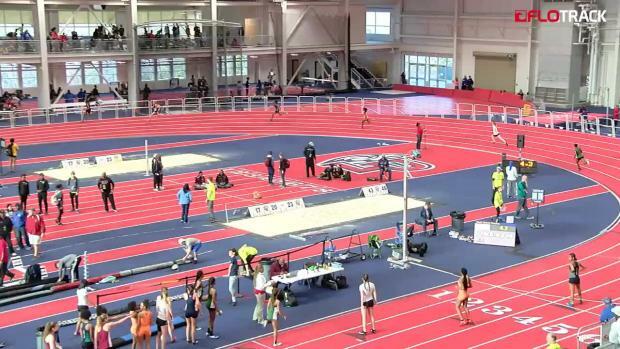 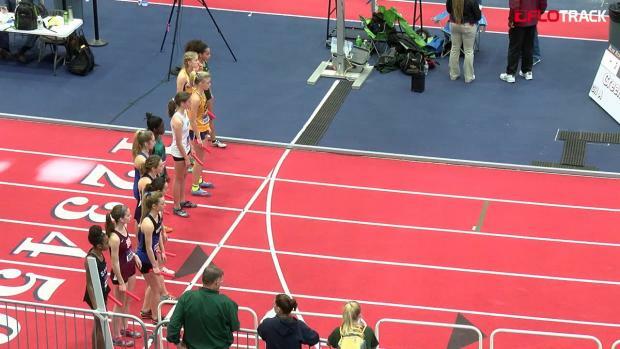 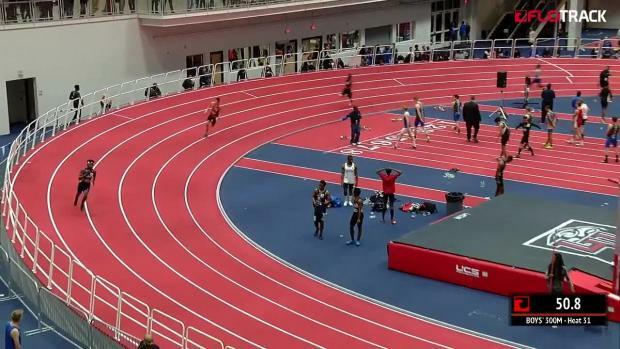 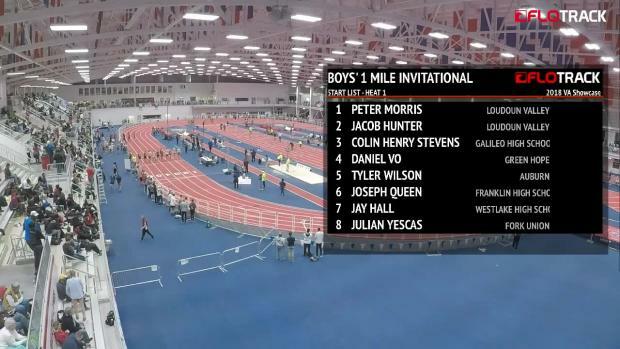 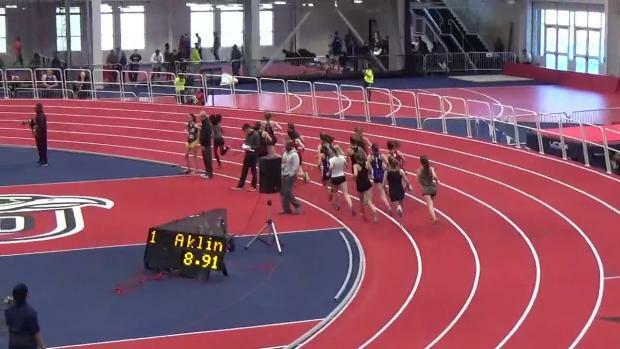 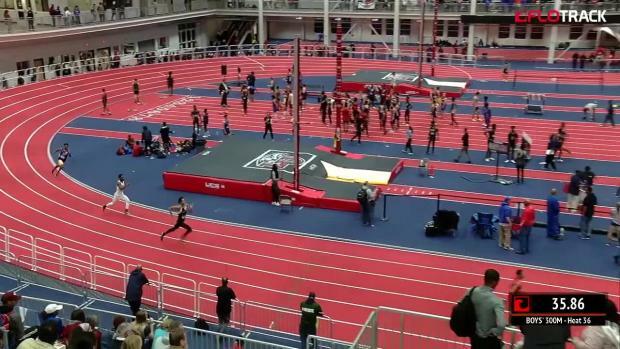 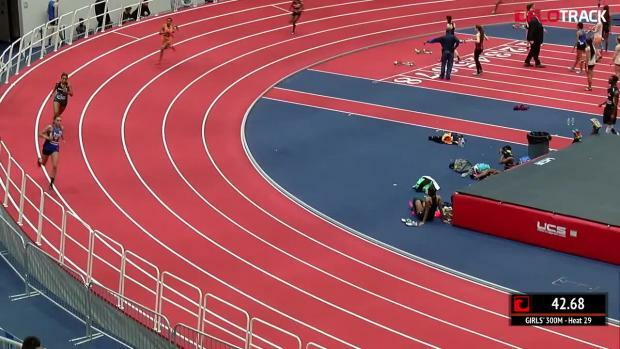 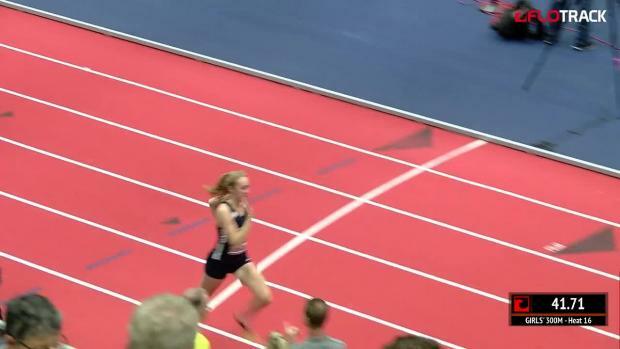 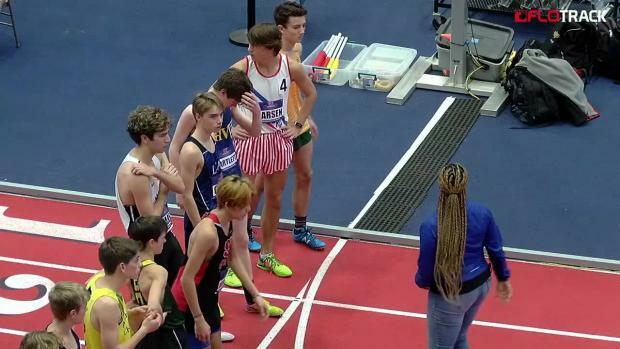 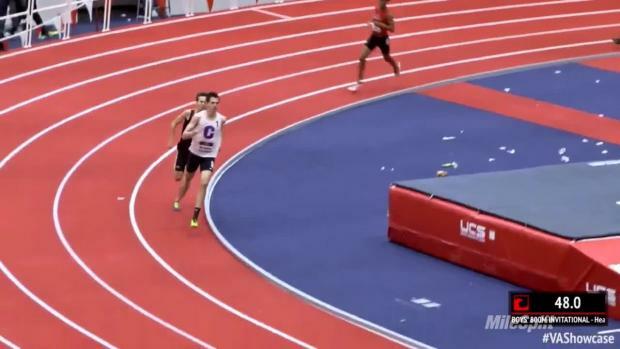 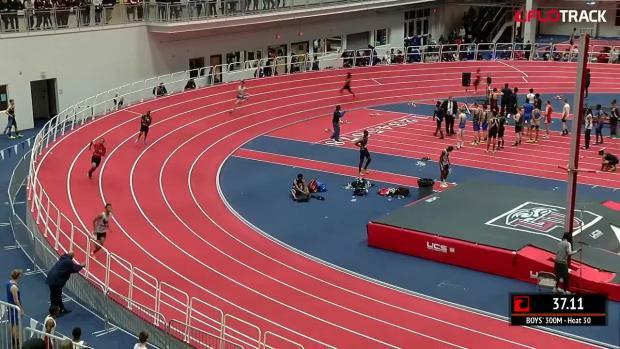 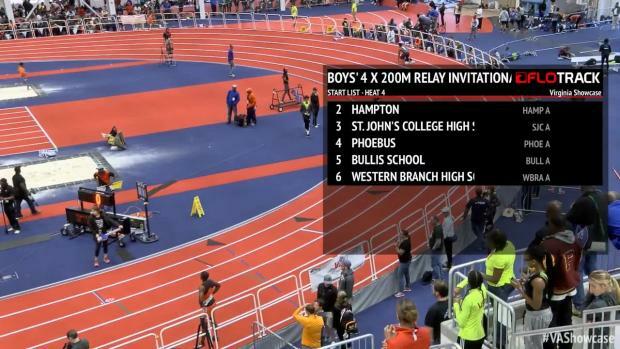 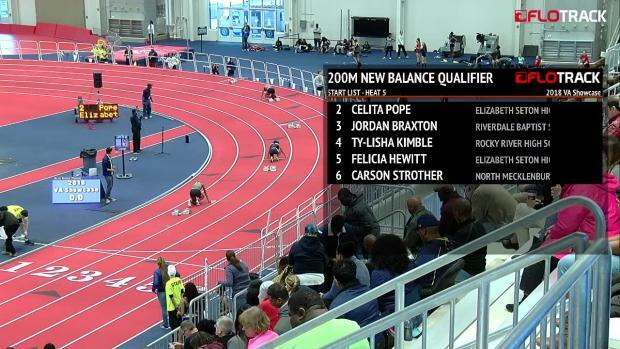 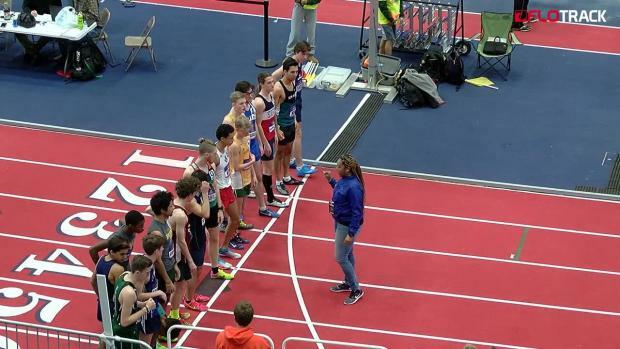 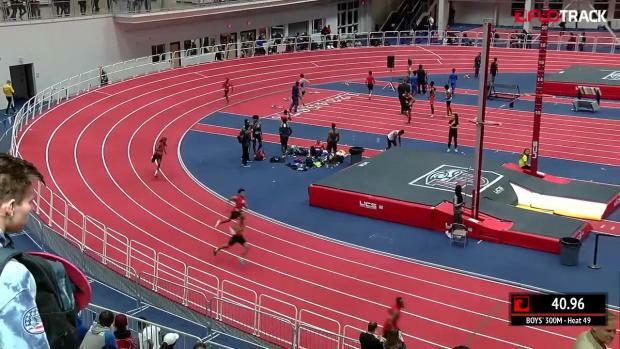 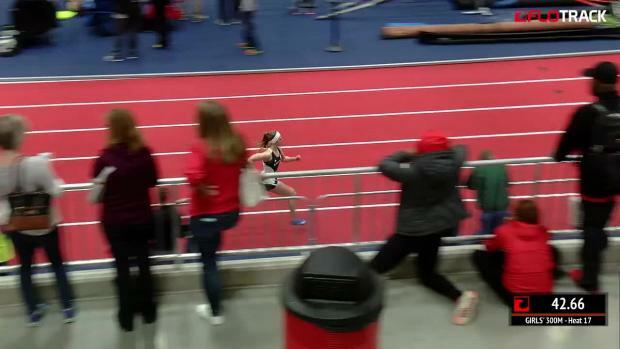 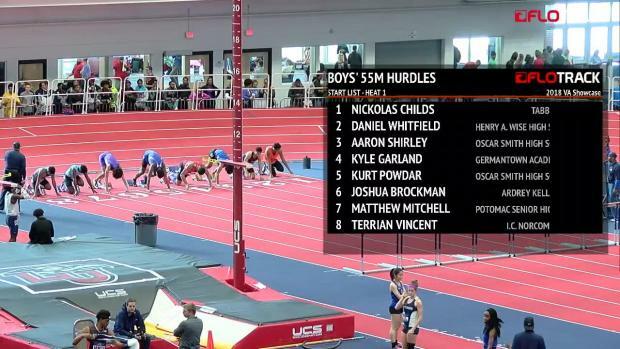 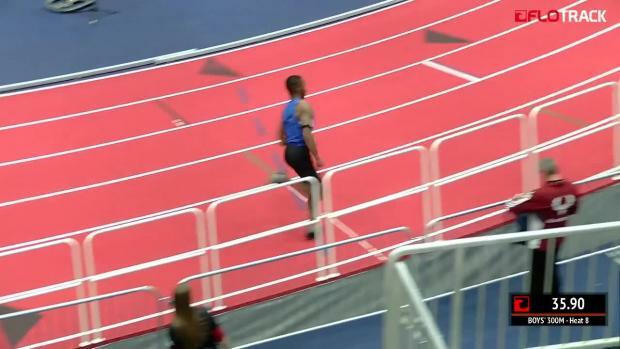 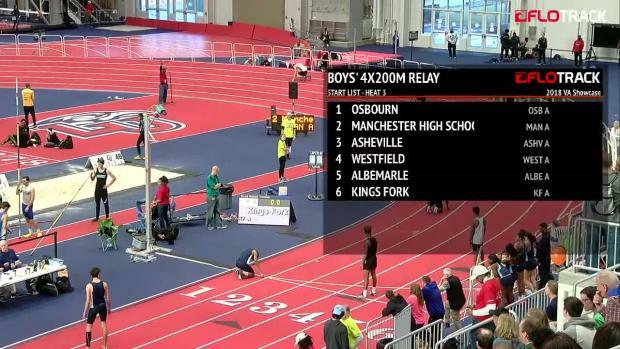 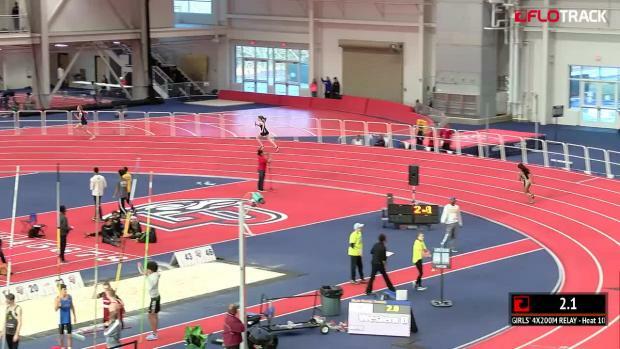 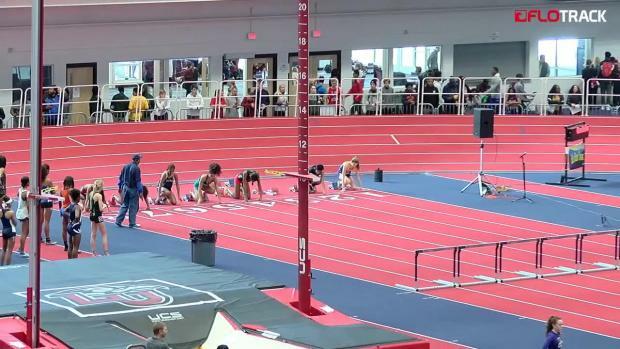 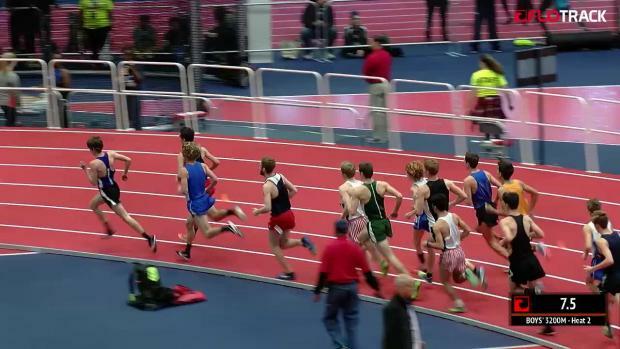 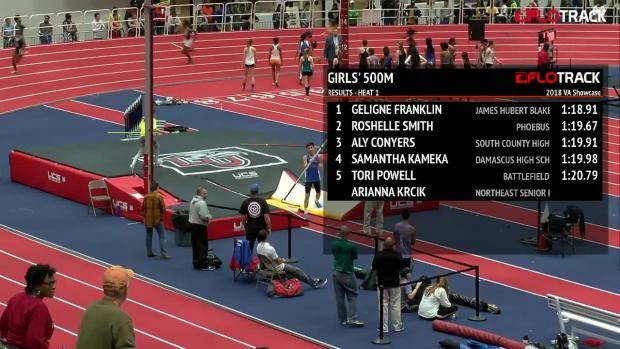 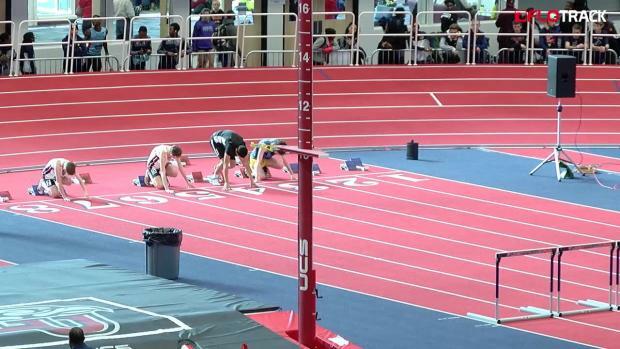 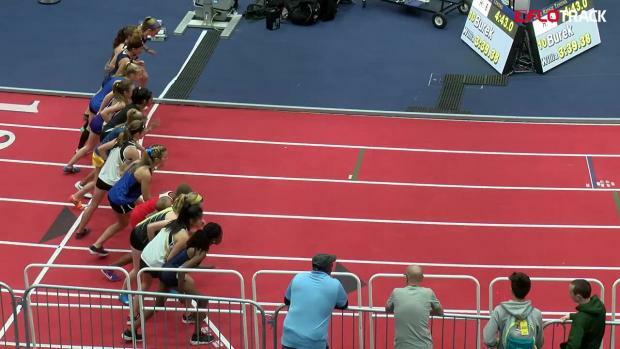 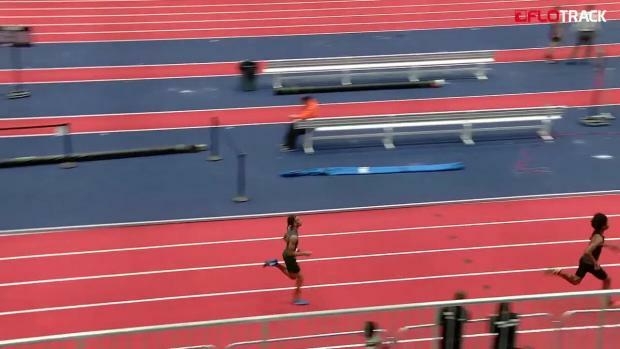 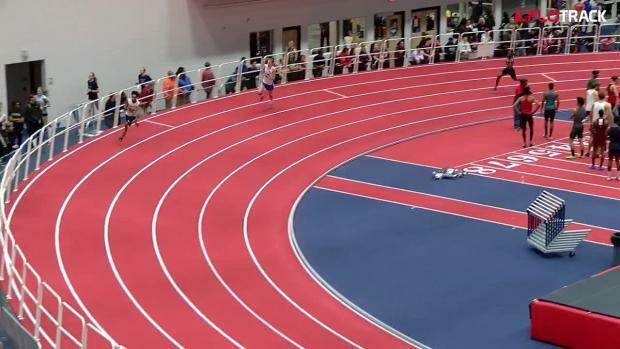 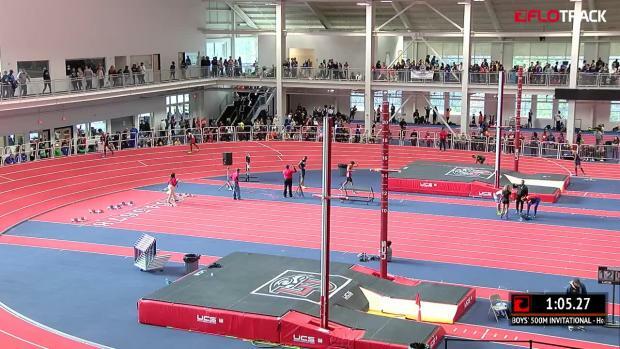 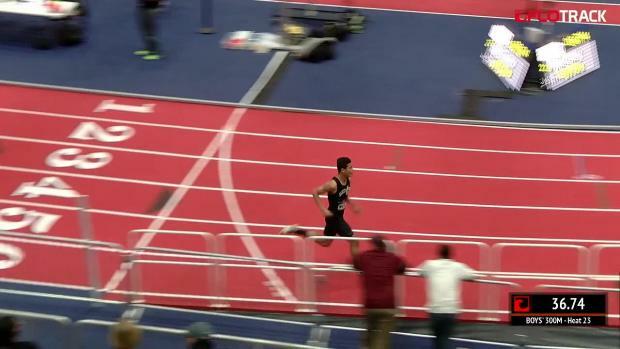 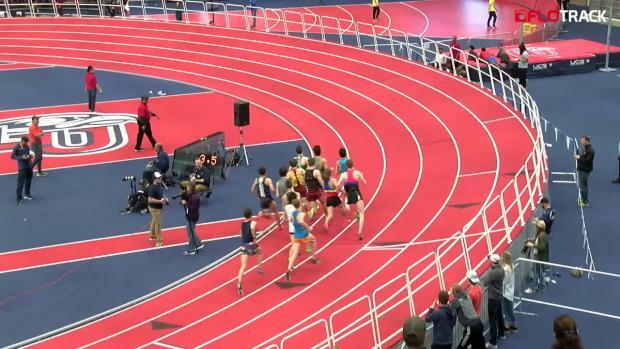 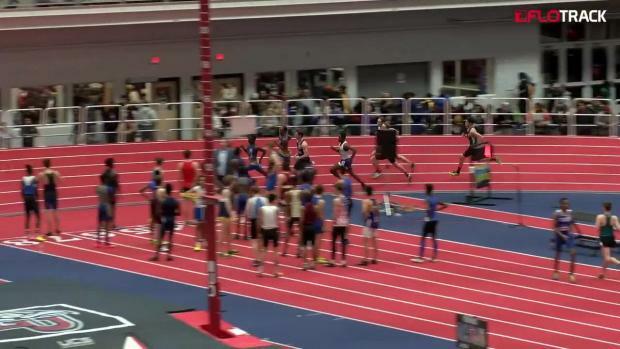 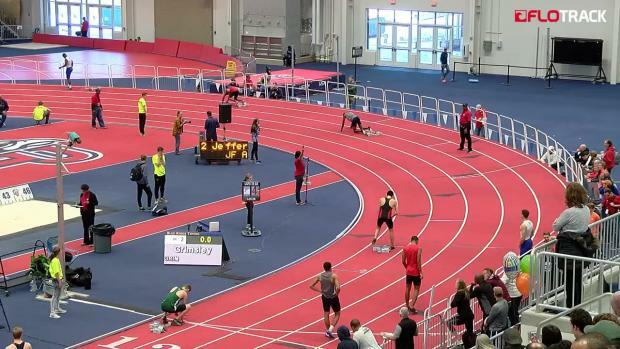 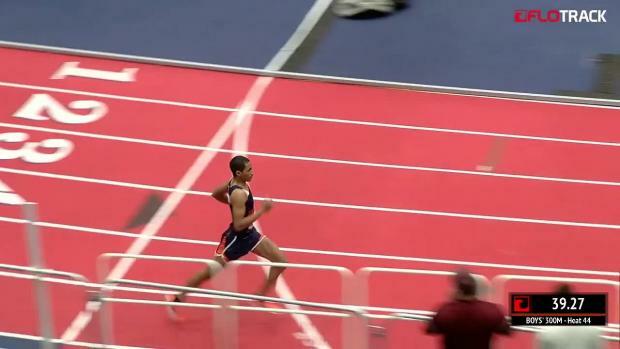 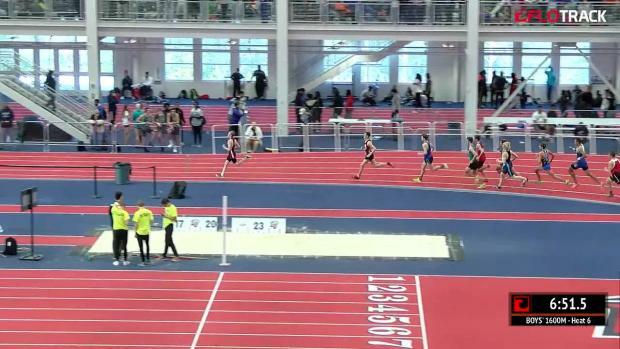 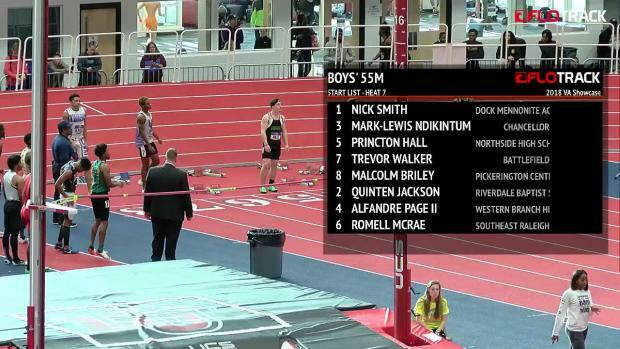 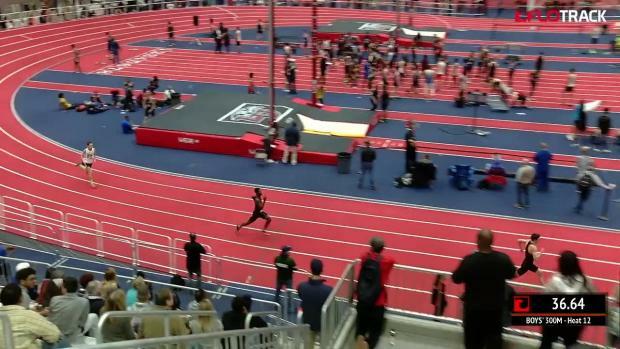 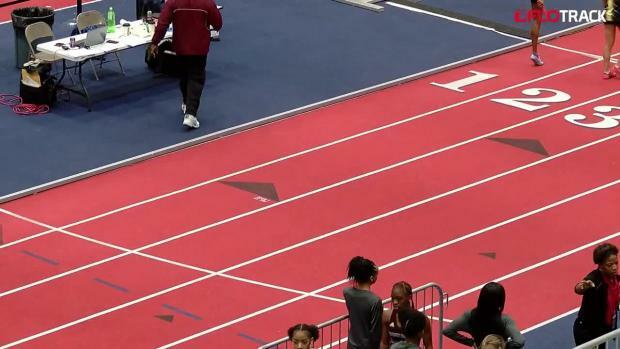 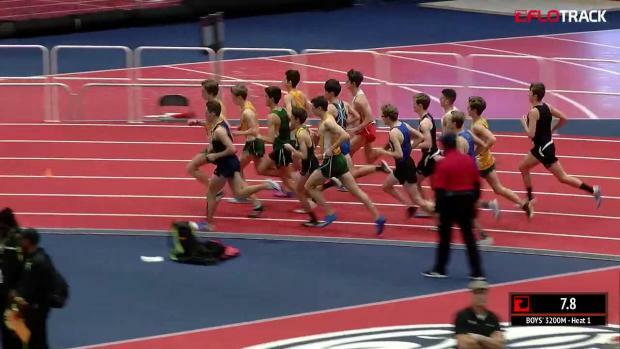 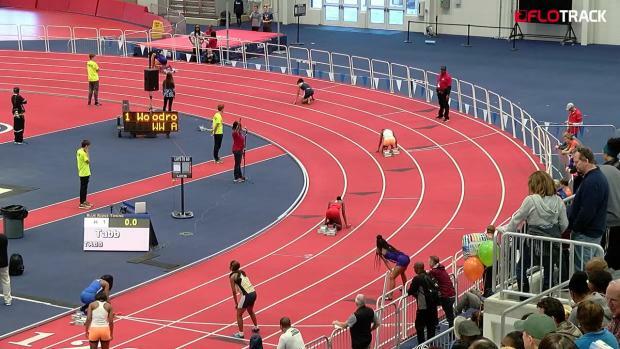 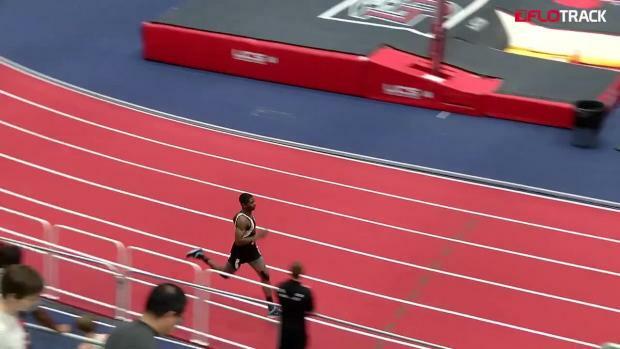 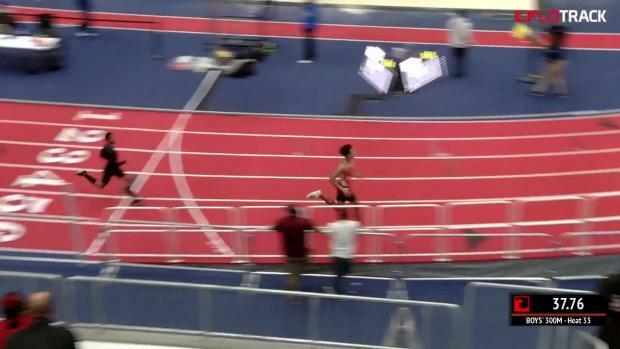 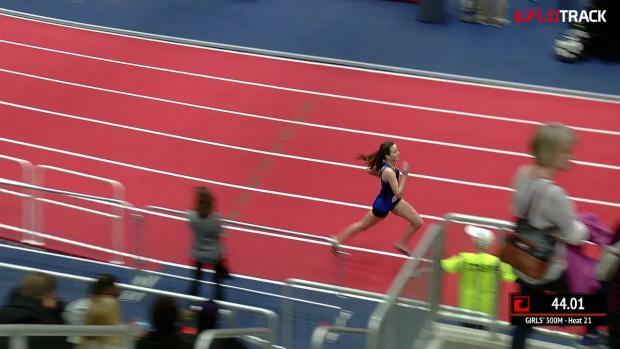 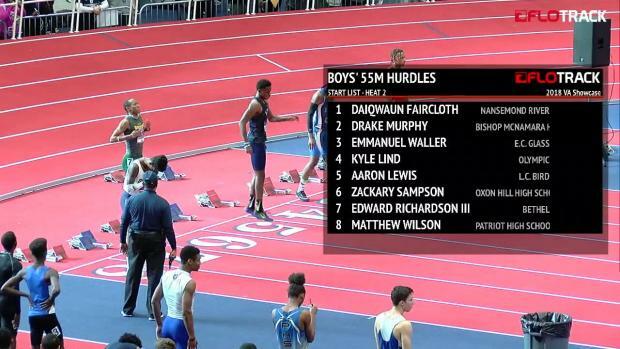 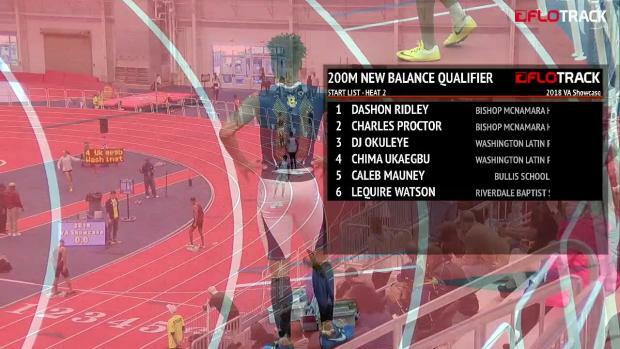 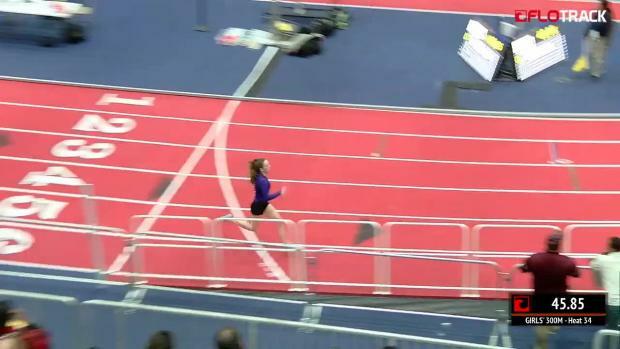 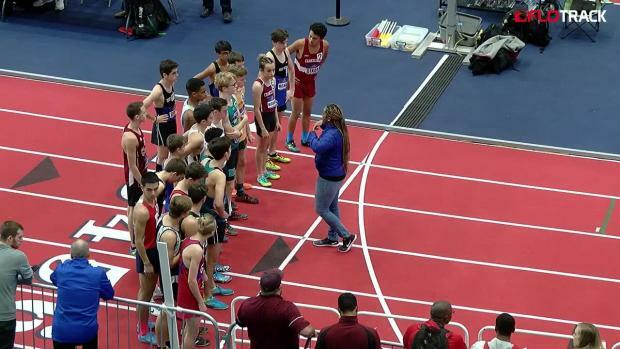 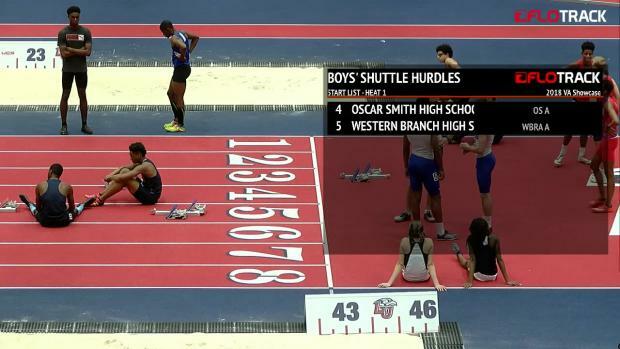 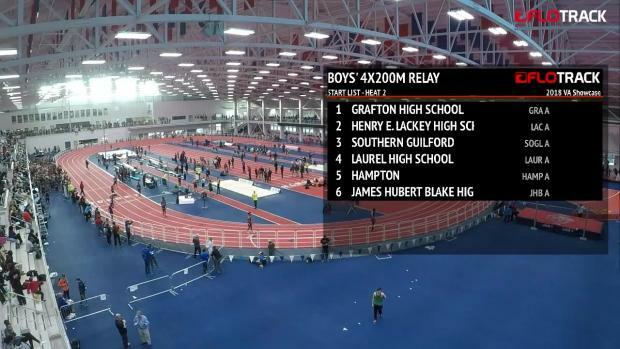 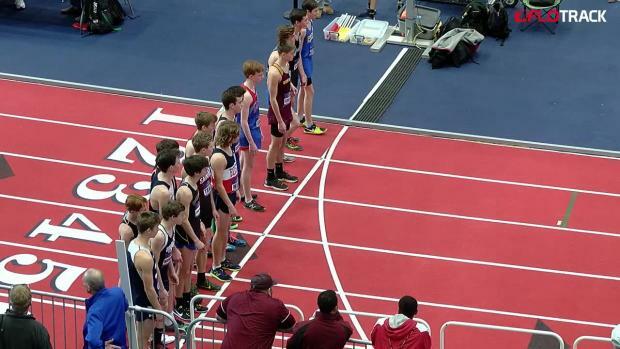 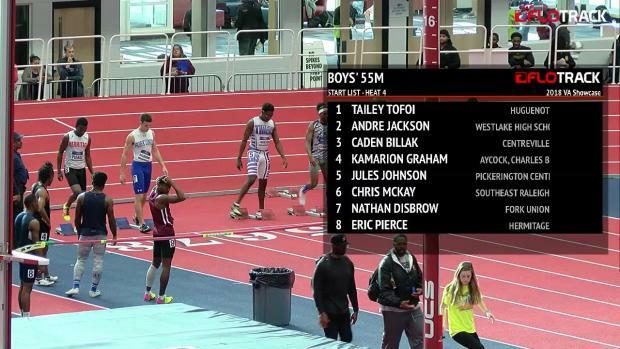 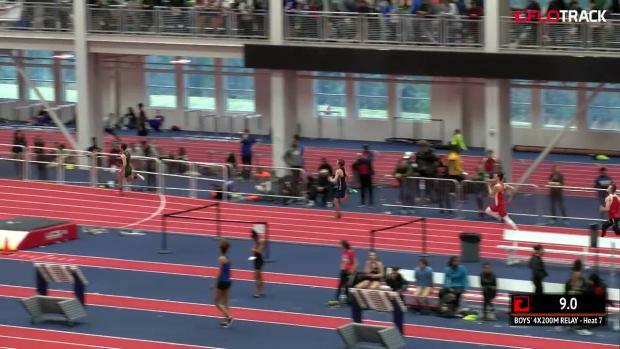 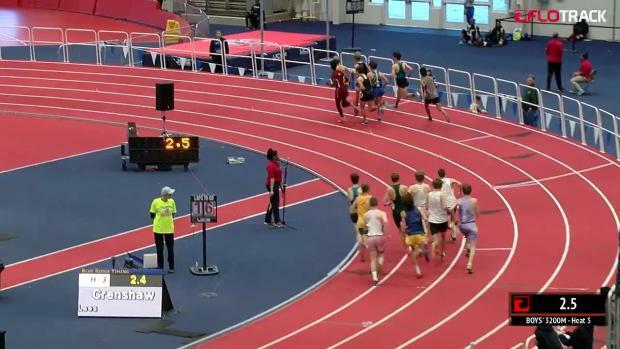 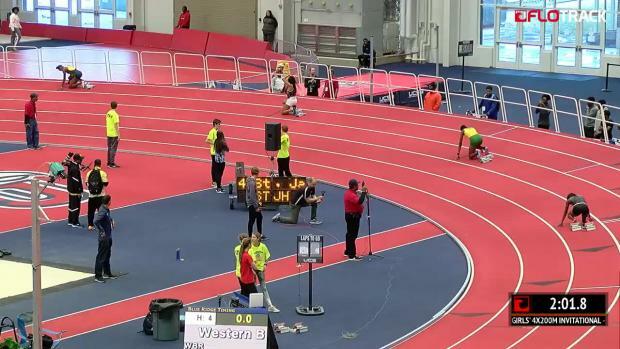 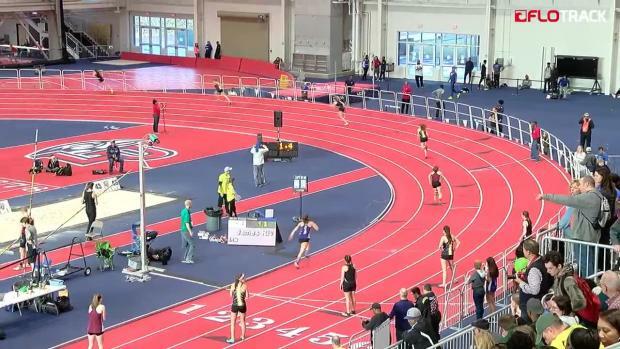 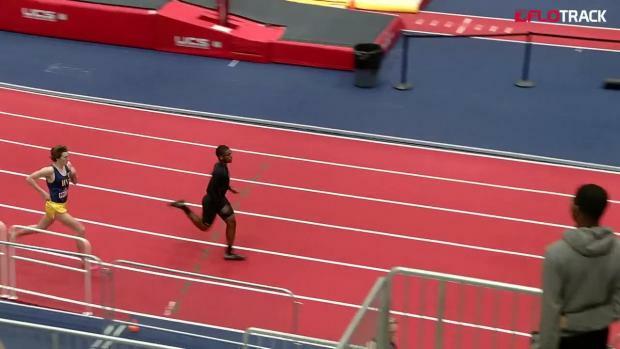 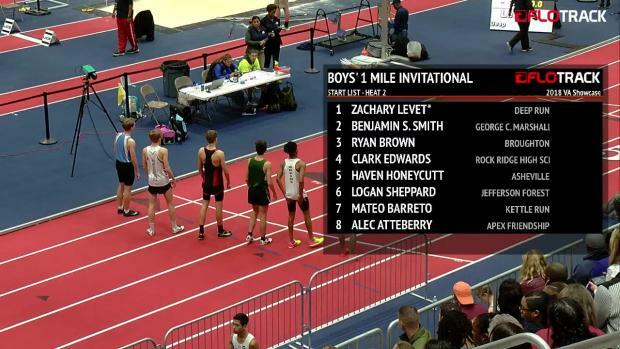 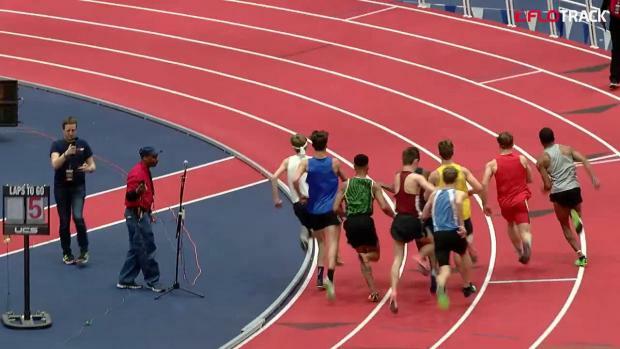 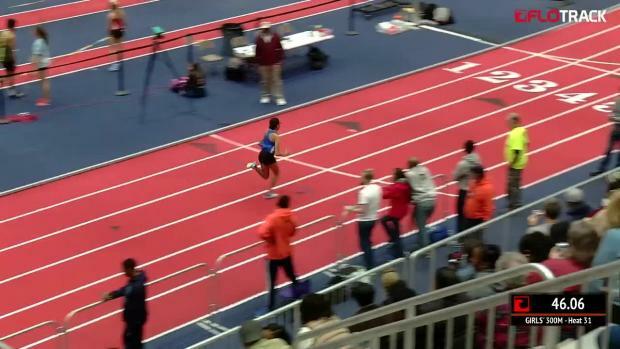 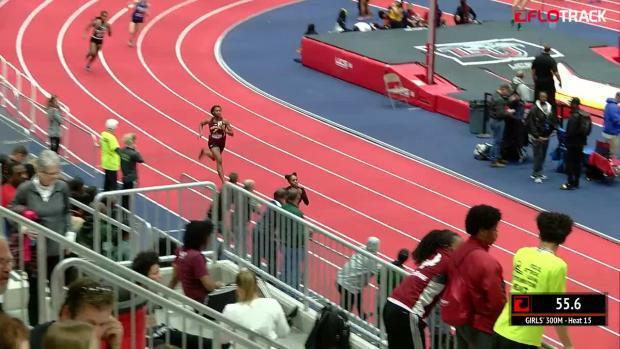 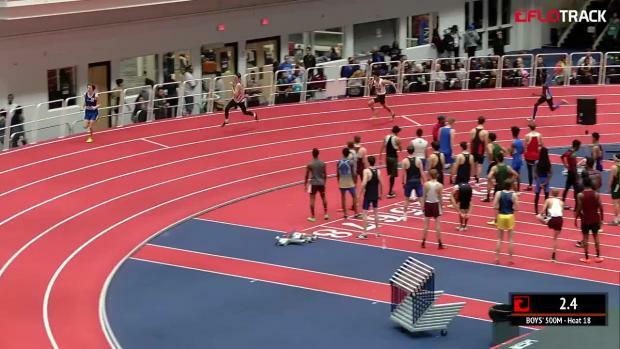 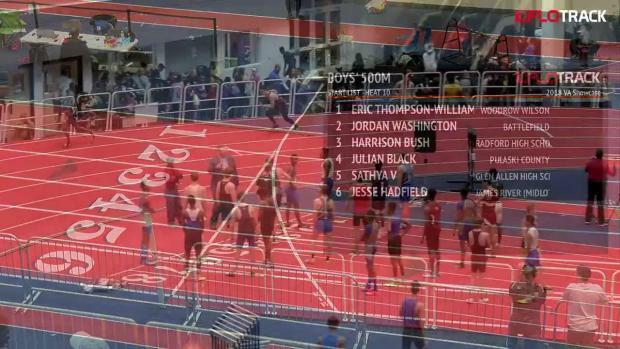 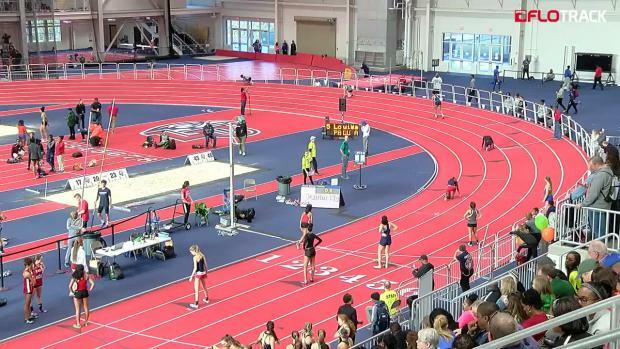 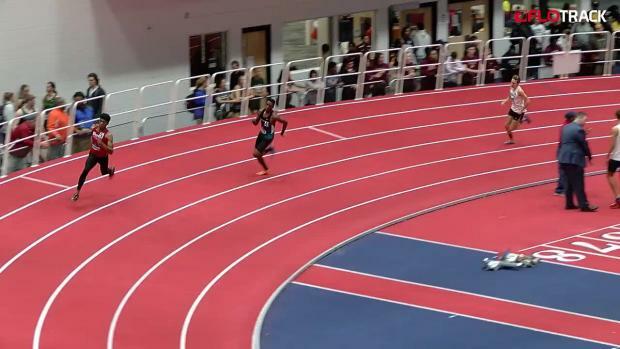 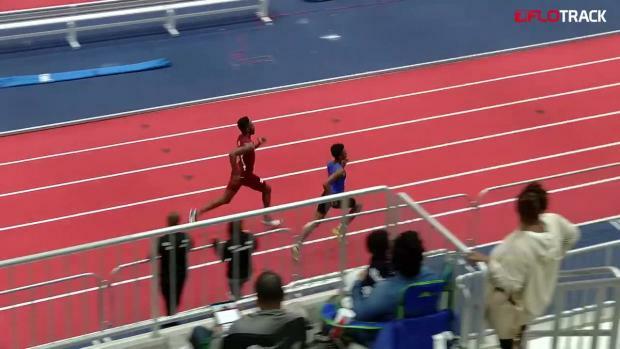 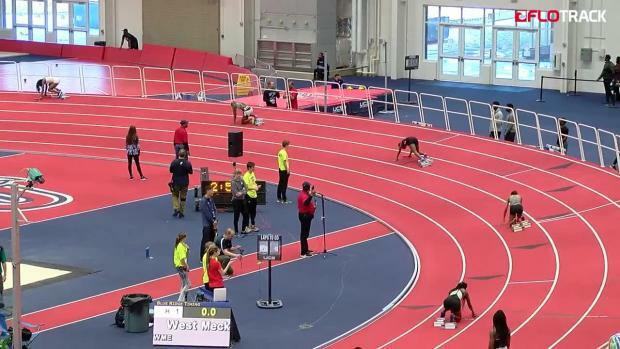 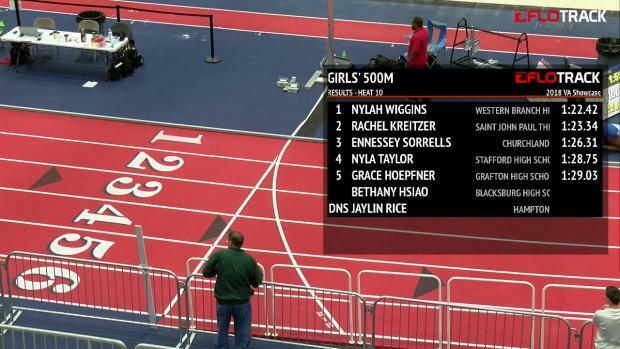 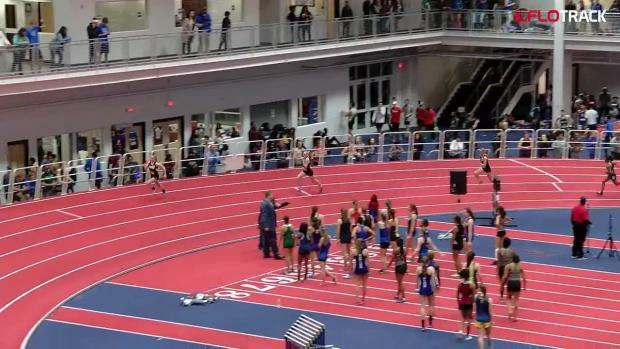 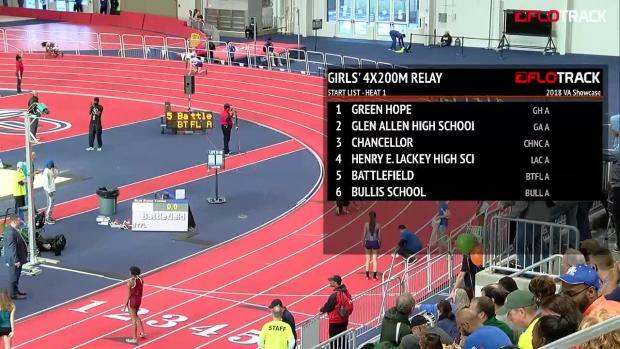 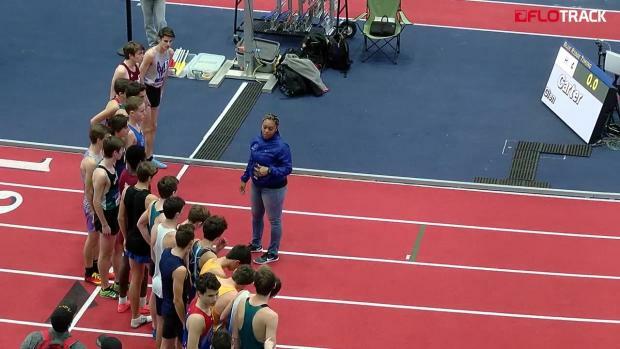 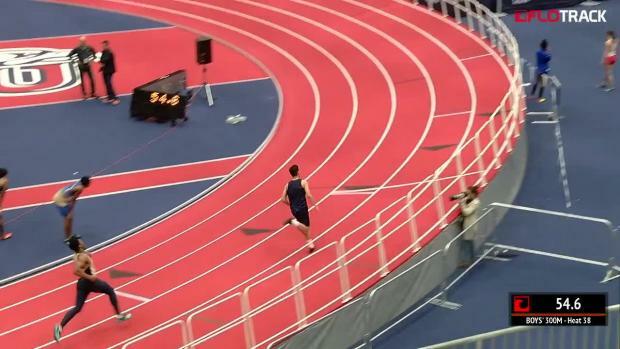 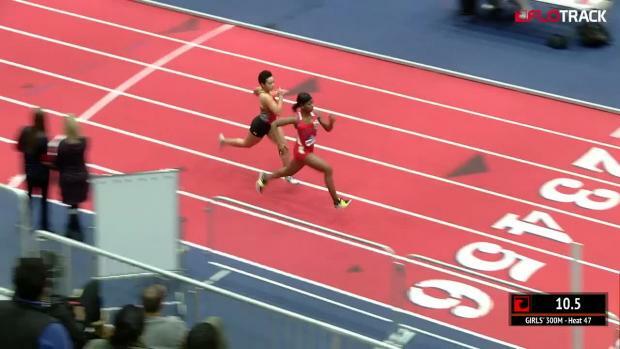 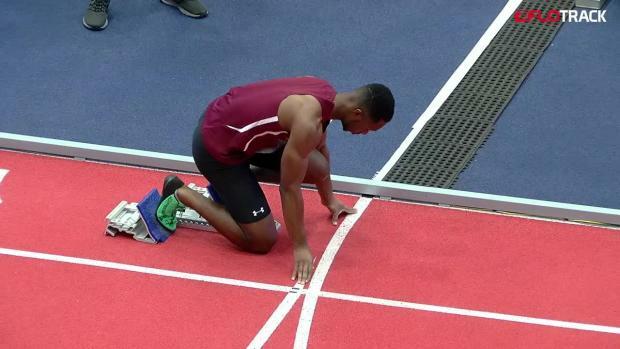 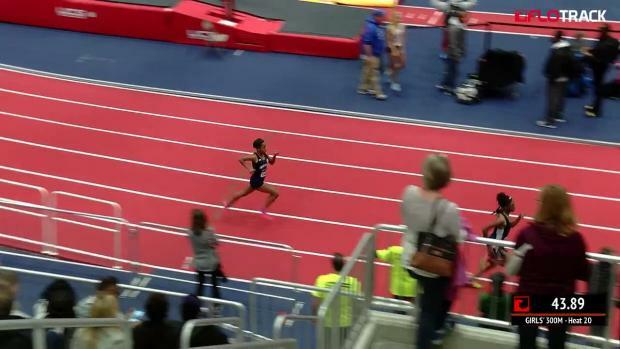 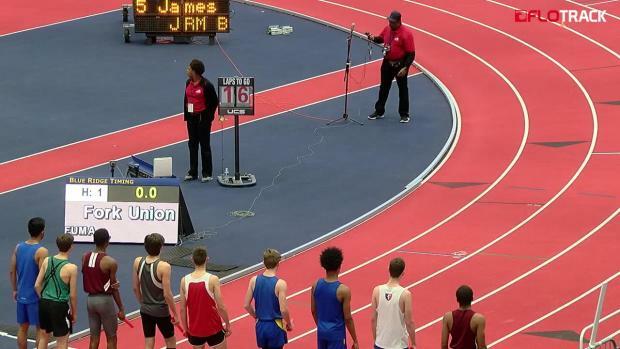 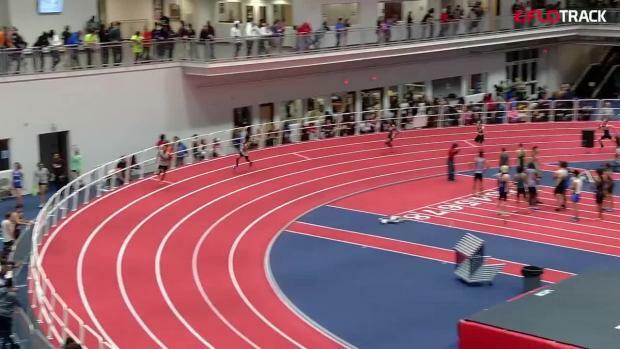 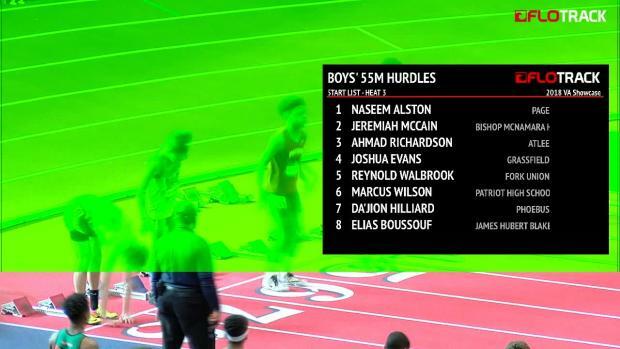 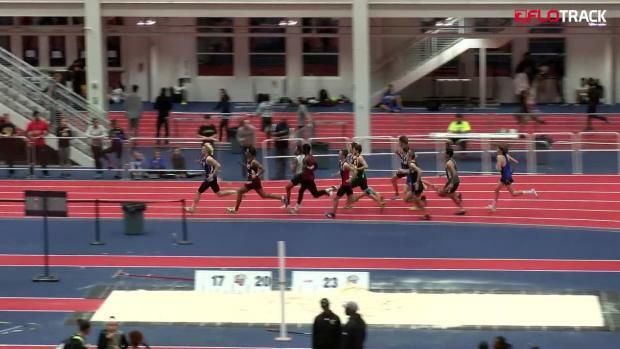 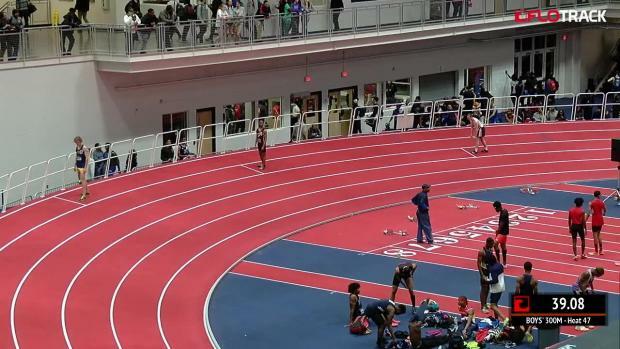 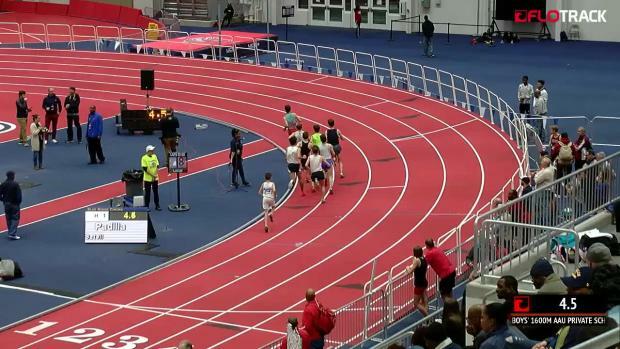 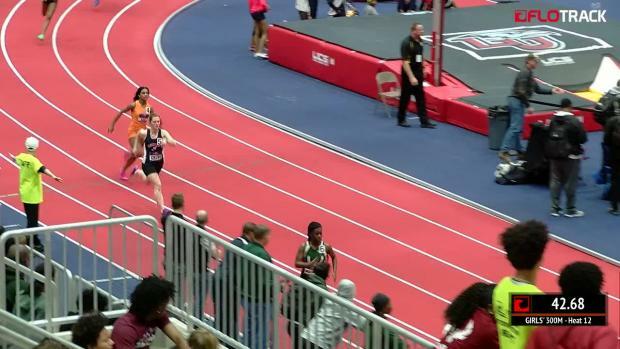 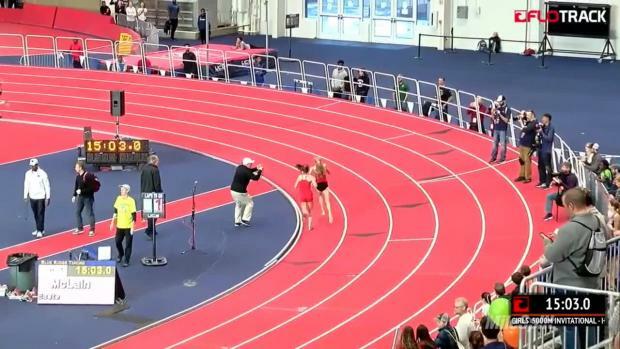 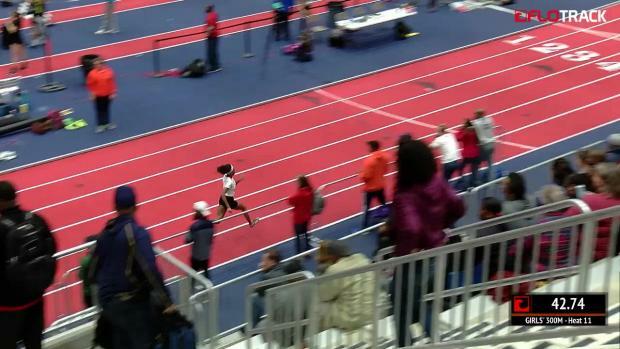 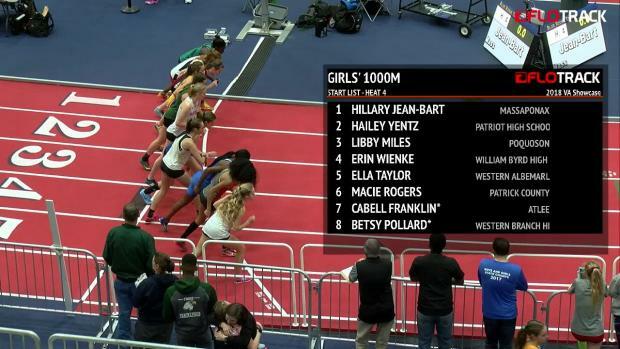 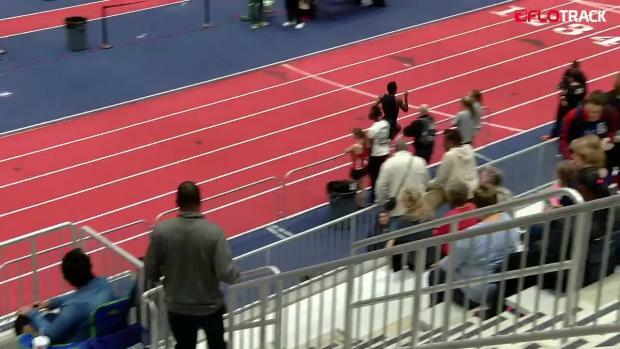 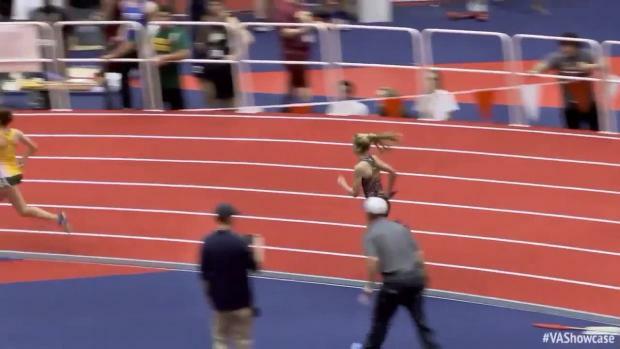 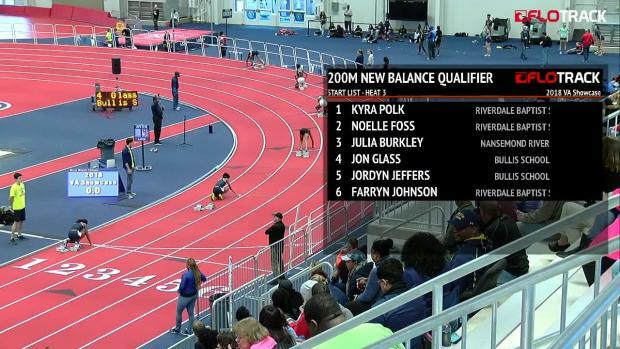 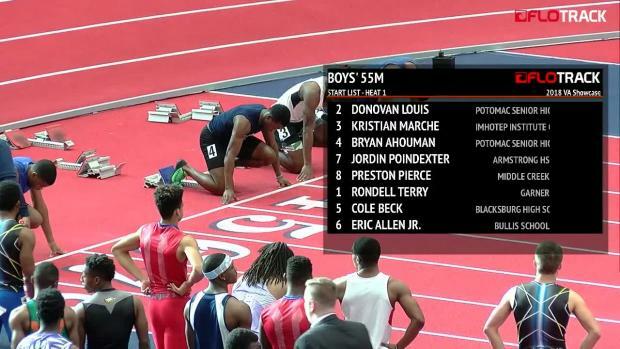 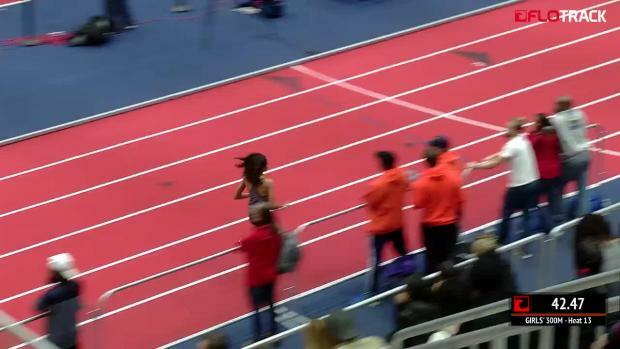 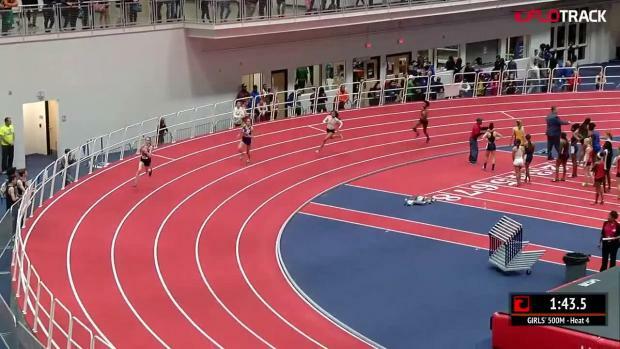 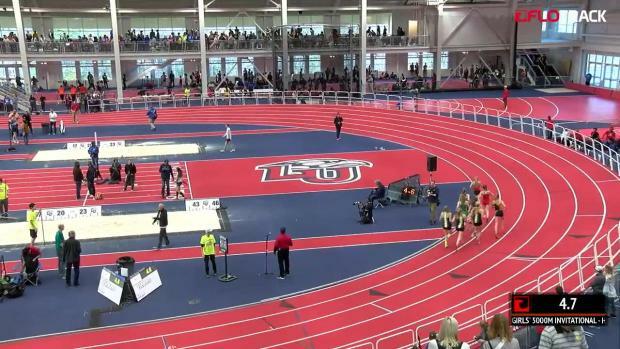 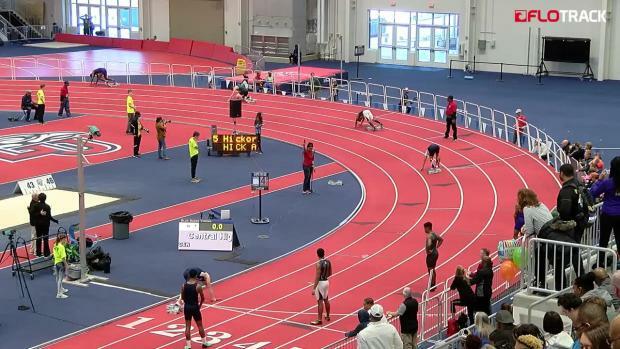 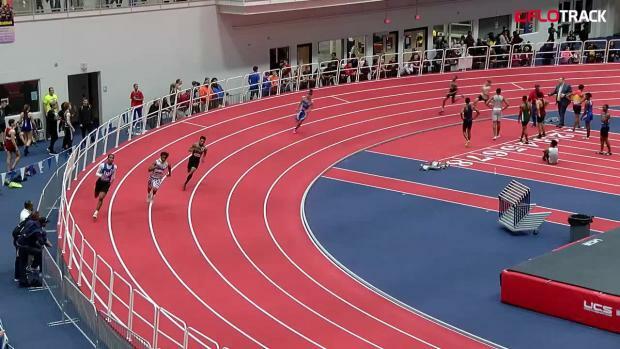 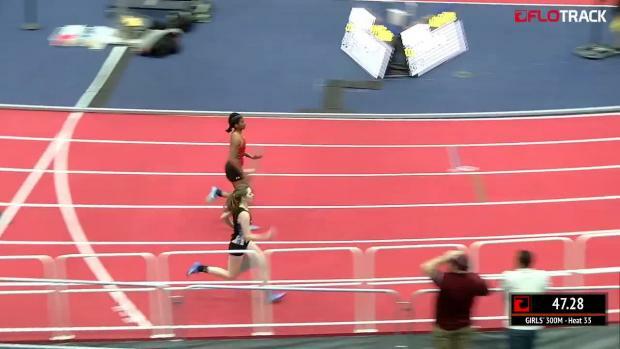 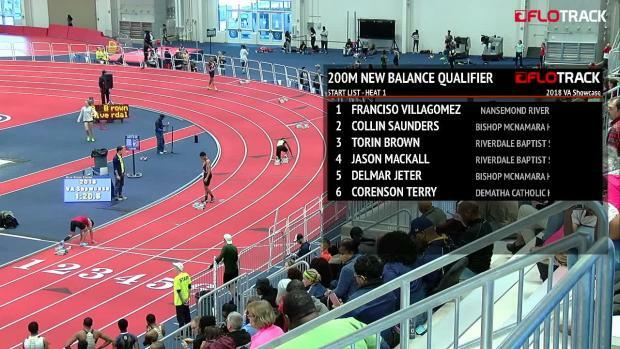 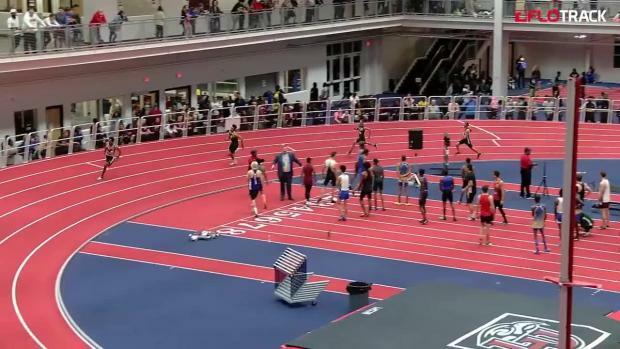 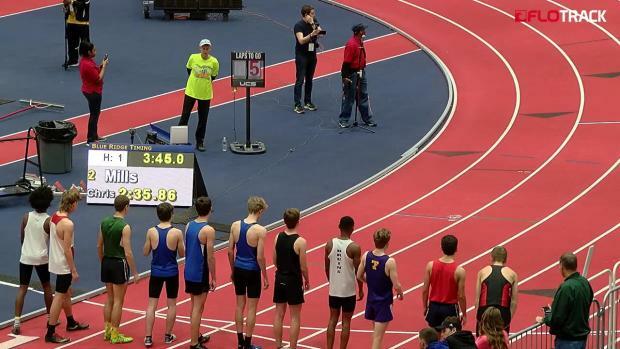 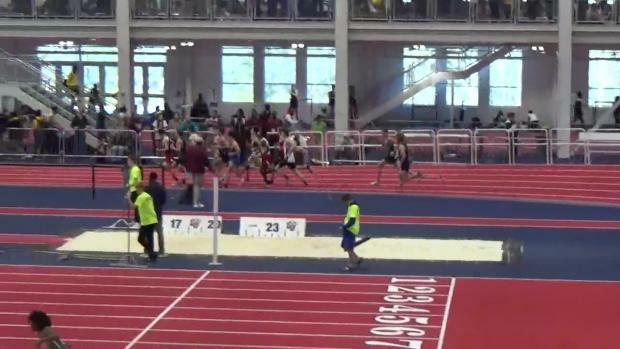 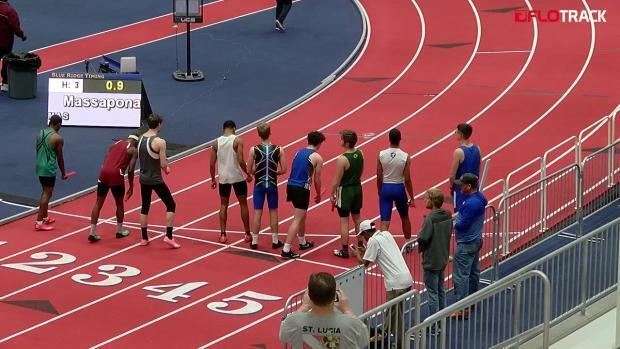 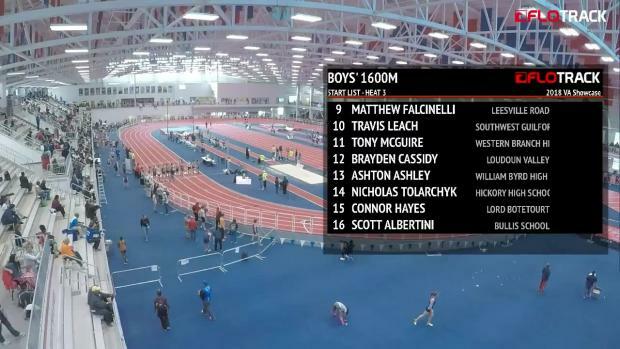 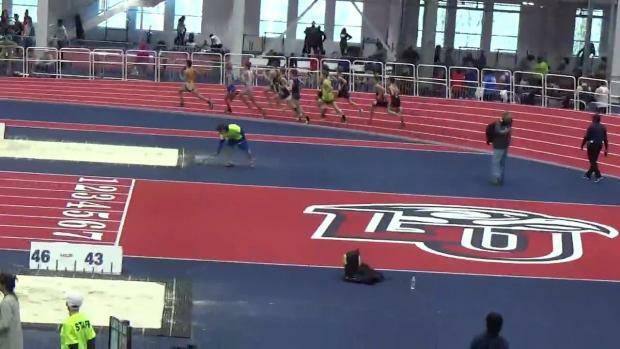 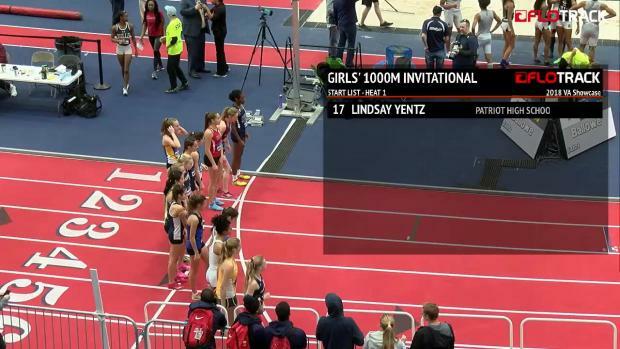 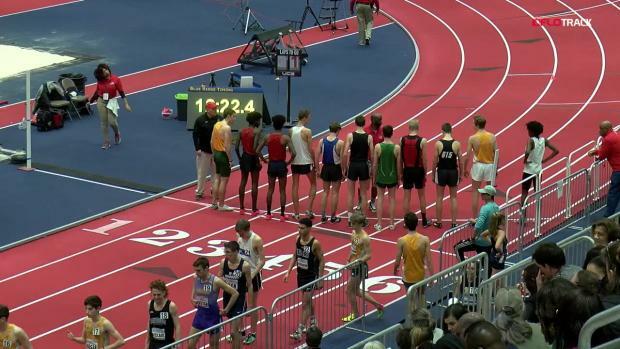 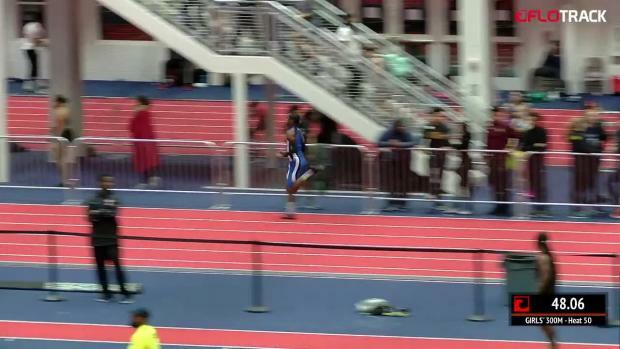 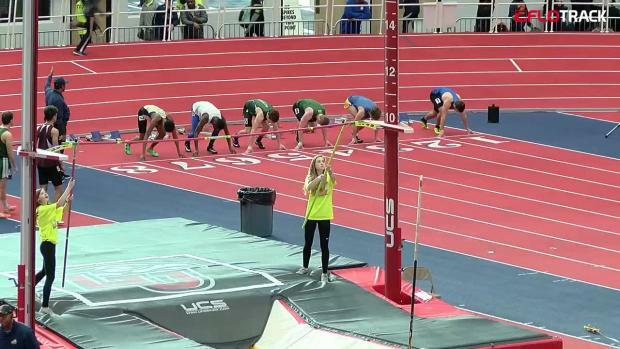 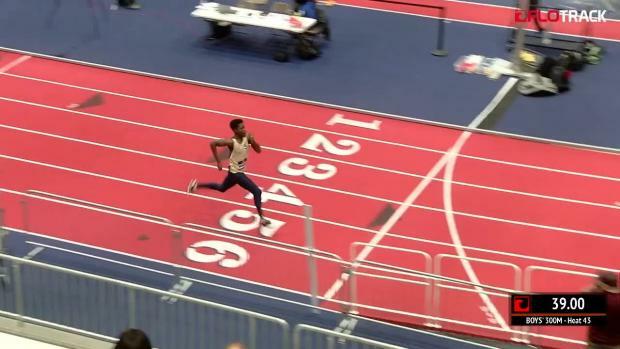 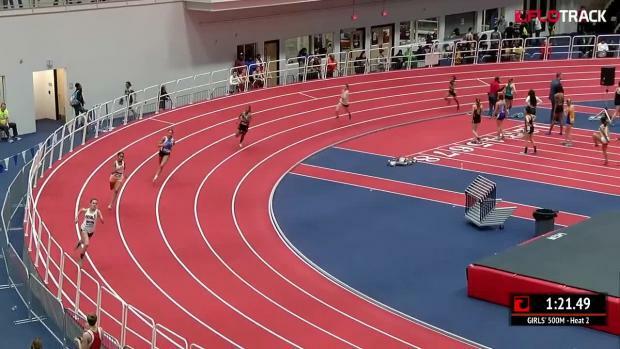 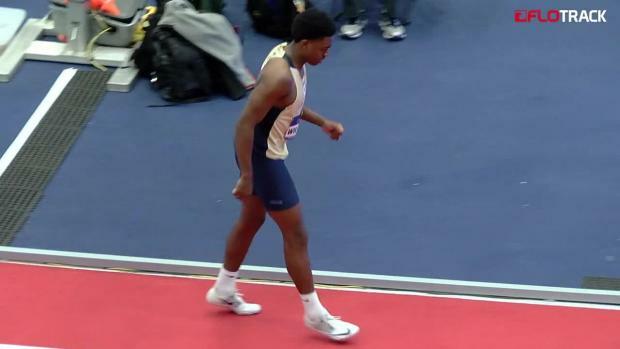 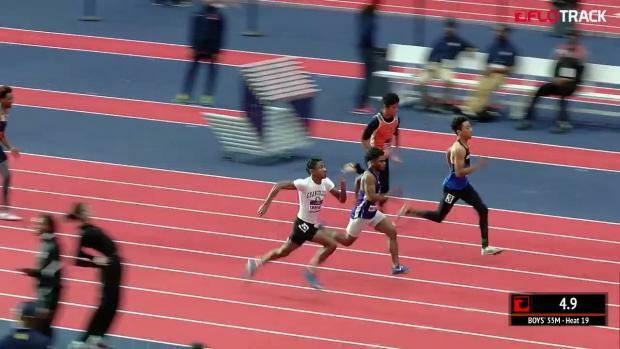 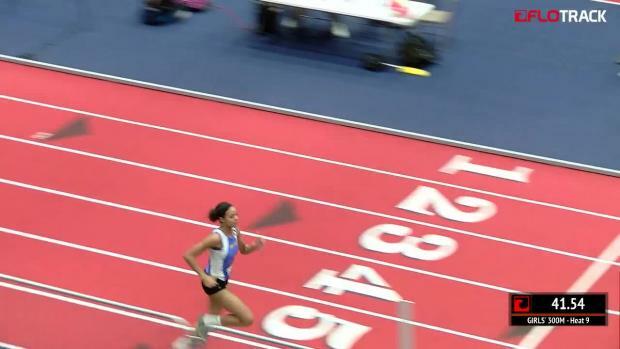 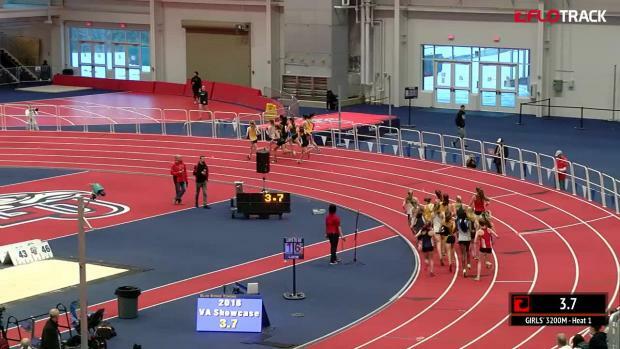 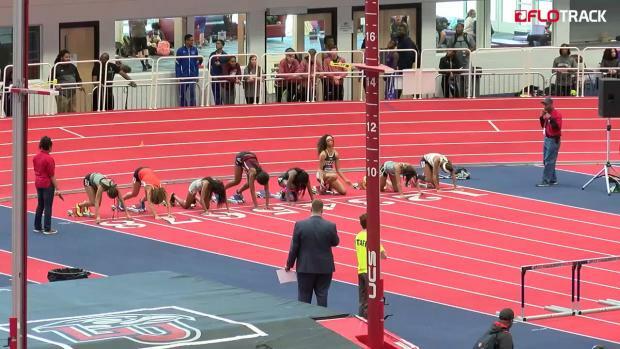 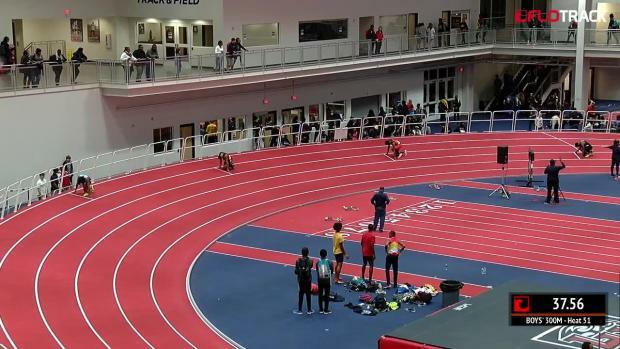 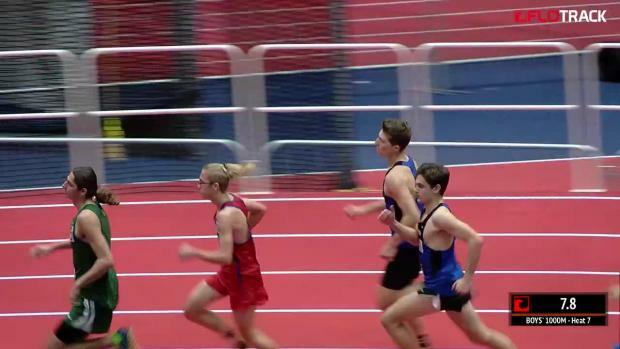 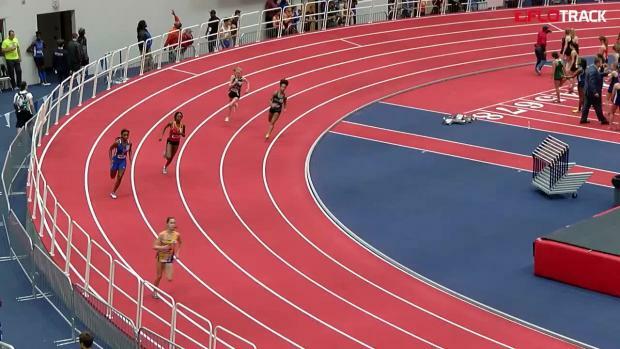 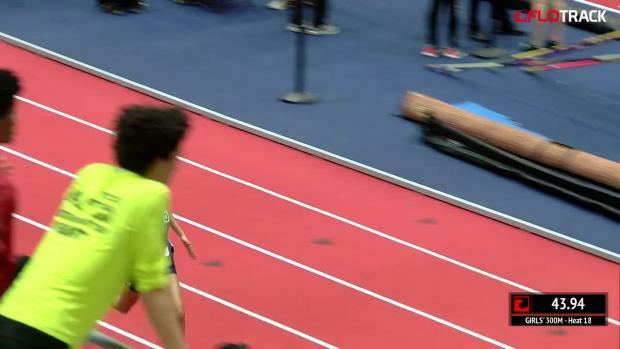 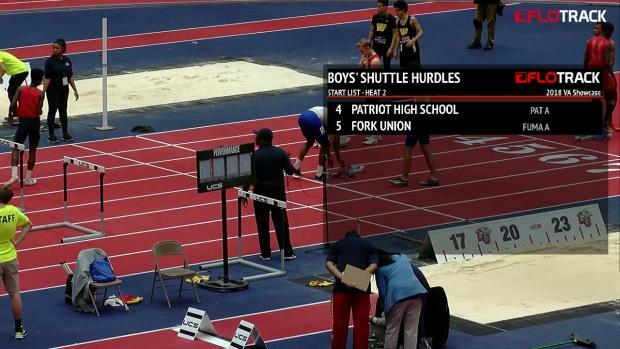 And on Saturday, after he won his second straight 500m at The VA Showcase in 1:03.18, which was a follow-up to the disappointing third he took on Friday in the 300m -- a race that saw Georgia rival Brian Herron score a world junior record in 32.64 -- Cooper mentioned his desire to get back to his roots in track and field. 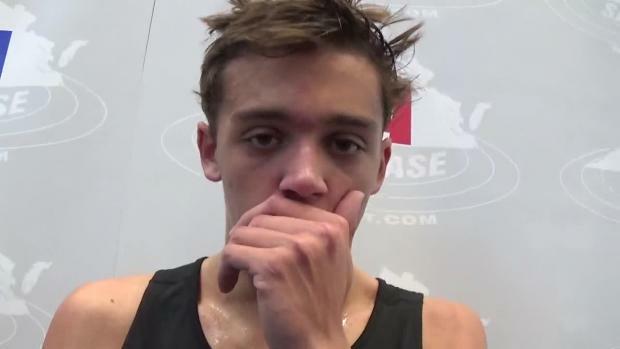 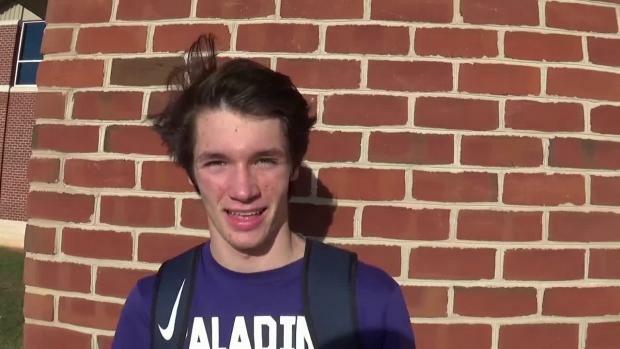 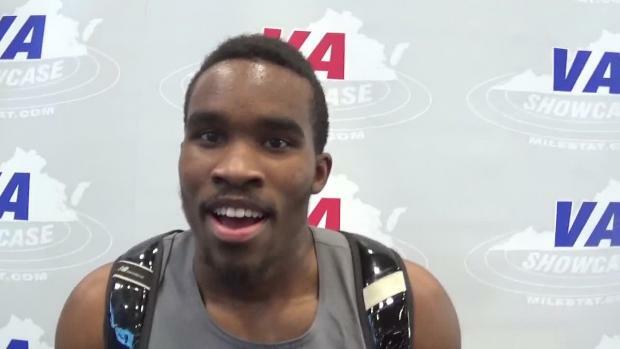 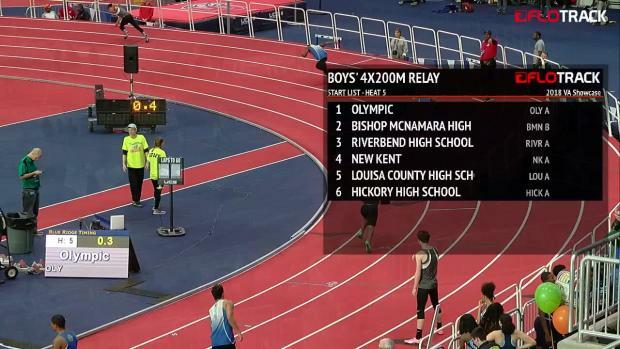 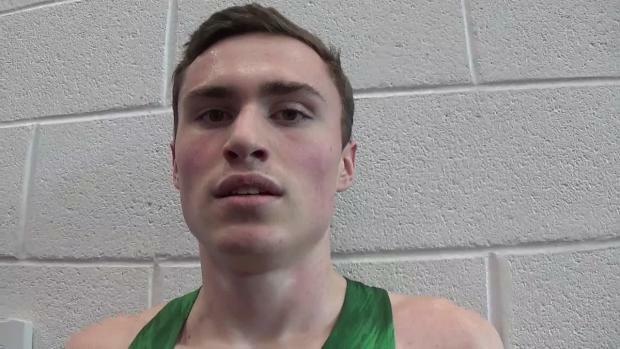 "I started out in those races when I was younger," Cooper told MileSplit of his potential in the 800m afterward. 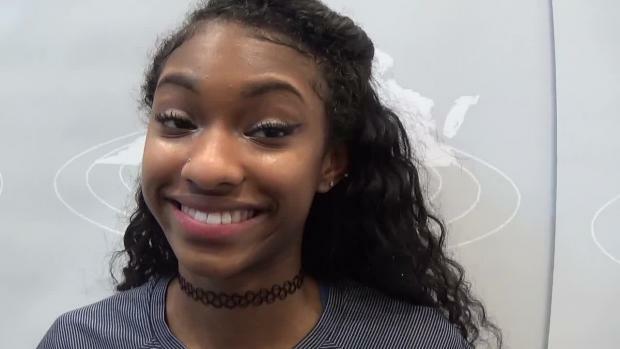 "I really want to give it a try." 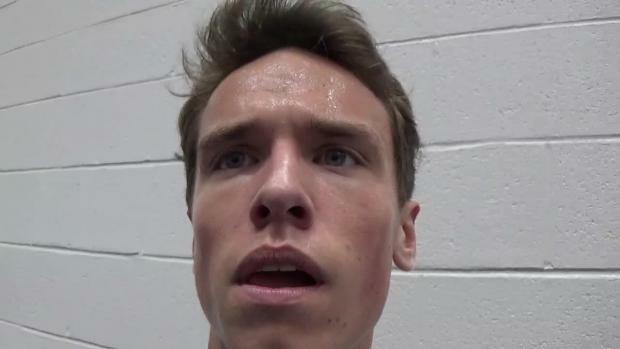 Perhaps that may or may not happen. 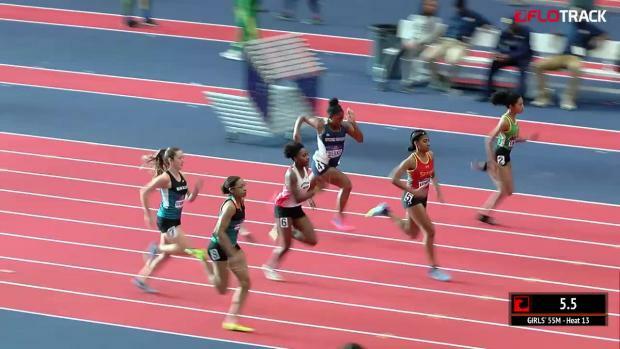 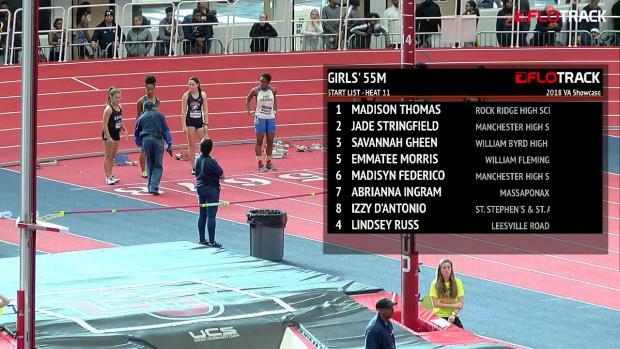 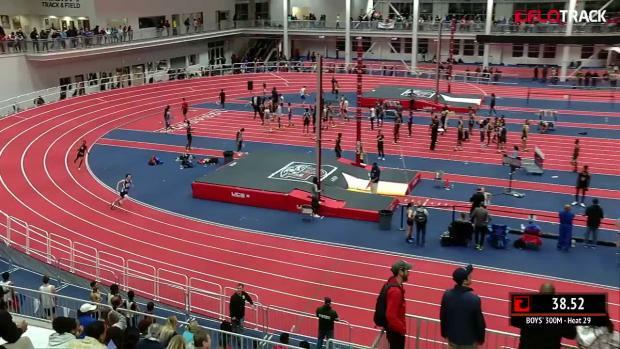 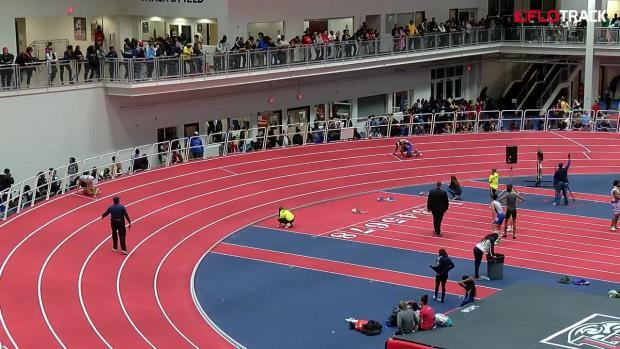 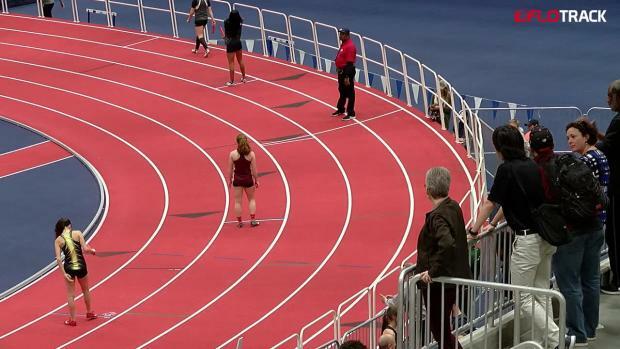 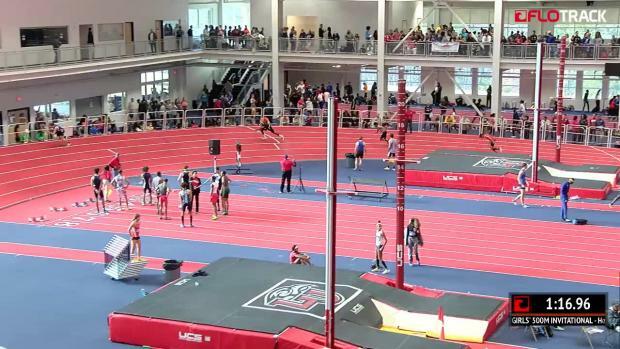 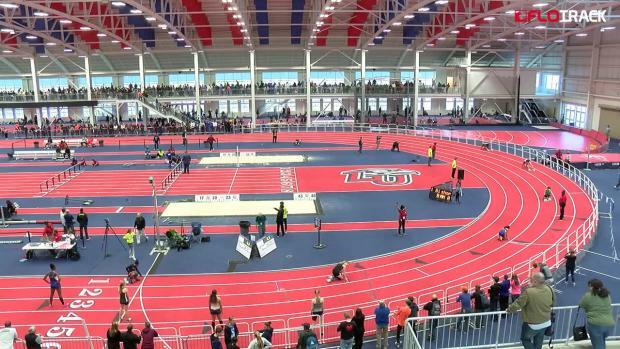 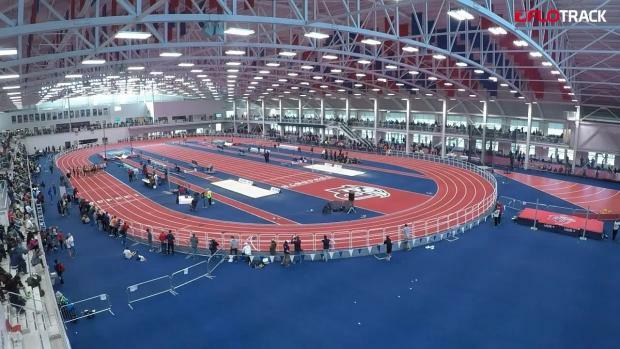 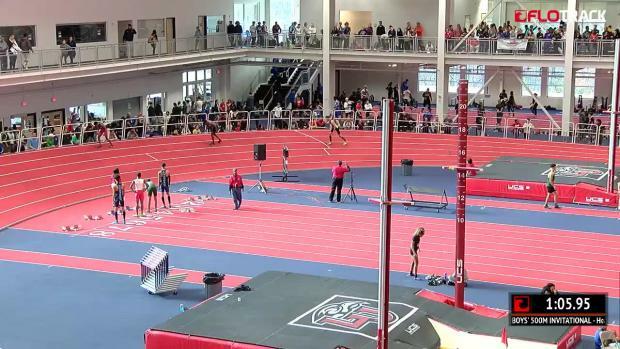 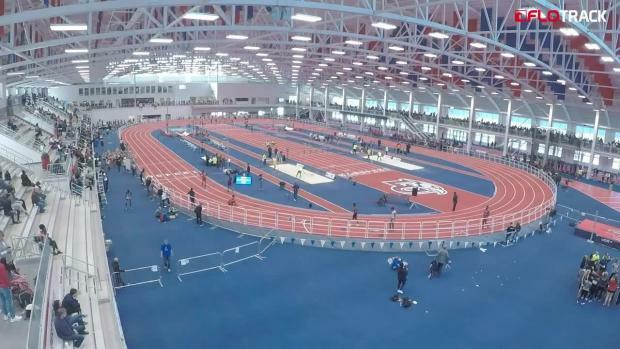 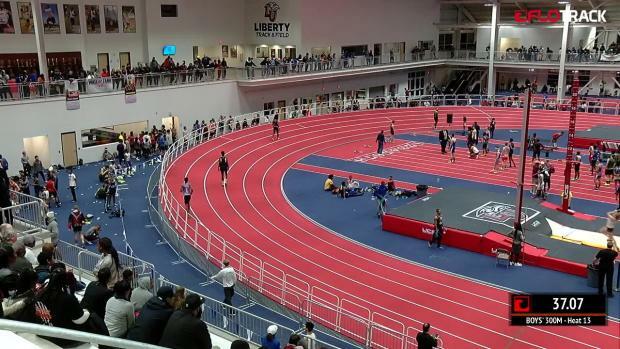 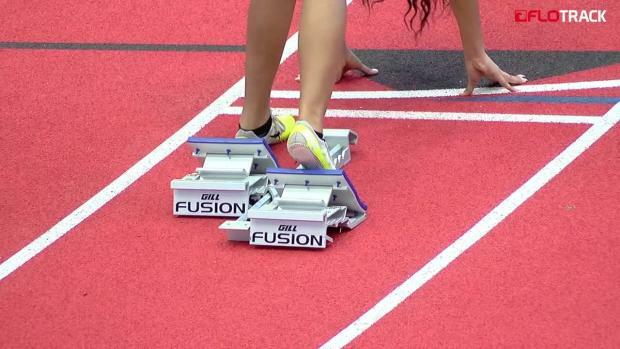 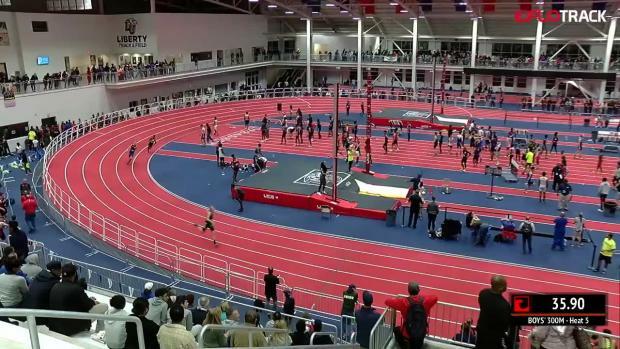 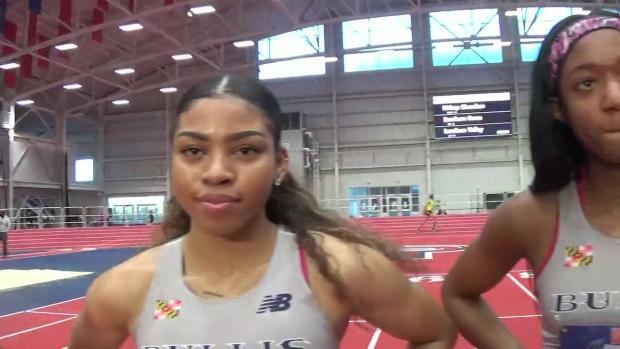 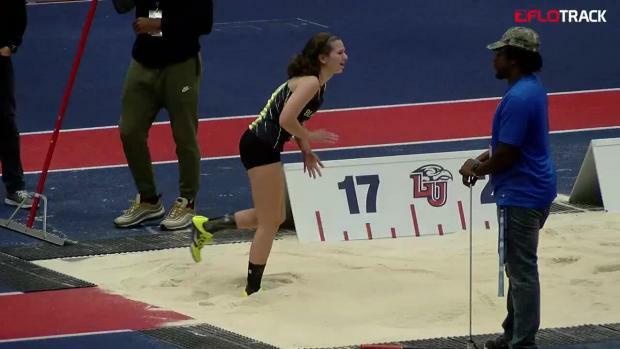 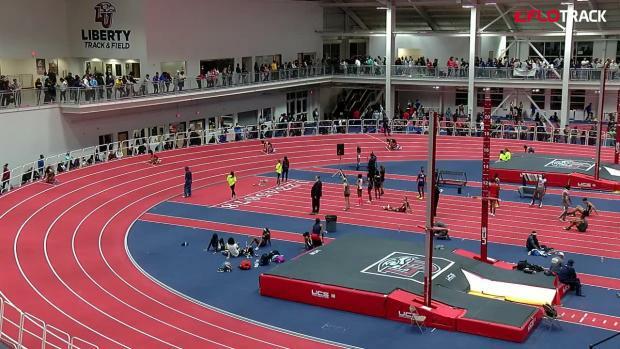 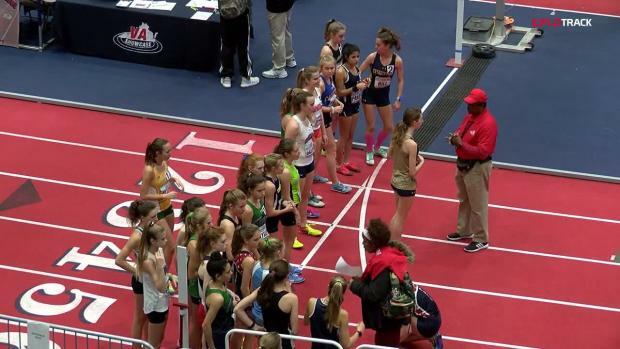 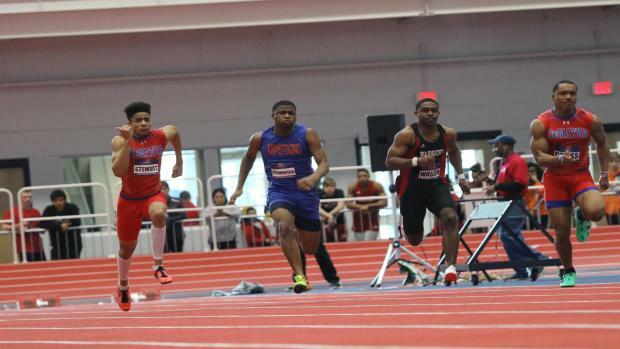 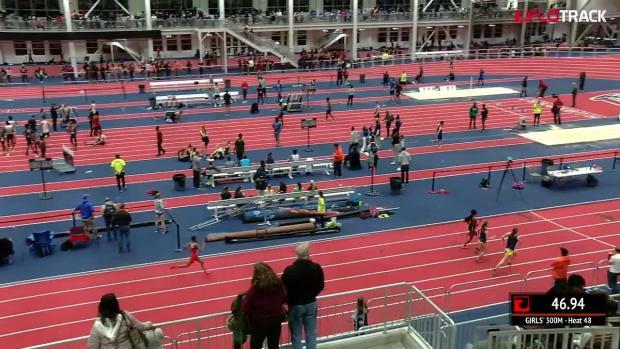 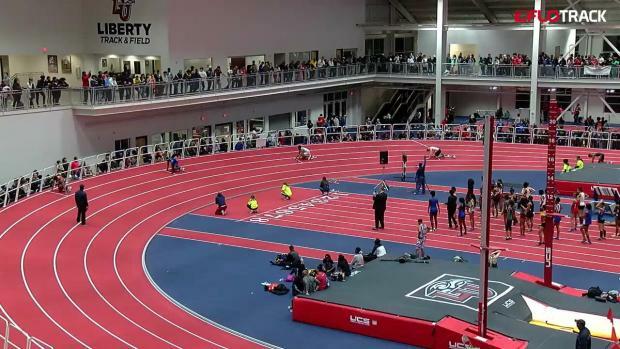 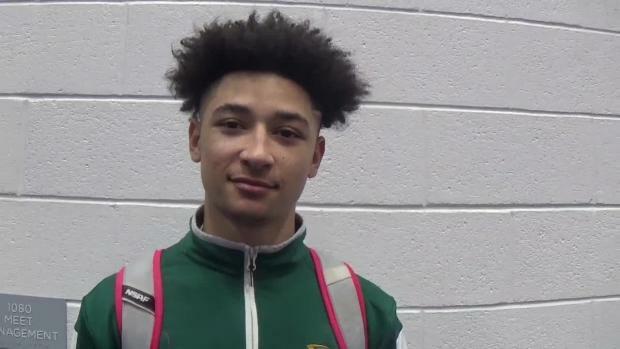 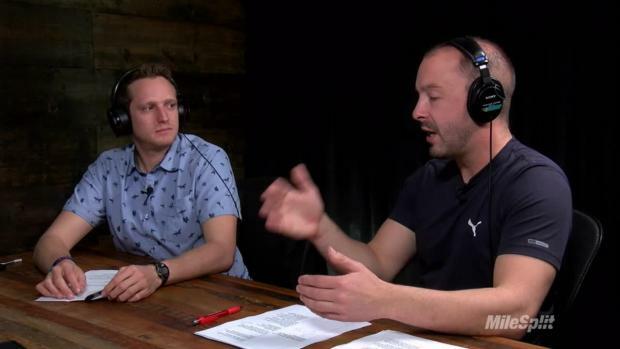 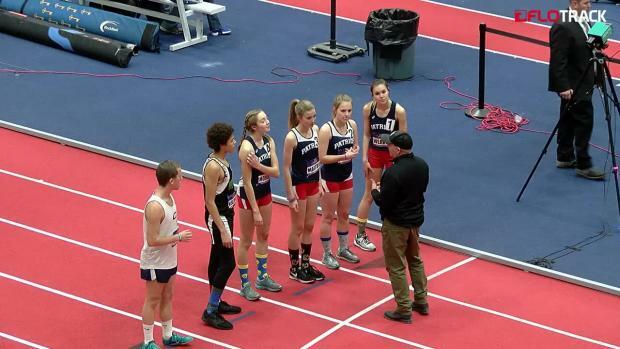 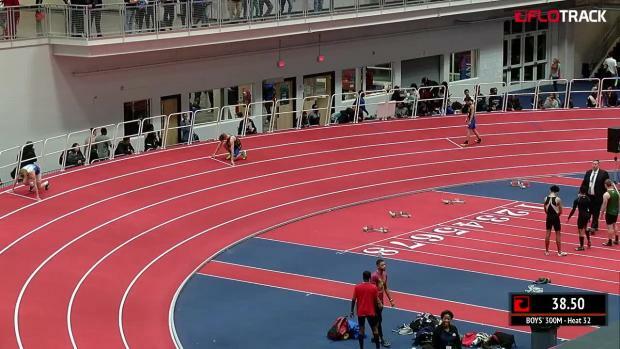 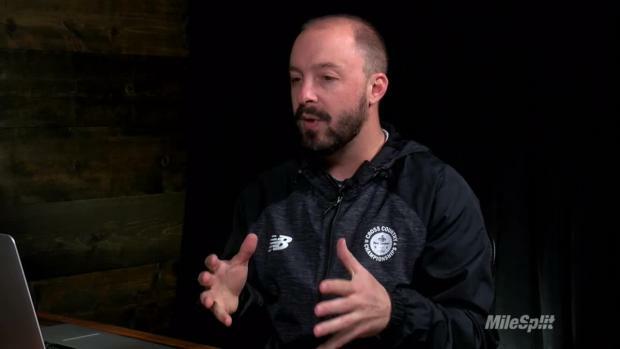 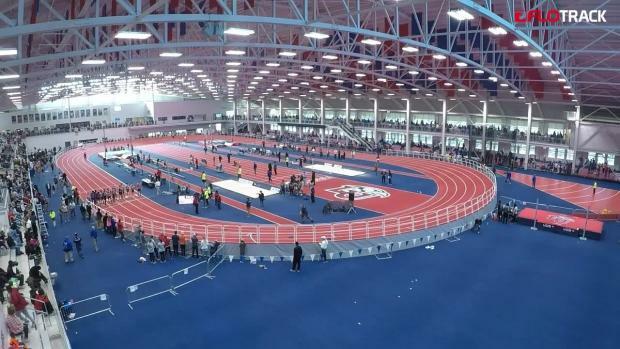 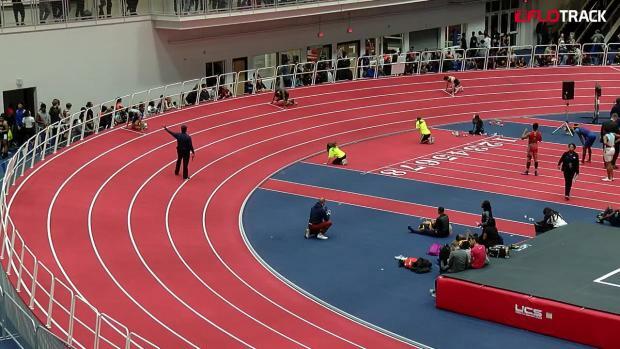 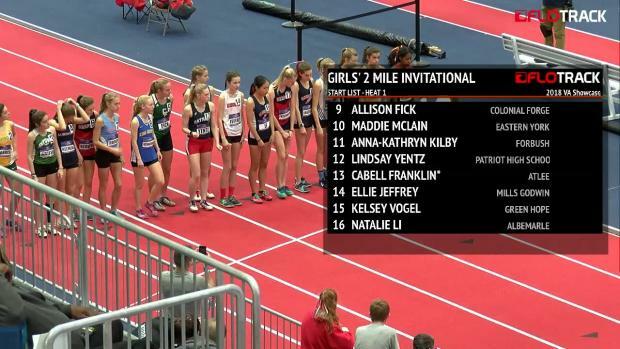 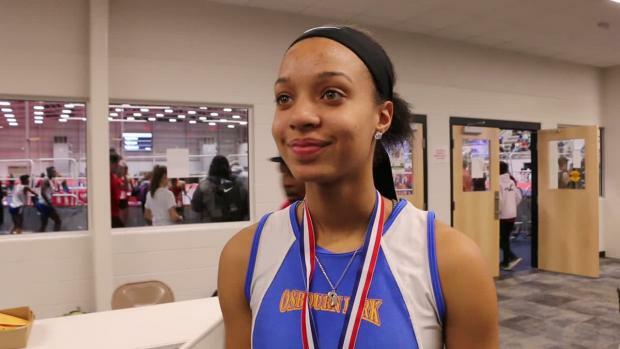 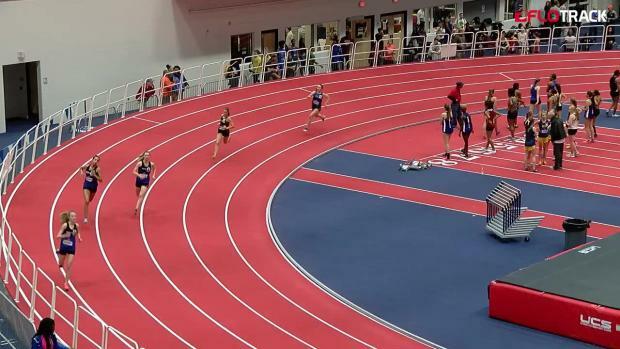 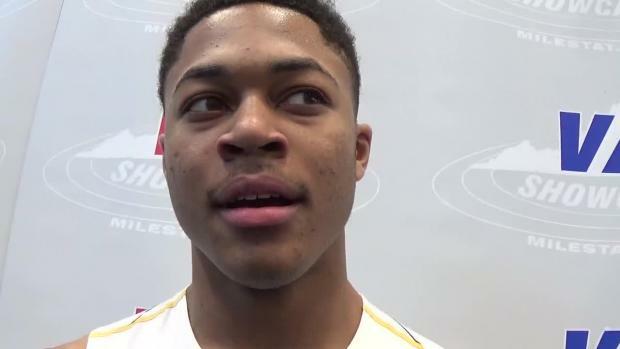 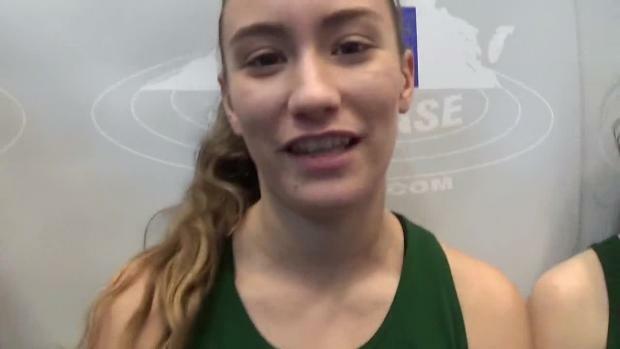 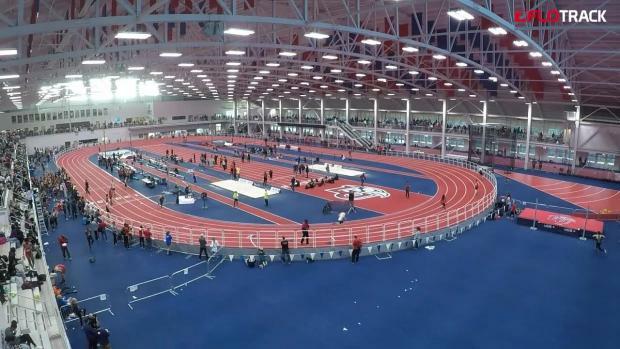 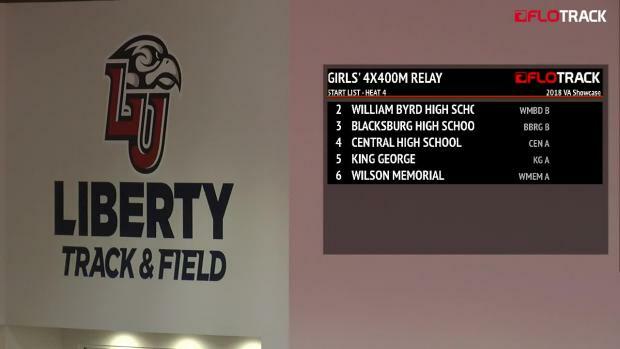 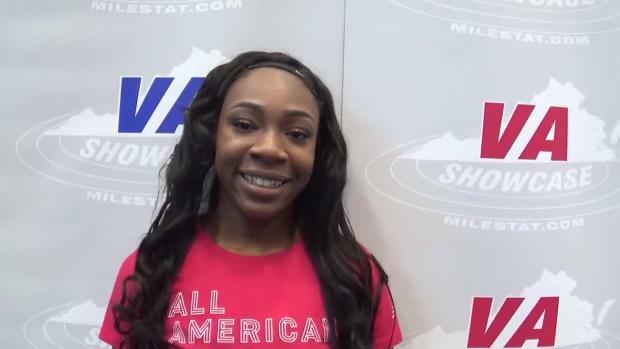 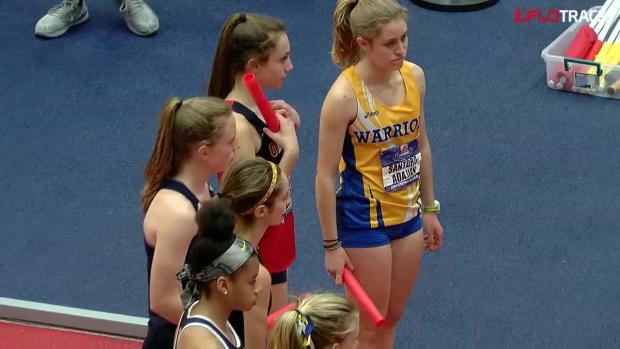 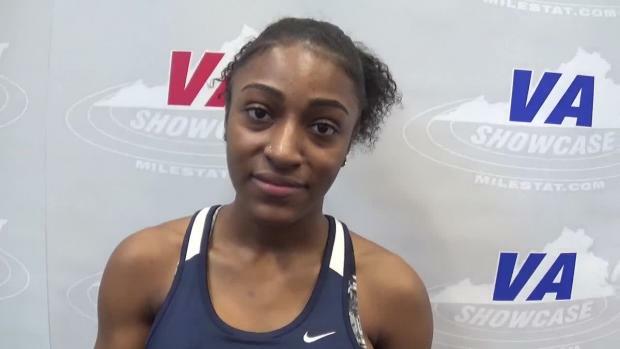 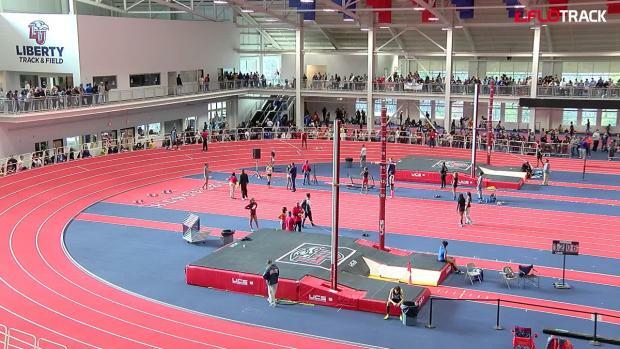 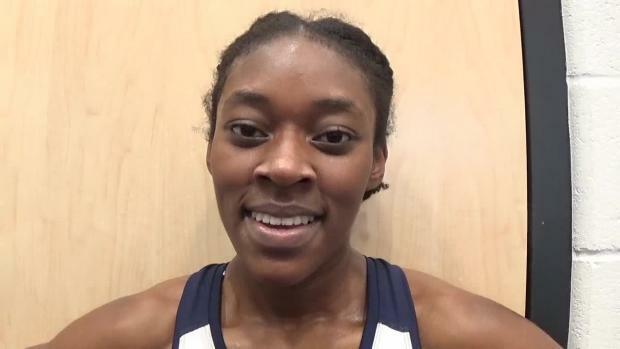 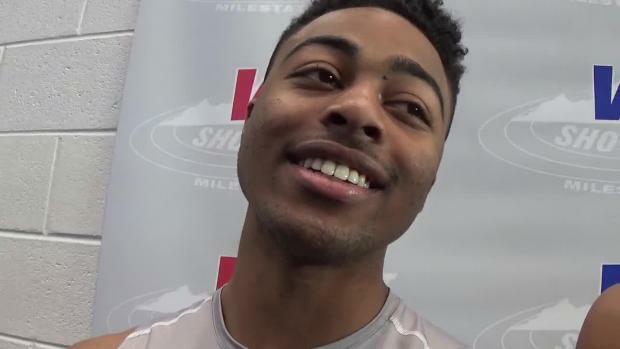 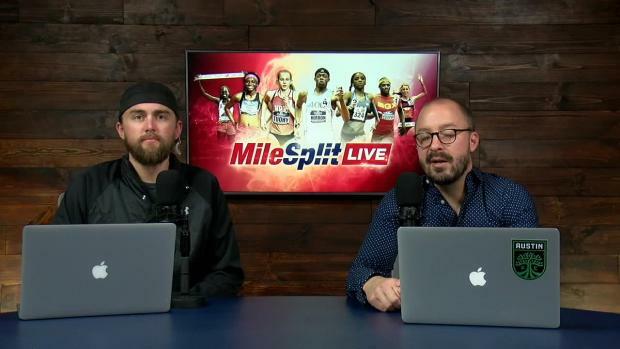 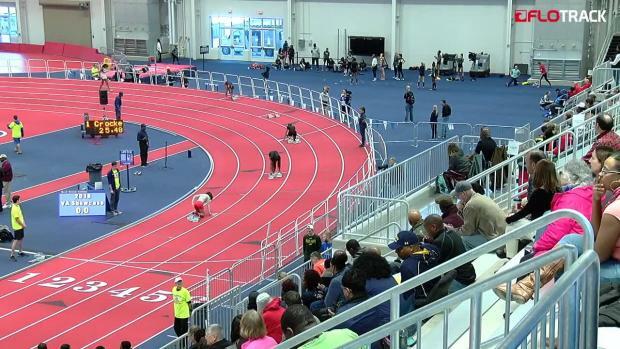 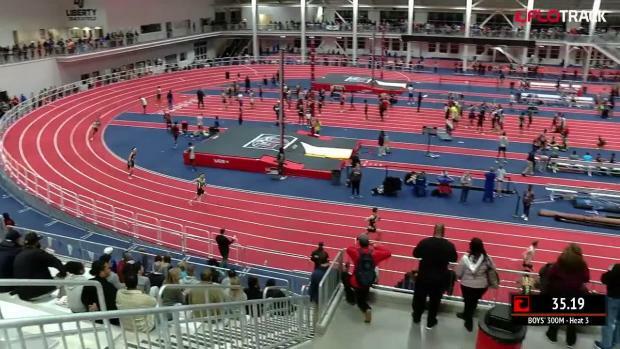 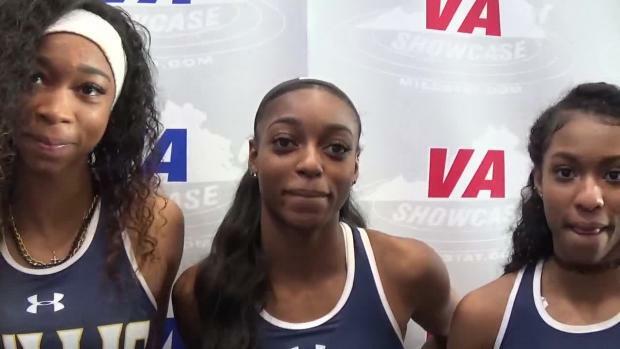 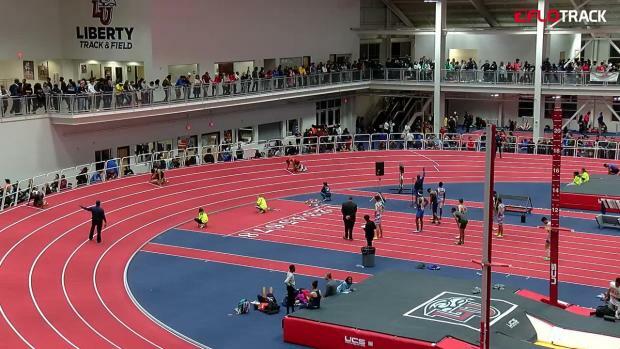 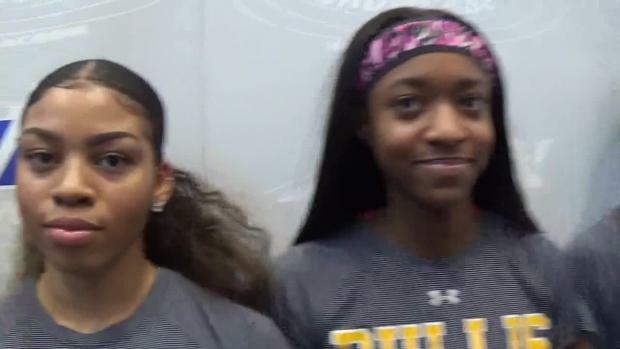 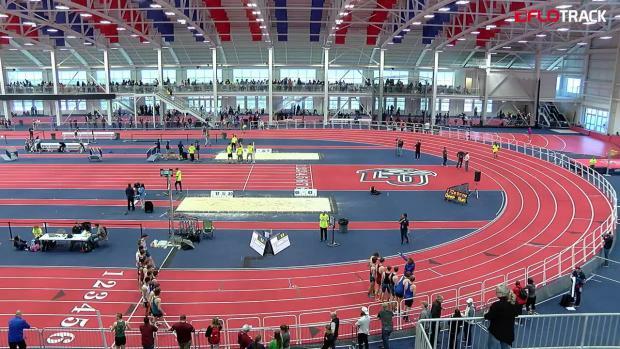 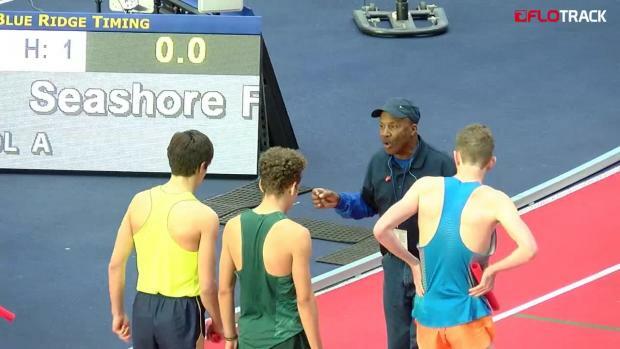 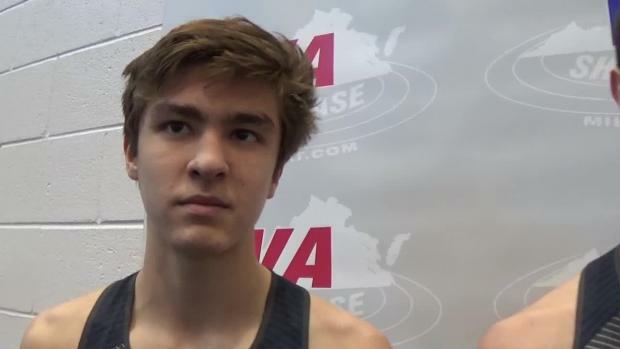 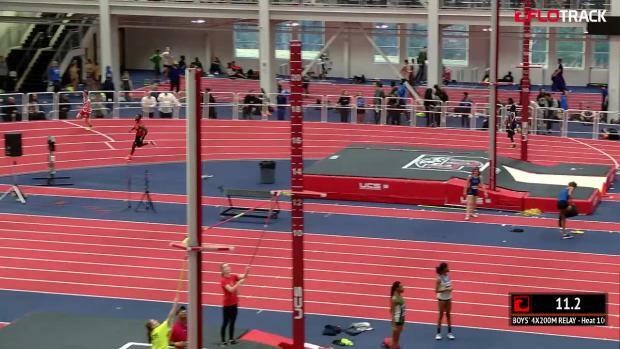 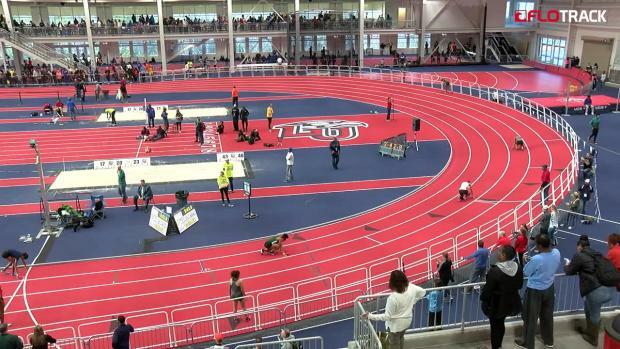 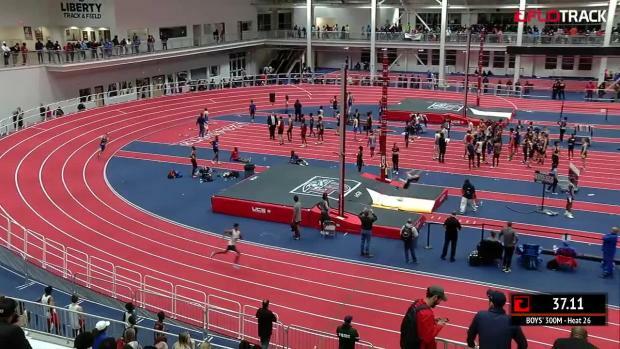 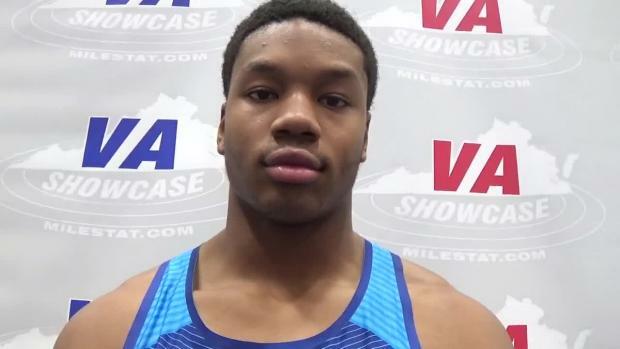 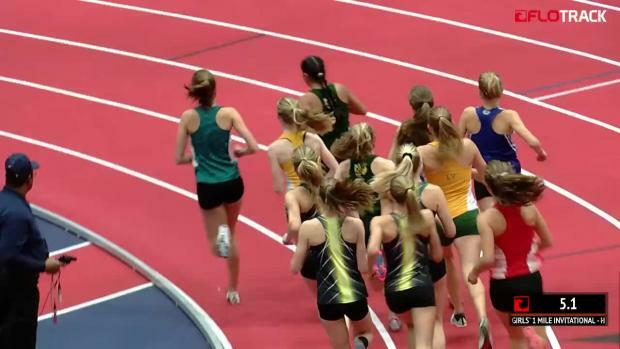 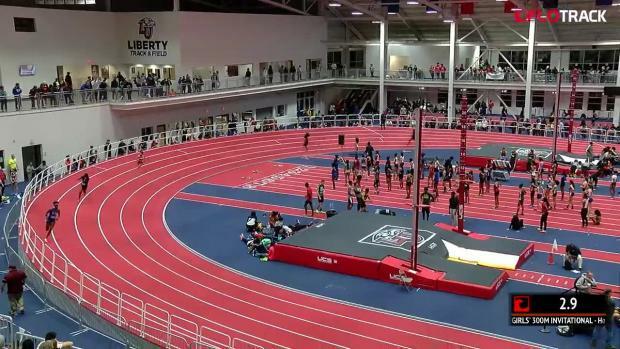 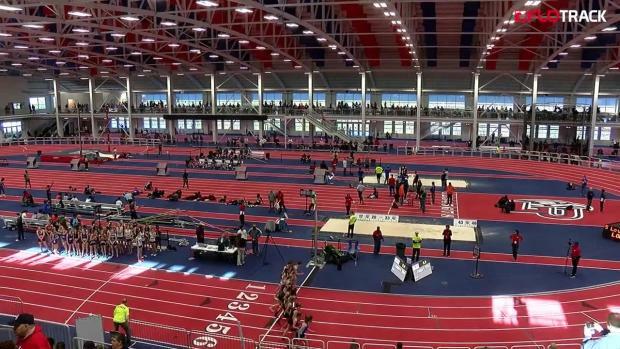 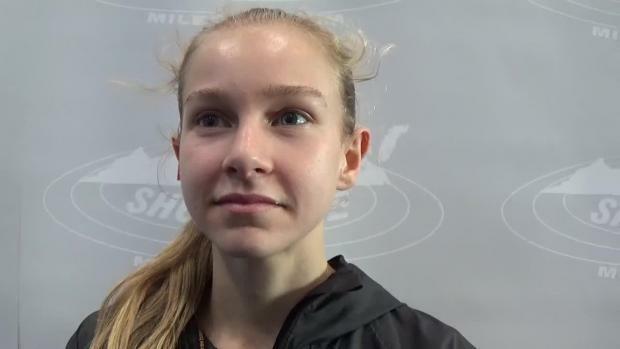 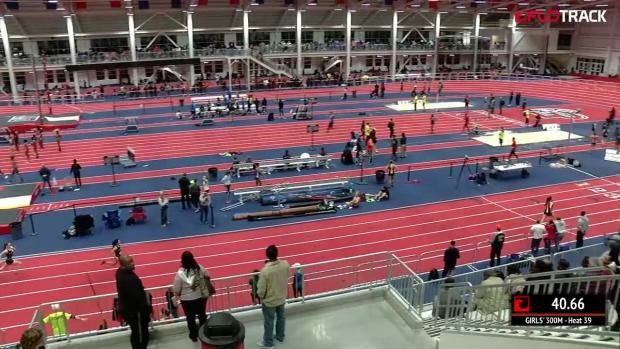 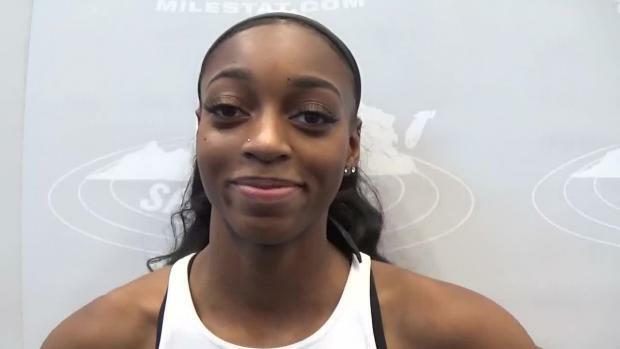 MGX coach Darius Lawshea said the duo are focusing first on the Great Southwest Indoor Classic -- where Cooper will likely race at 60m and 200m -- and then at New Balance Nationals Indoor, where the high school junior will look to repeat his 200m and 400m crowns. 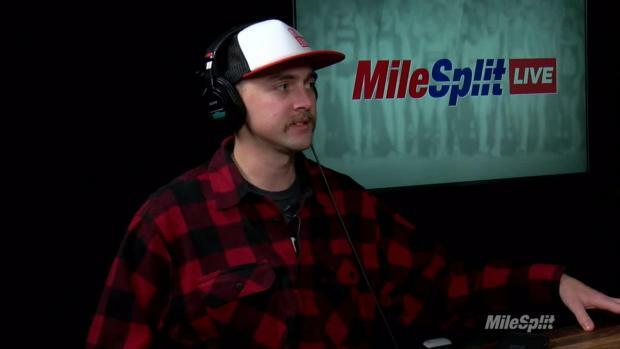 But outdoor track and field in Florida begins as early as February, and Cooper says he definitely wants to give the half mile a try. 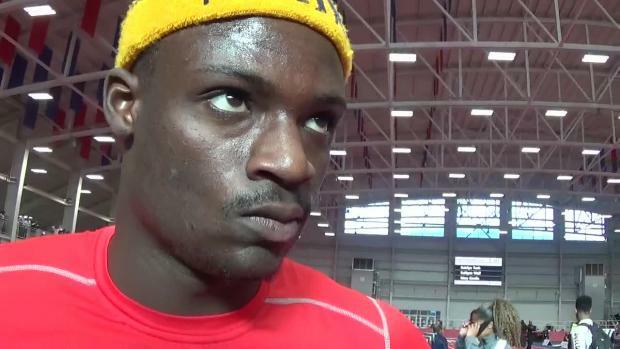 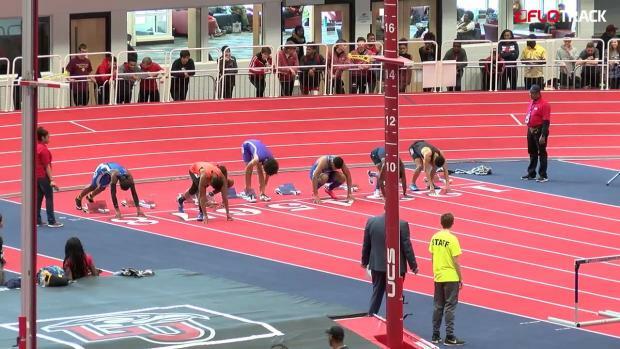 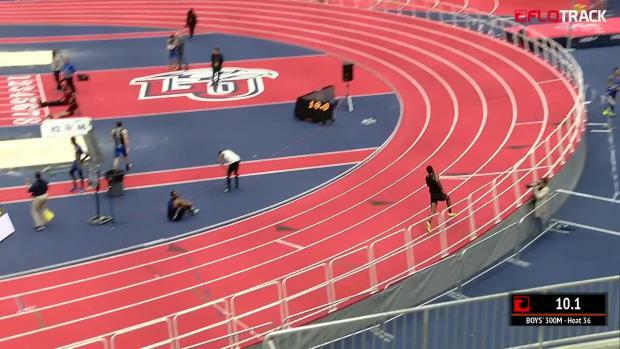 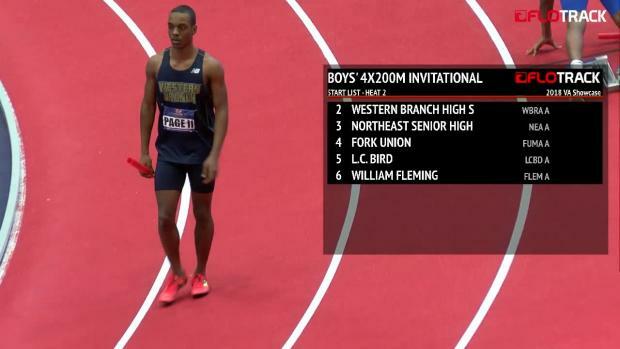 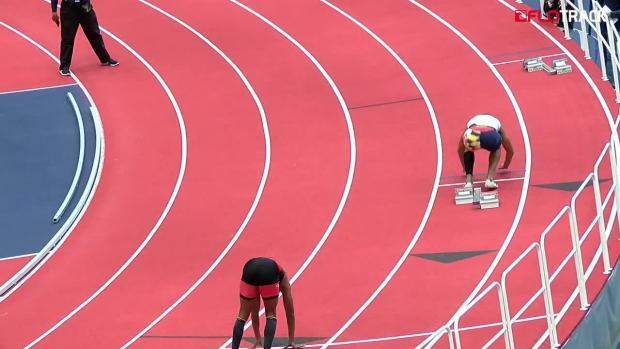 Lawshea said Louie Bing is probably unrealistic, considering Miramar (FL) senior Jamal Walton will be entered in the 400m following his World Championship appearance and his remarkable 44.99 second effort at the Pan American Junior Championships. 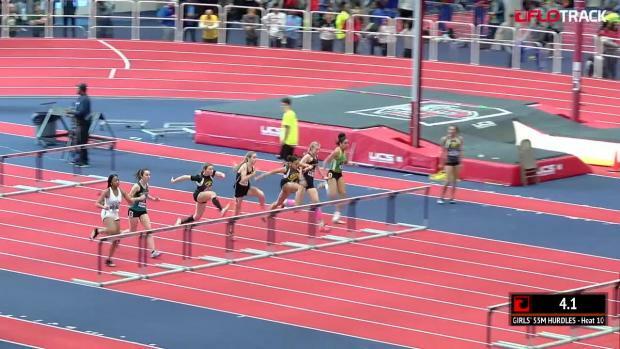 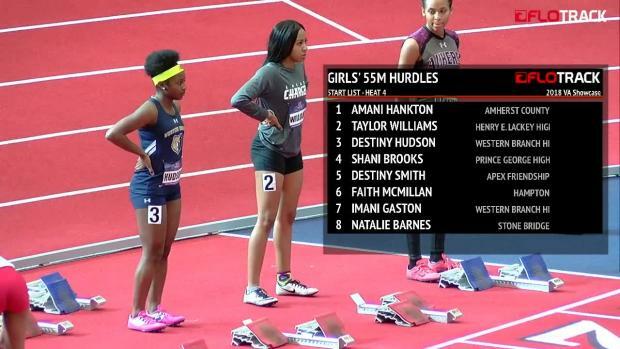 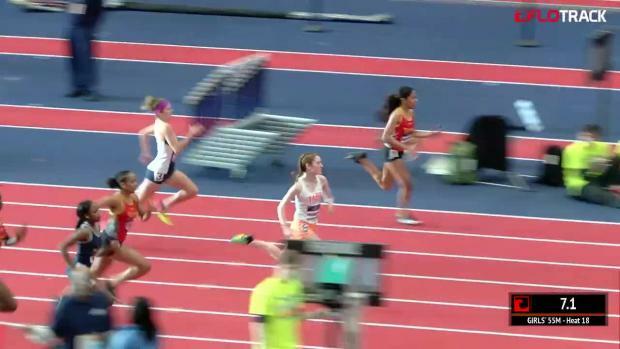 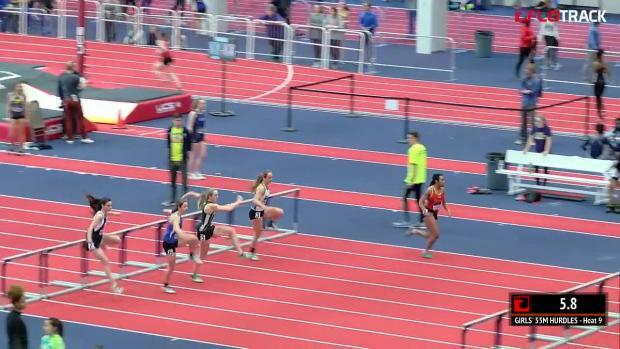 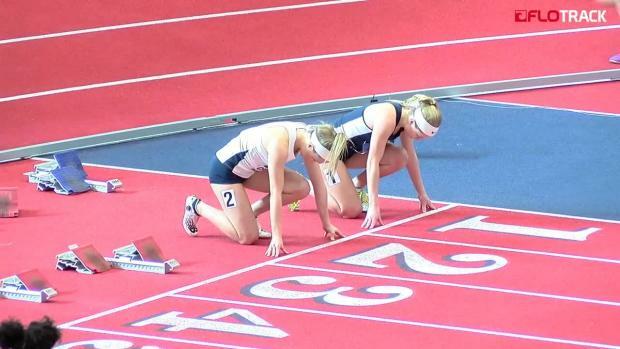 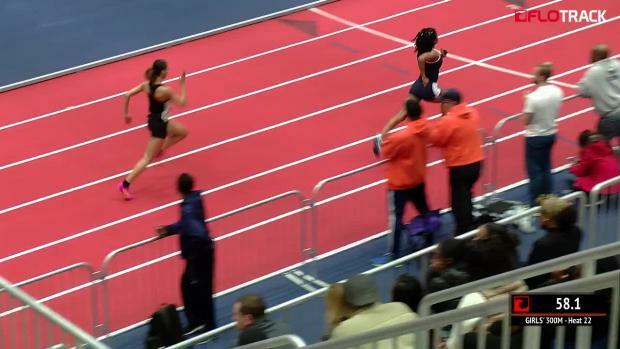 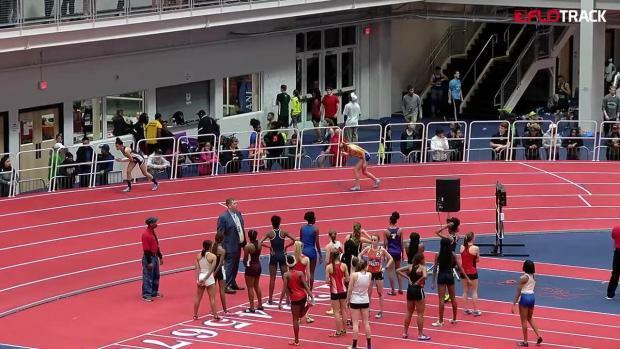 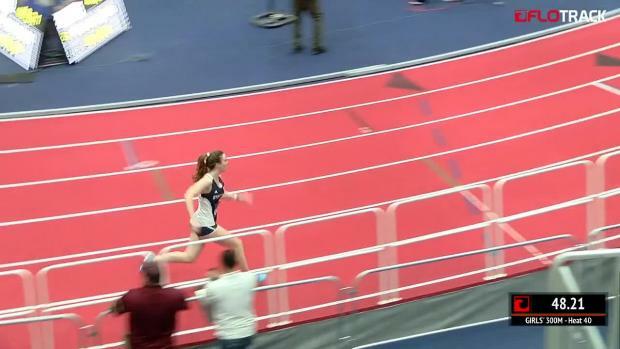 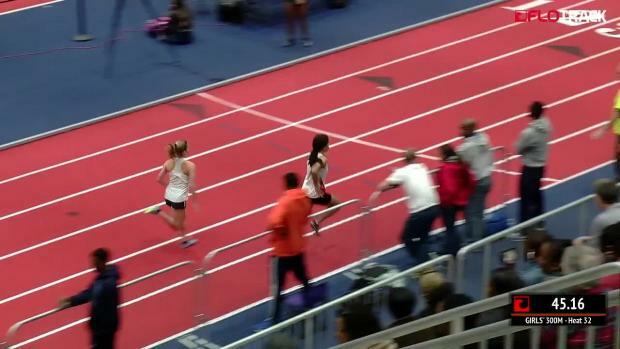 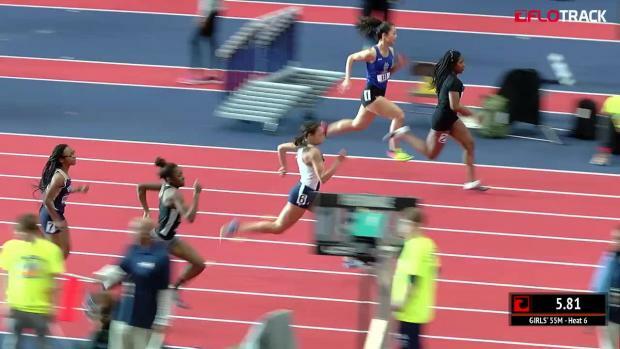 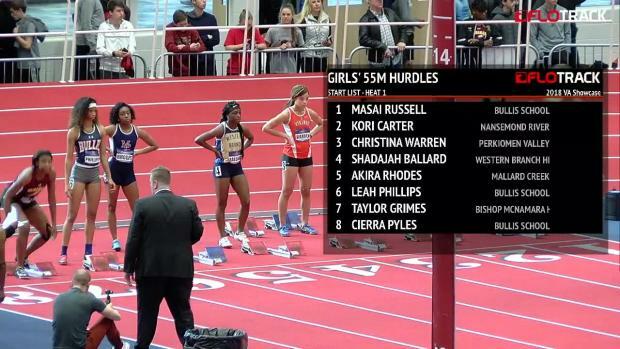 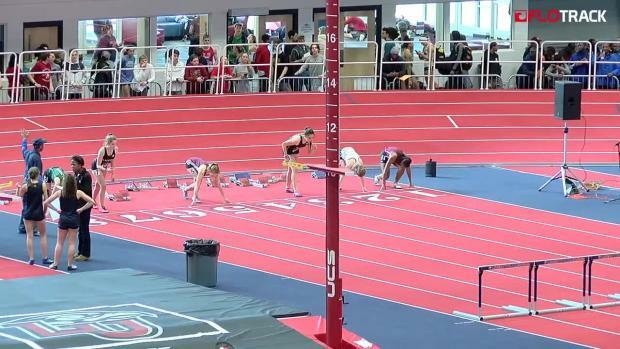 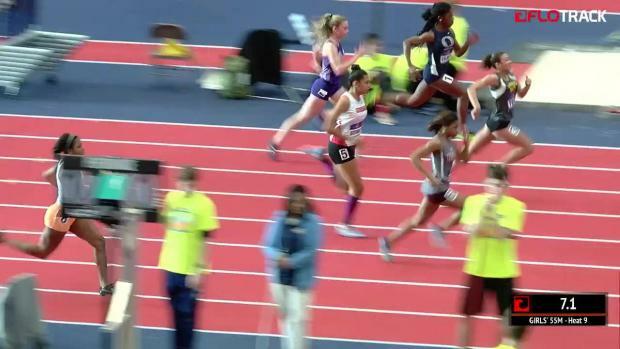 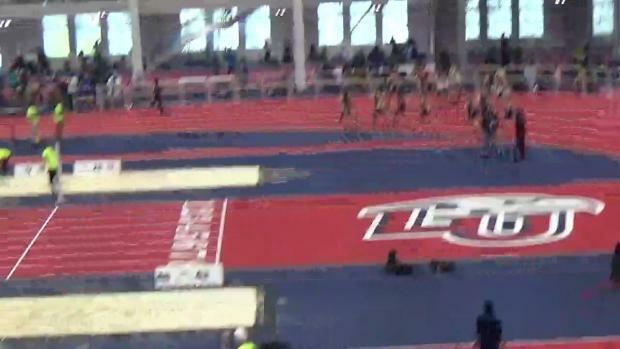 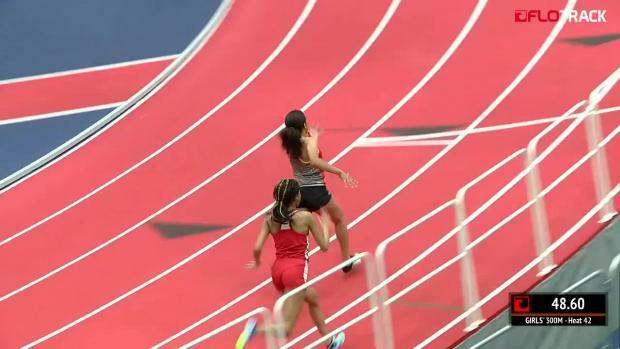 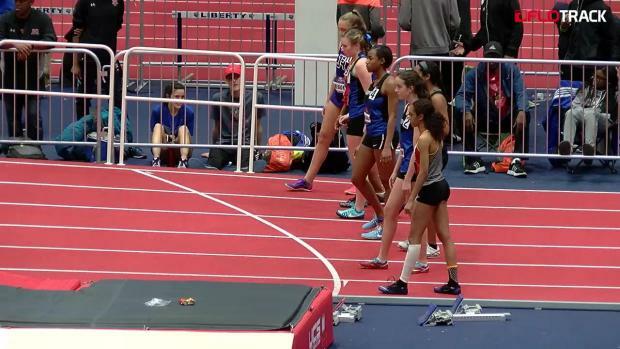 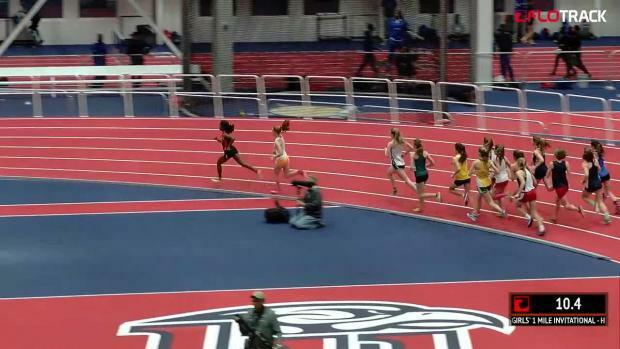 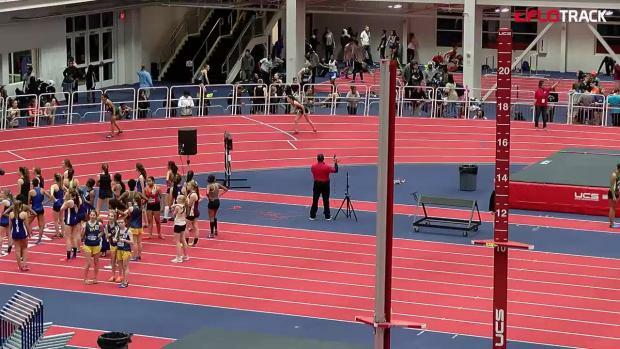 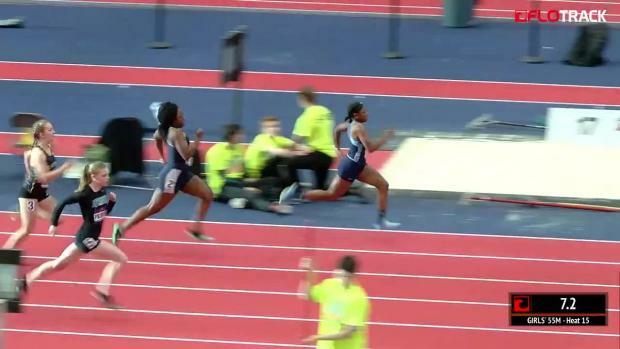 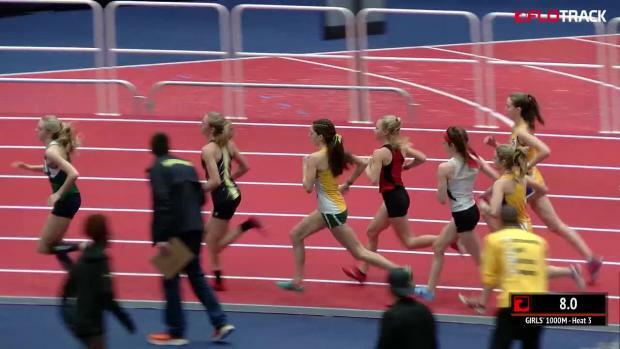 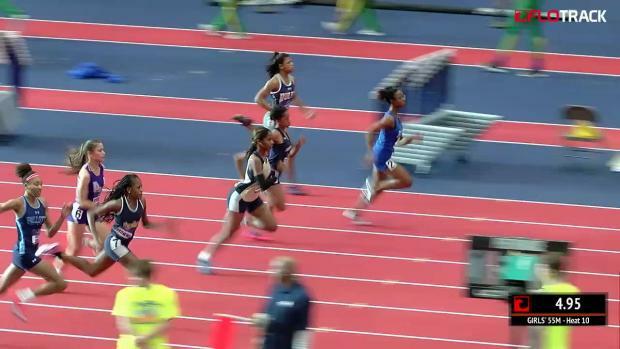 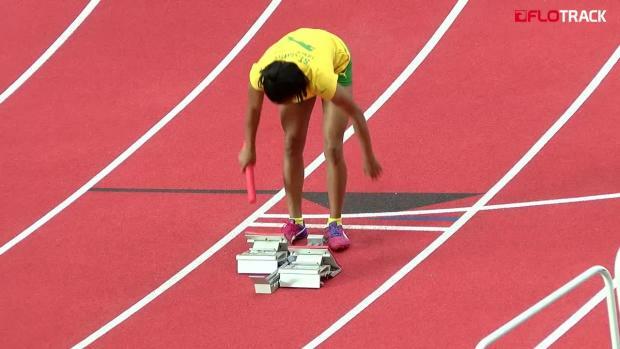 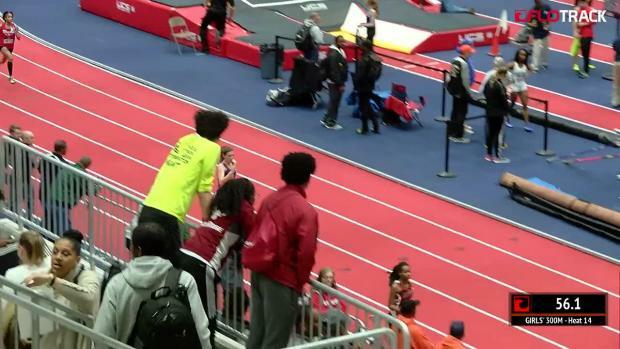 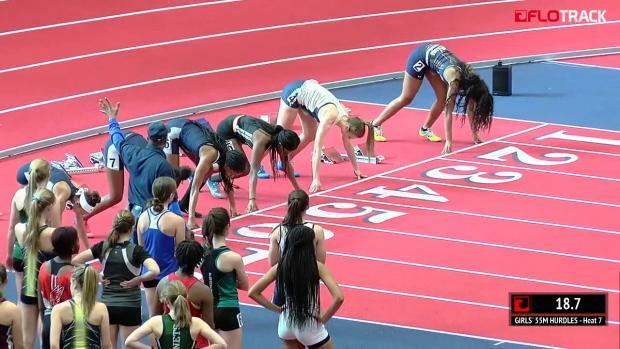 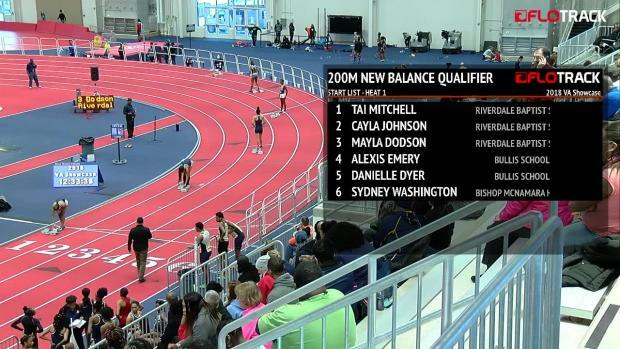 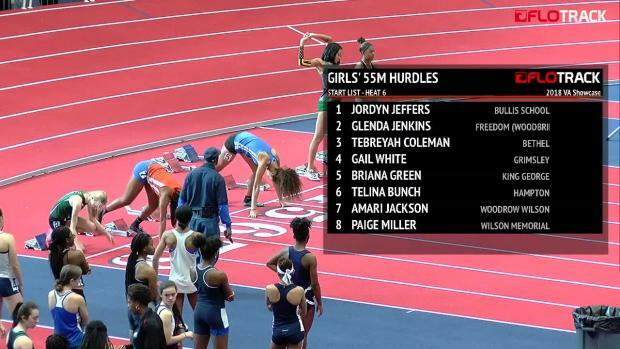 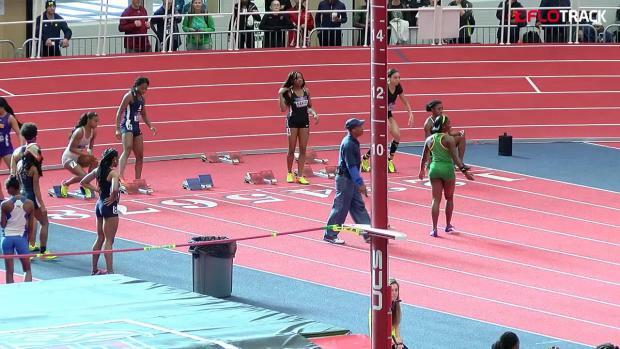 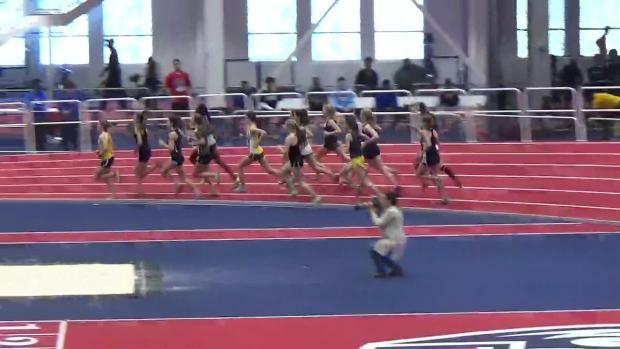 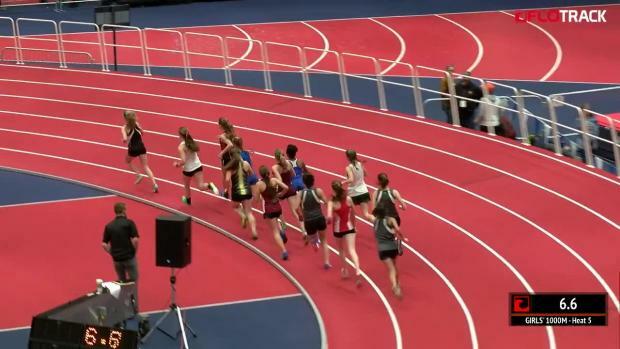 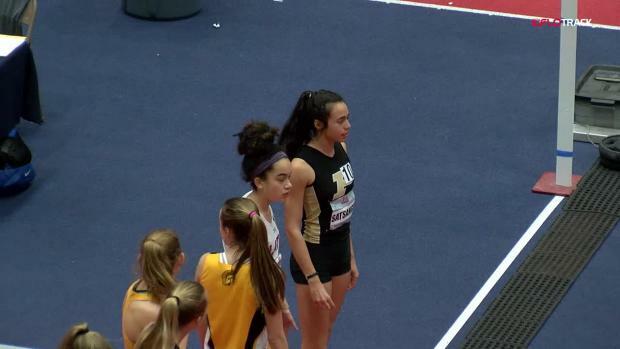 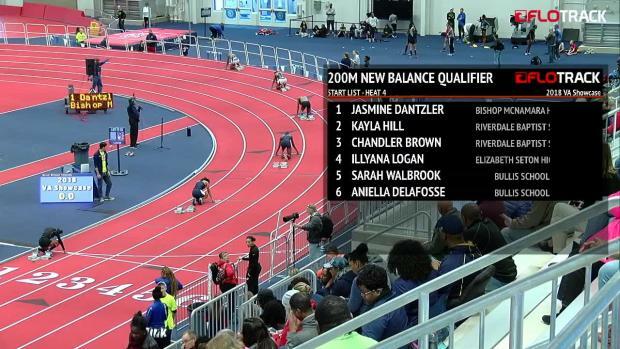 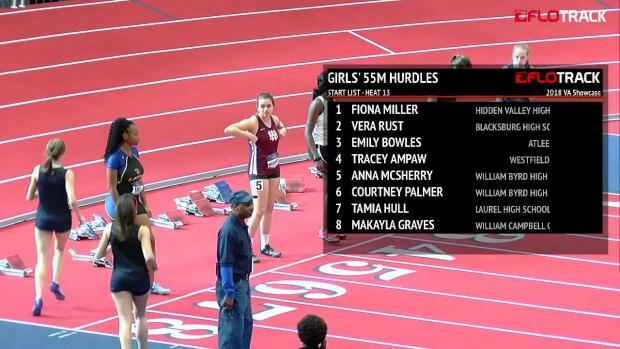 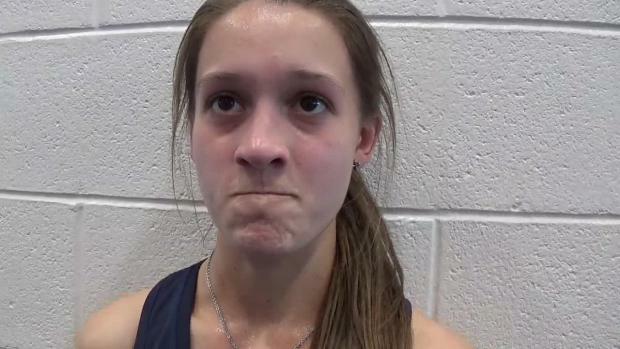 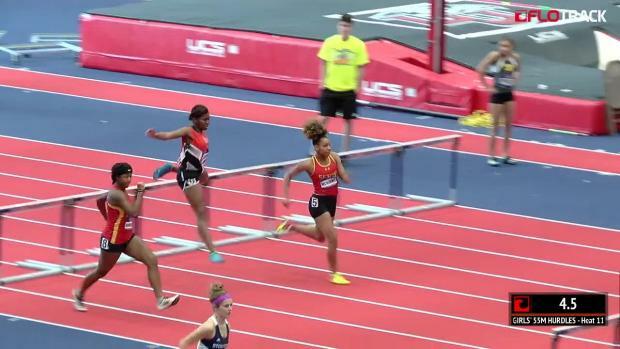 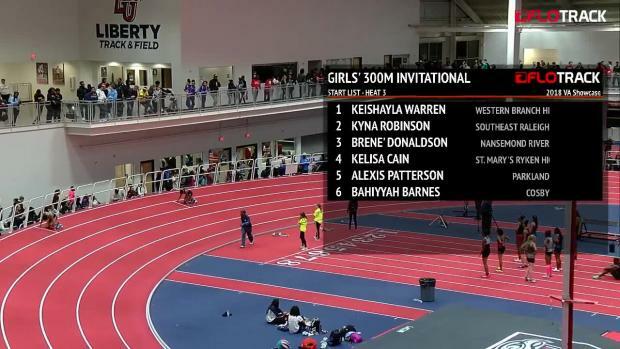 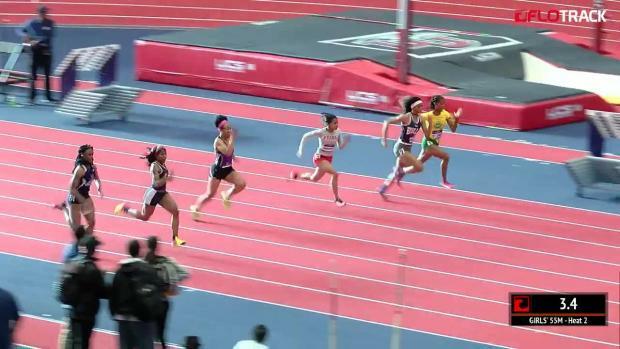 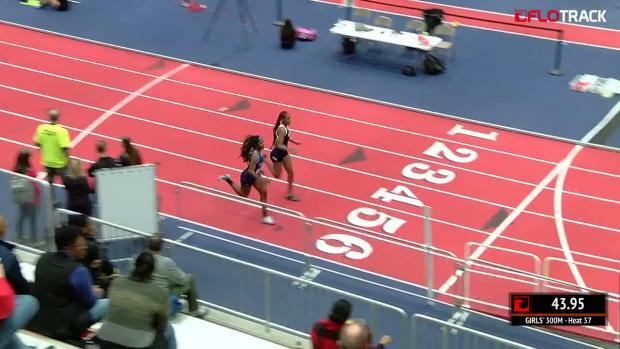 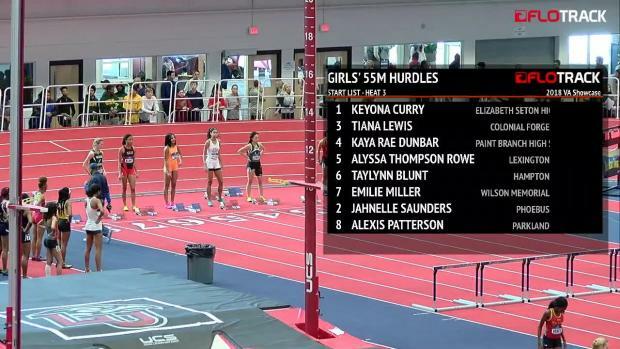 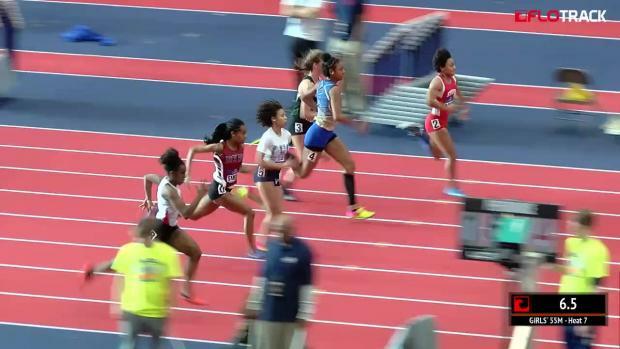 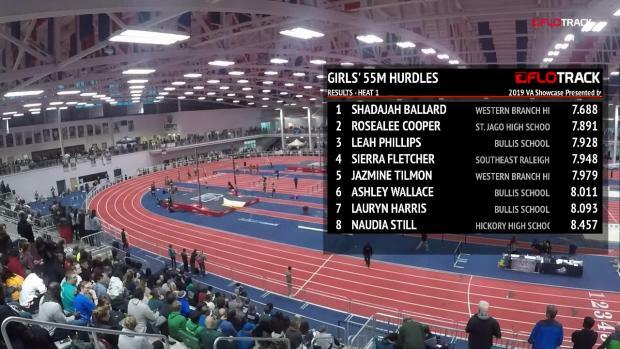 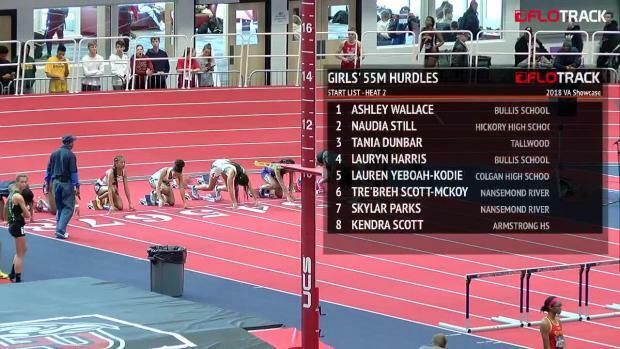 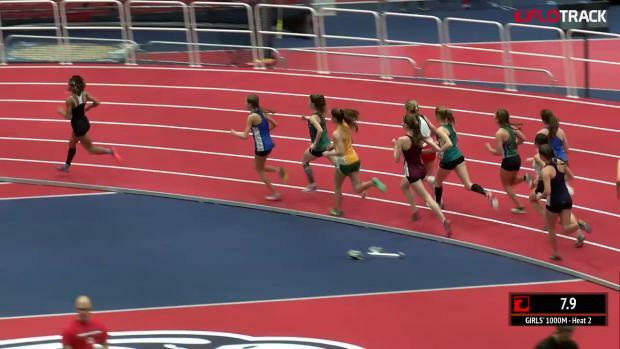 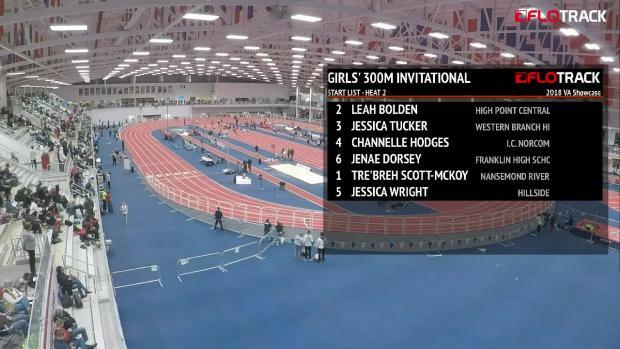 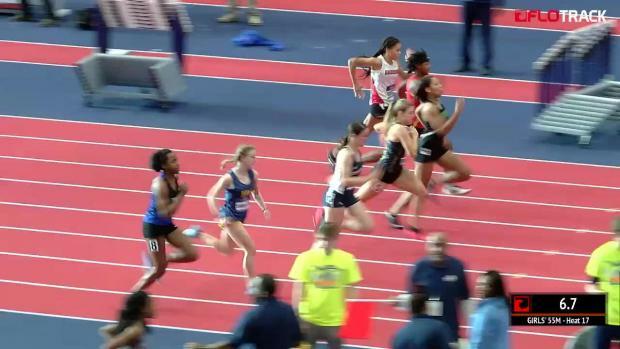 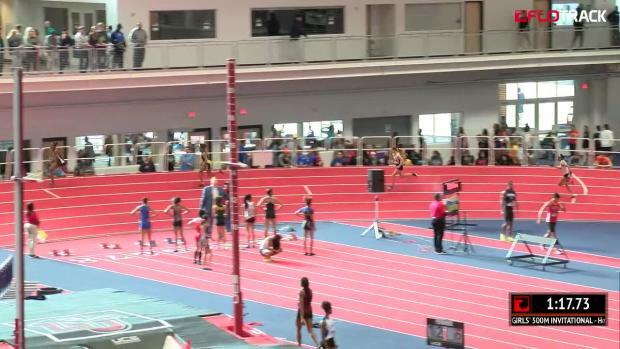 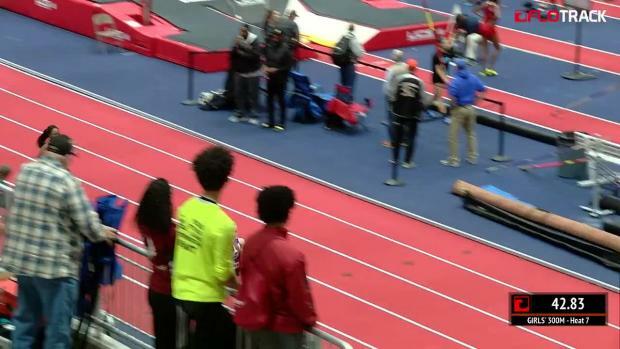 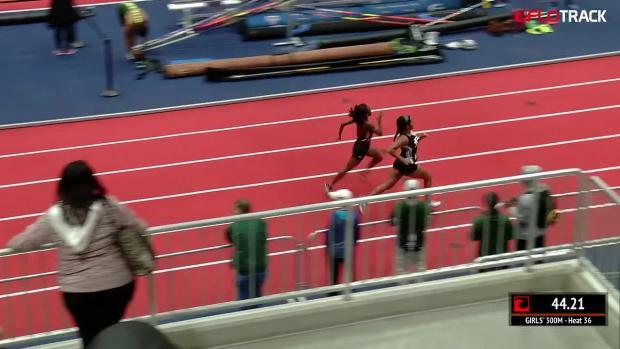 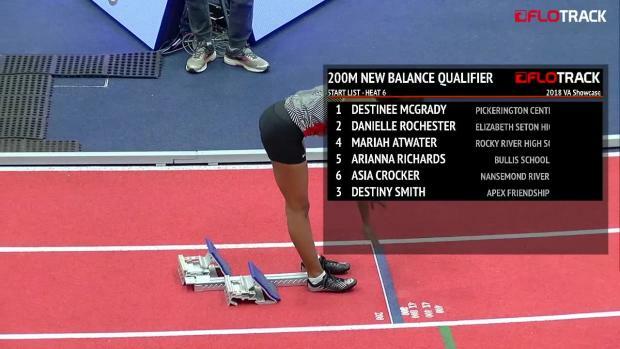 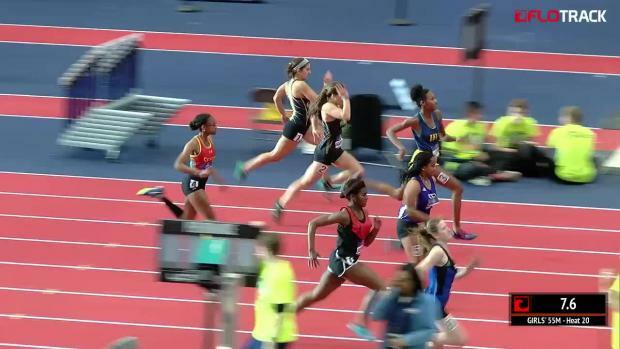 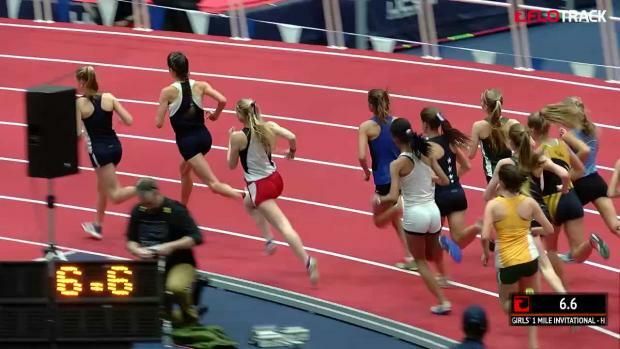 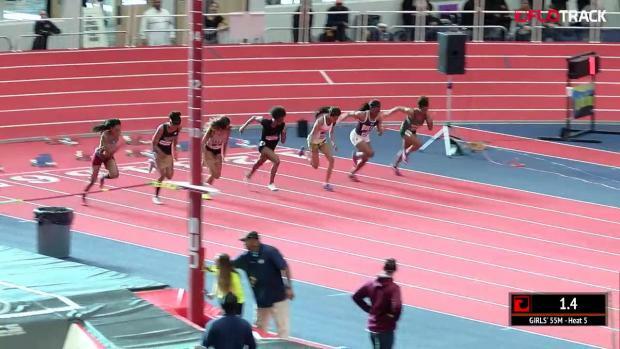 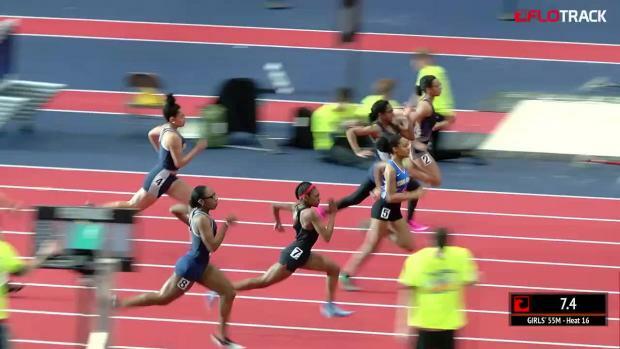 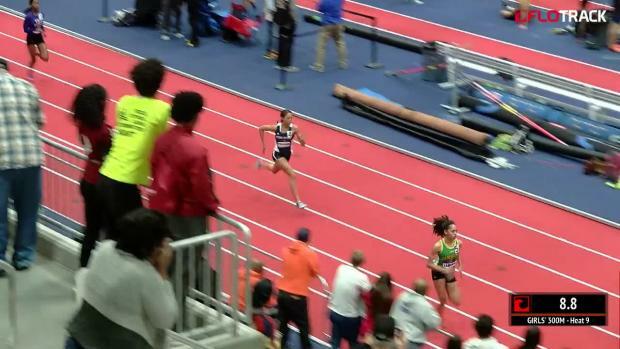 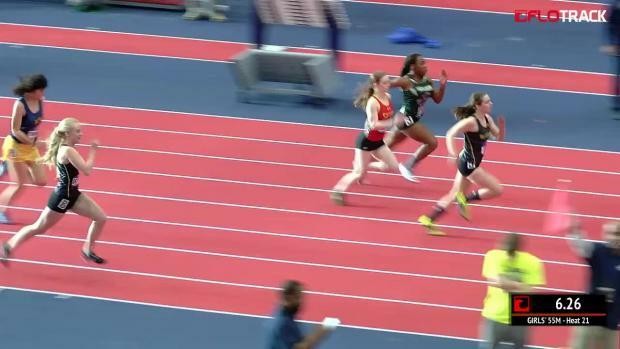 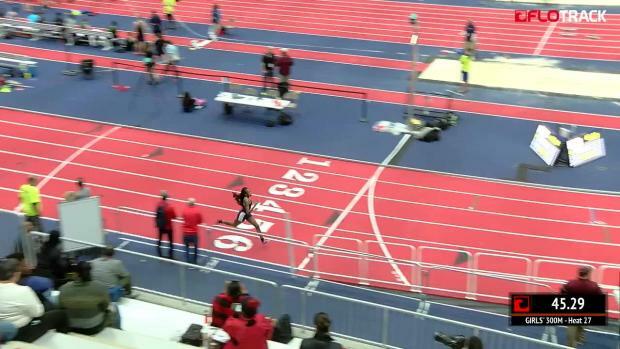 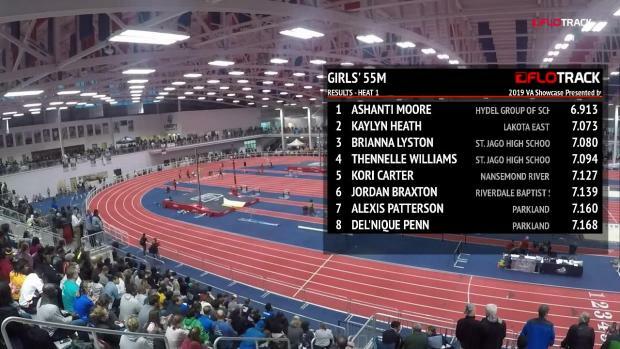 But Lawshea, who said "the 800 is my event!" 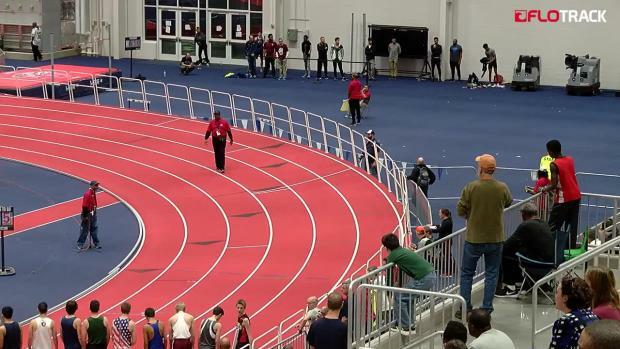 did leave open the door for a possibility in the spring. 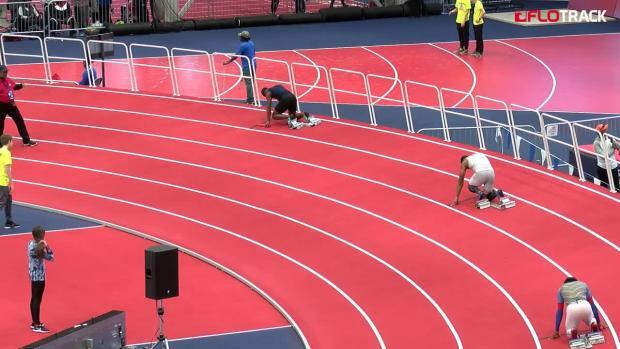 "We're definitely going to try and find him a race," he said.